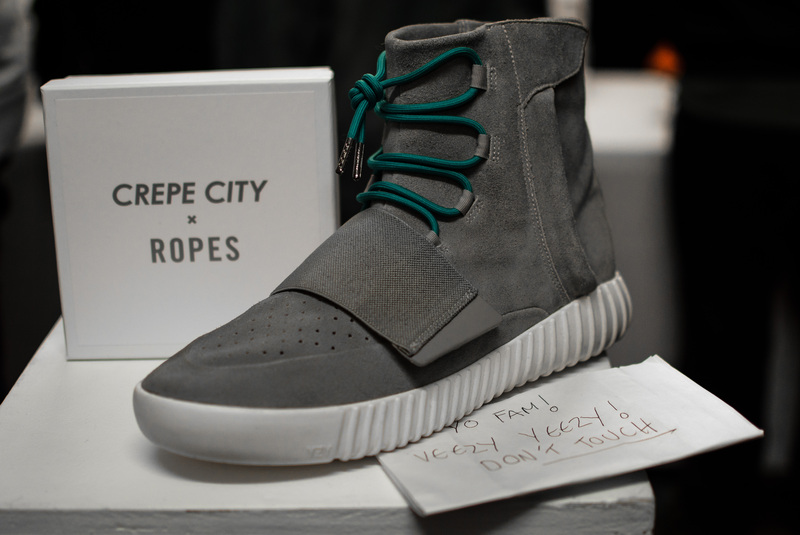 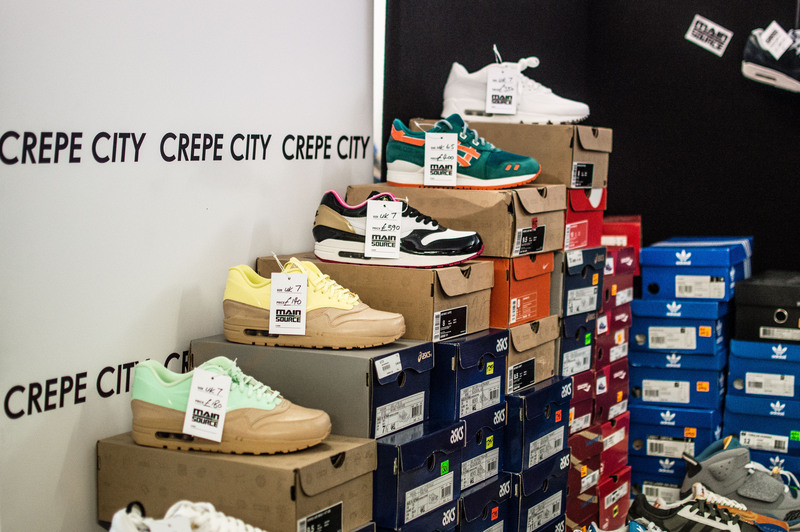 If you can remember any of my previous Crepe City round-up posts, I’ve started almost every one of them by saying how each event is bigger and better than the last, but it’s the unavoidable truth, and Crepe City 13 was no different. 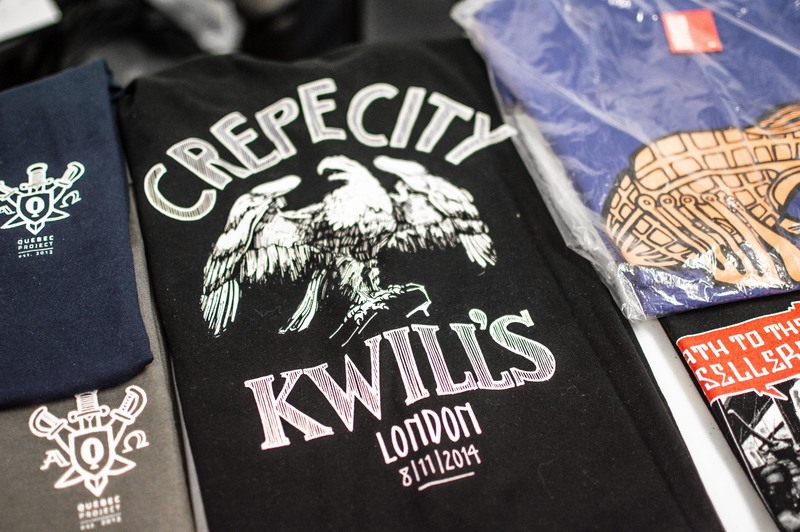 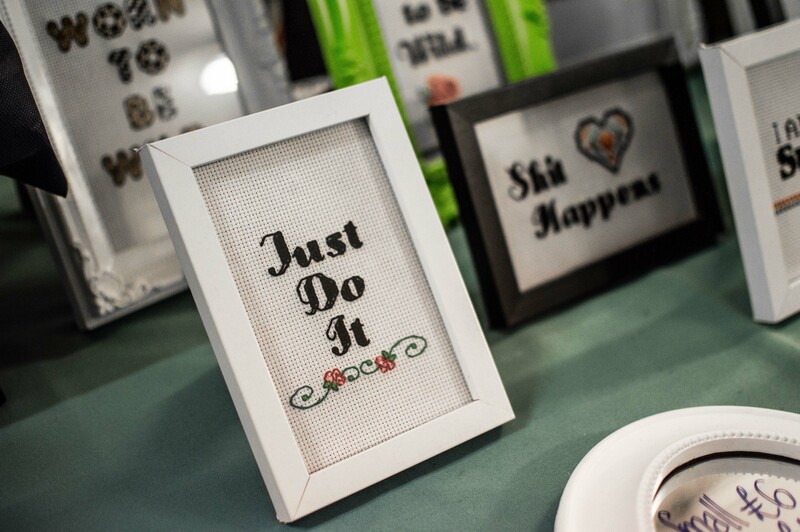 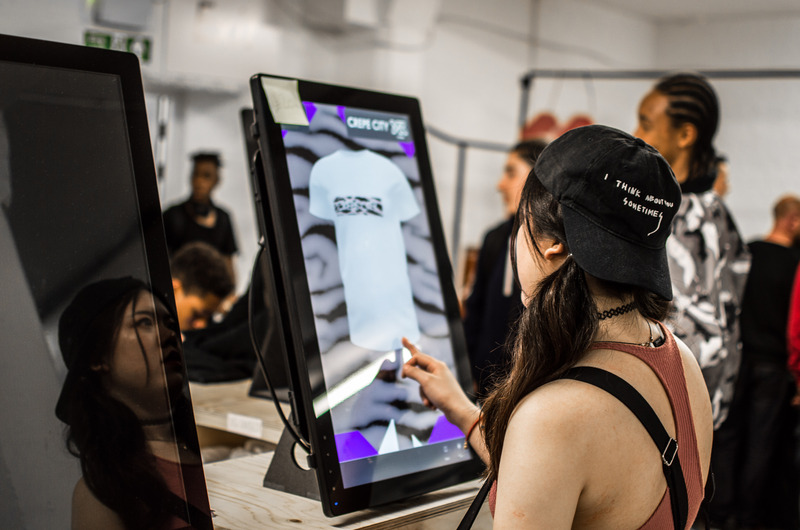 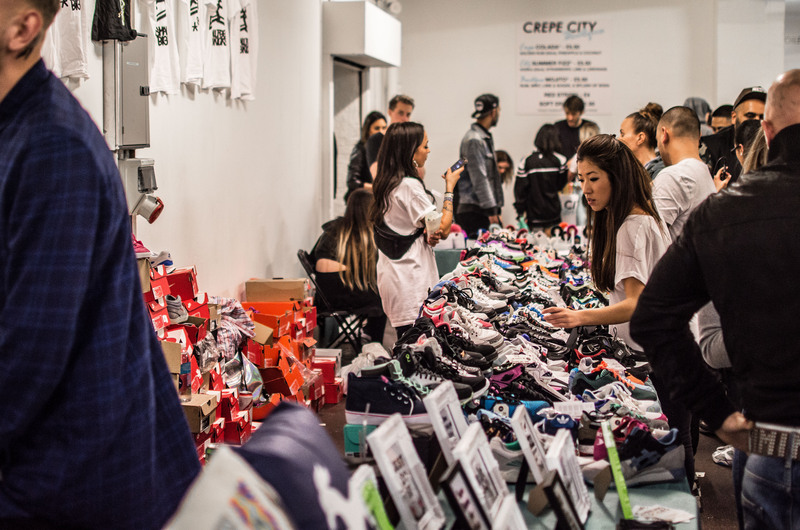 Although the number 13 may be regarded as an unlucky number for some, it definitely isn’t for Crepe City as they put on another hugely successful event. 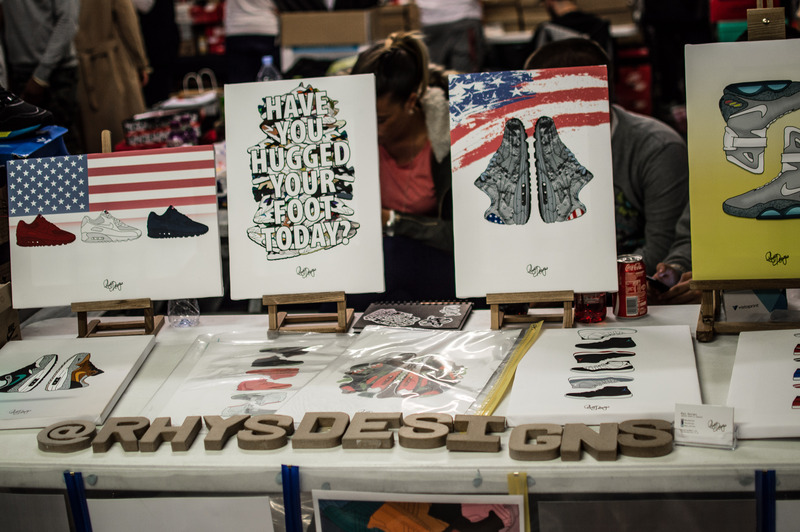 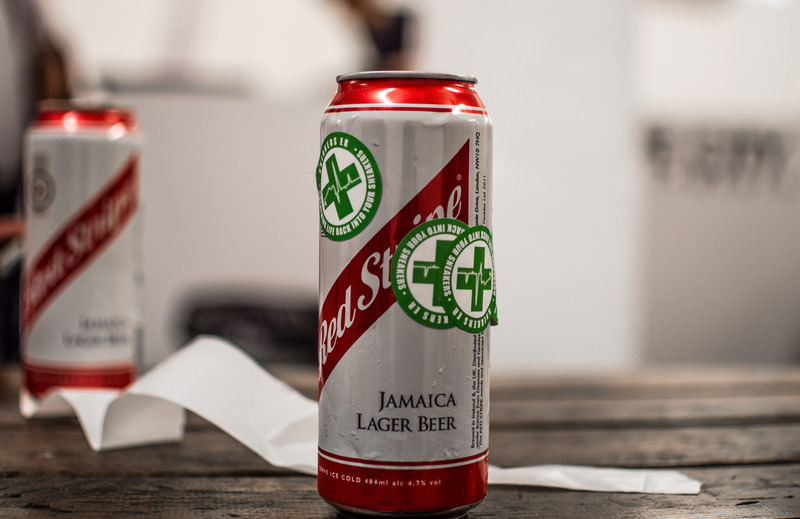 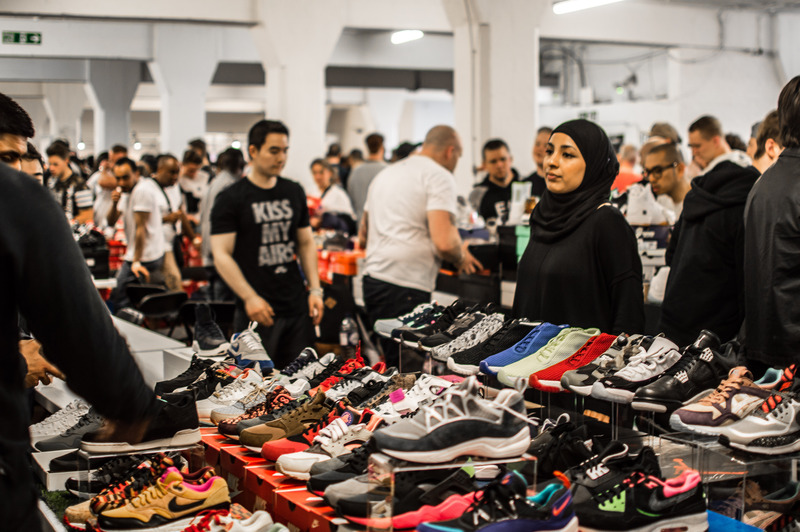 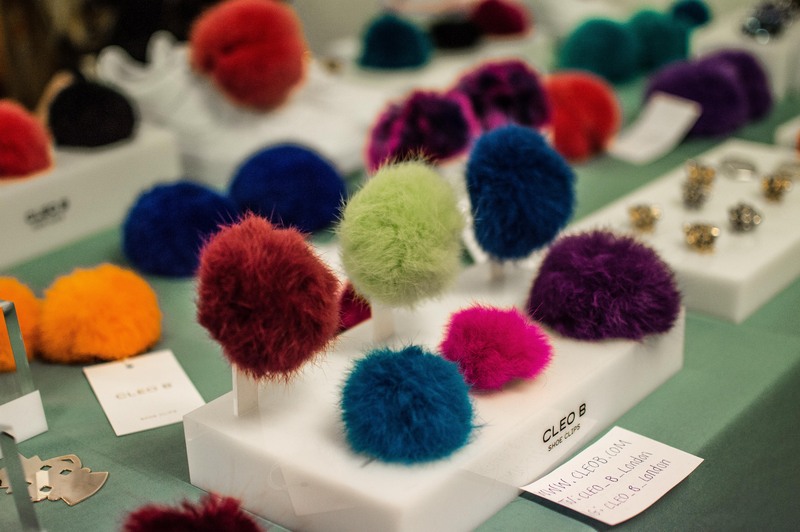 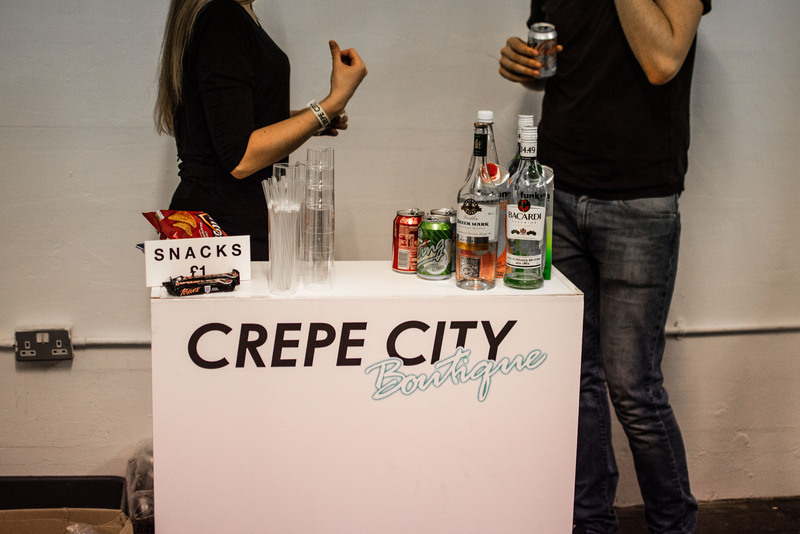 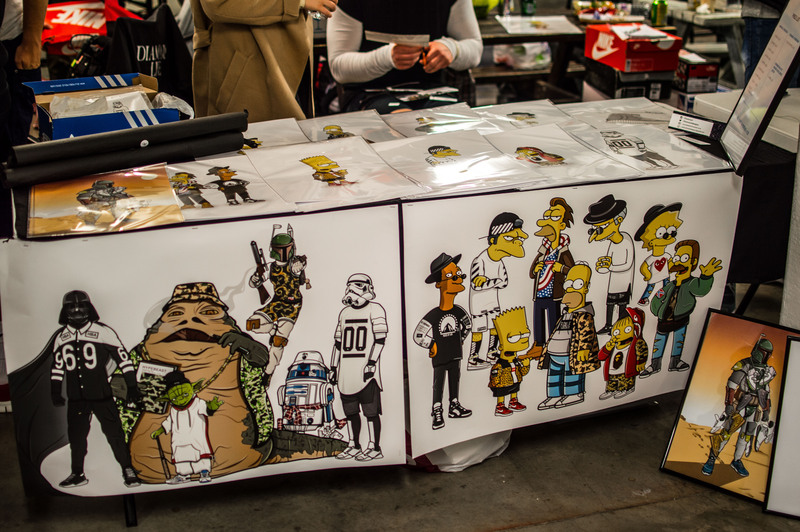 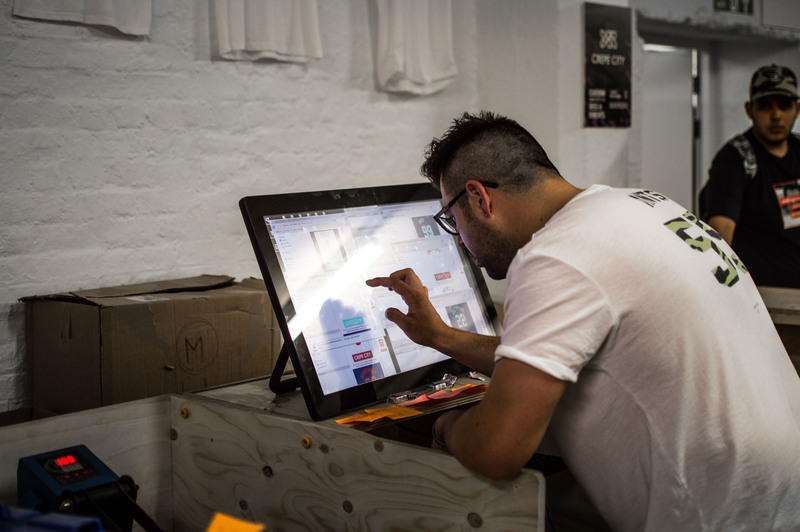 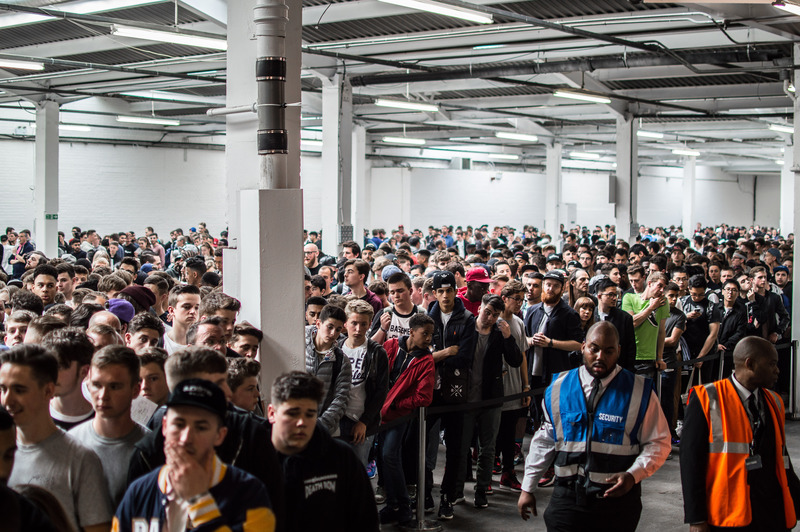 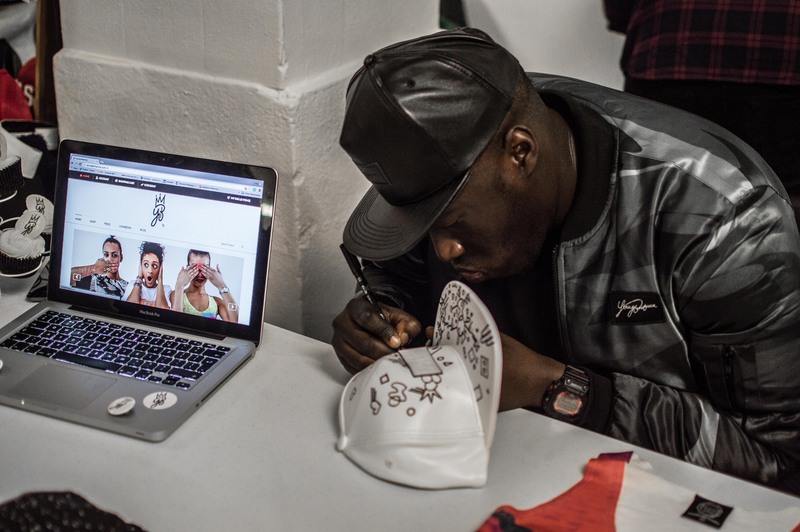 The event returned on the 25th of April, and once again, like the previous 5 events, CC13 was held in the Truman Brewery, just off Brick Lane in London’s trendy Shoreditch area. 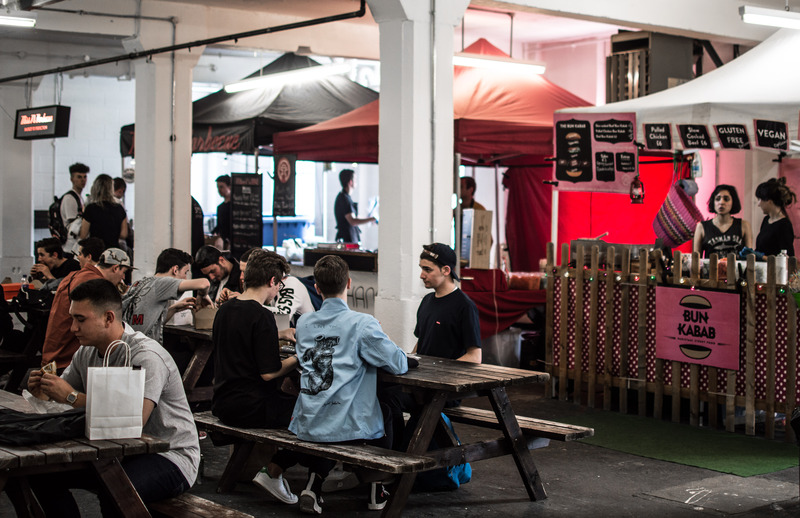 Although the event has been held within many different rooms in the Truman Brewery, it seems like they’re starting to nail down the event space, with this event’s layout being one of the best so far. 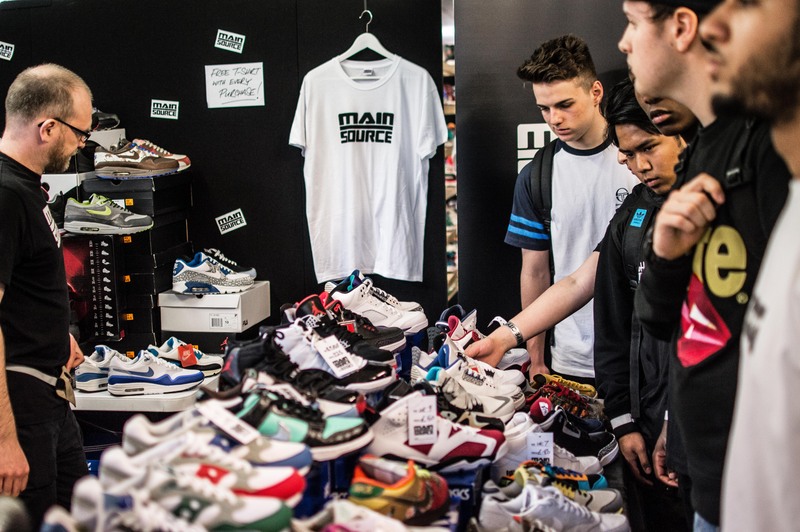 Doors opened at midday and the thousands of punters who’d been eagerly waiting started to file in and check out what was on offer. 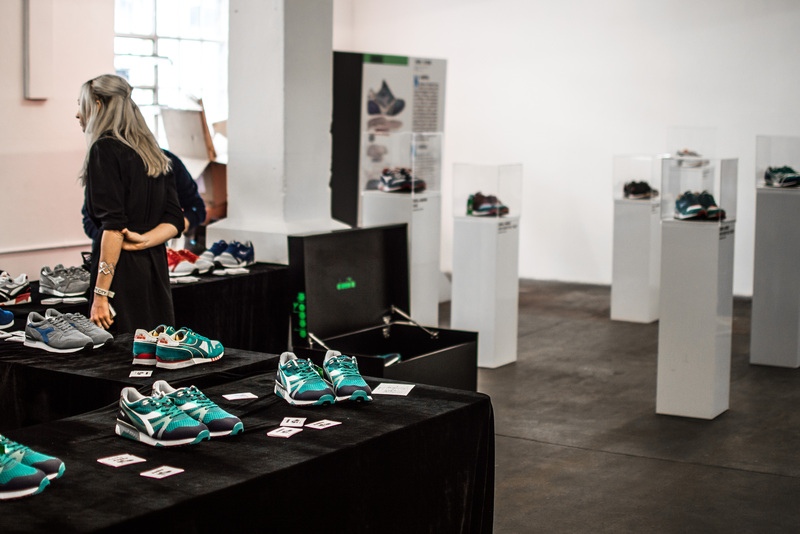 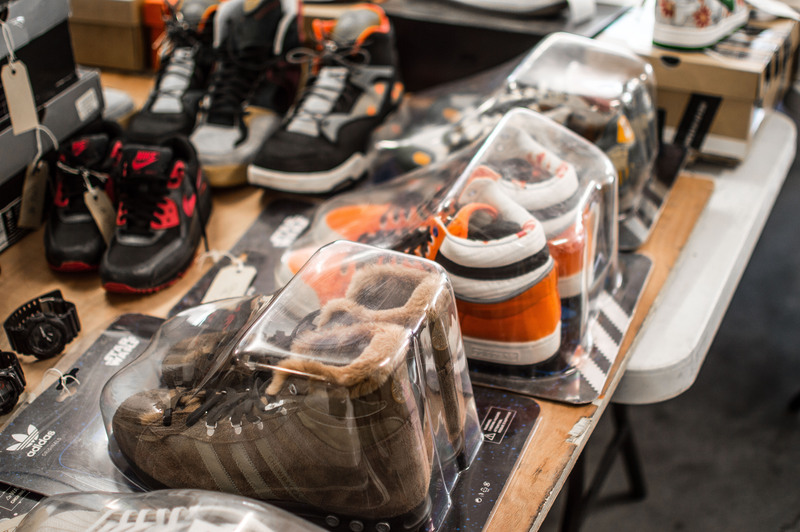 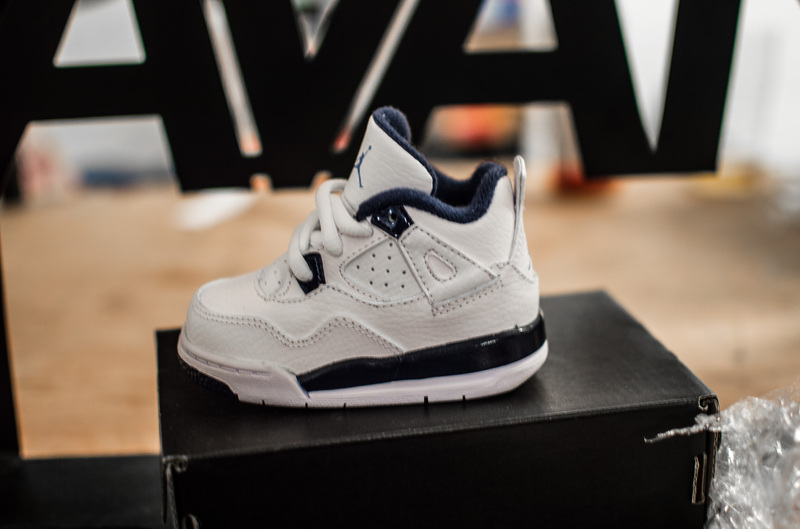 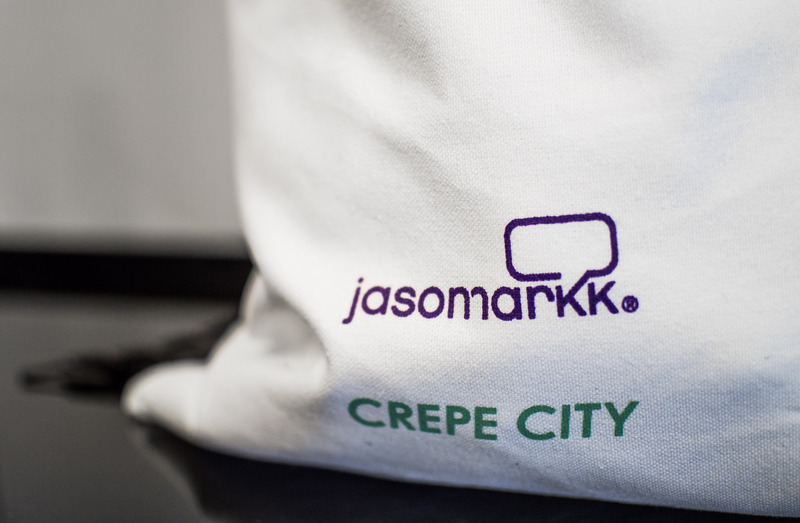 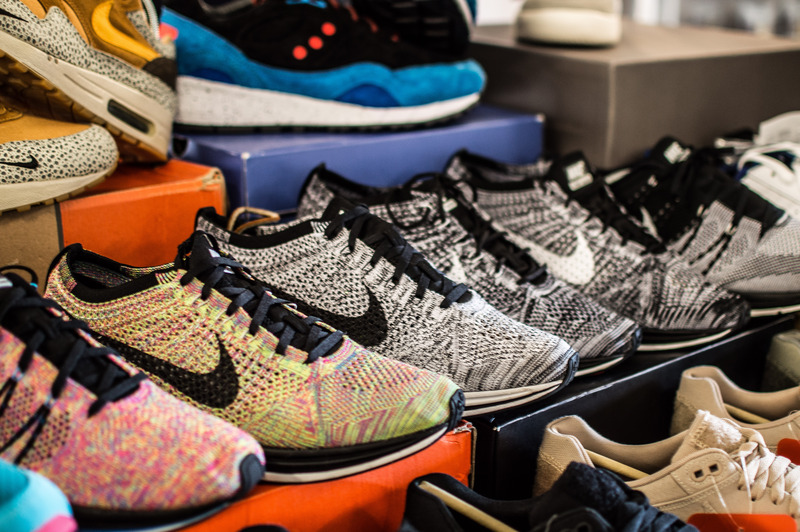 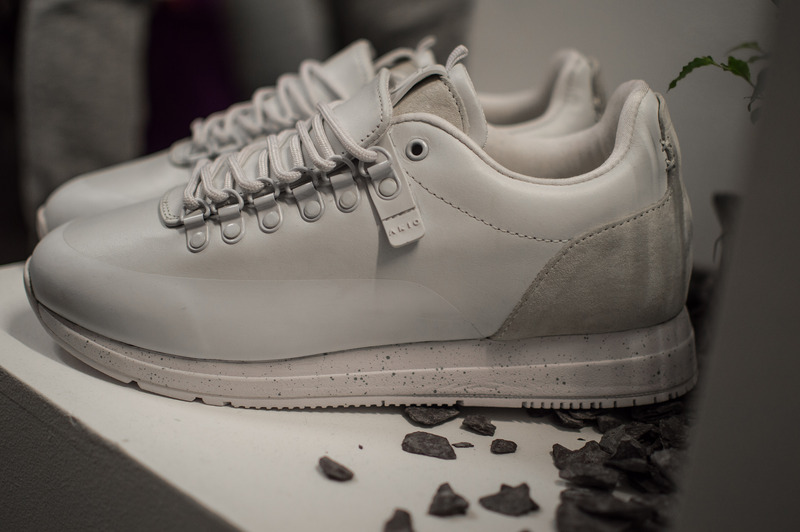 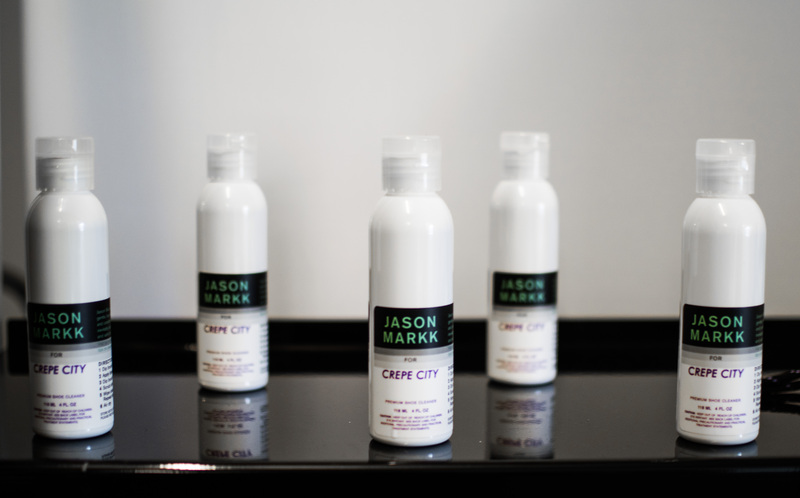 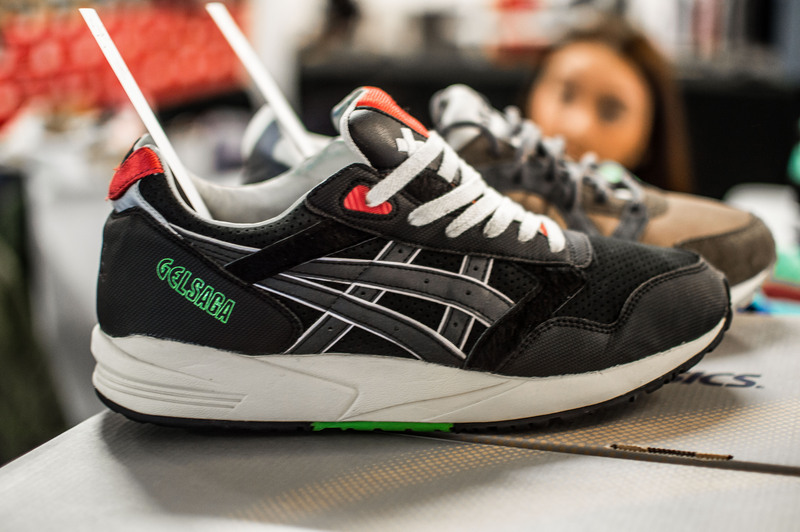 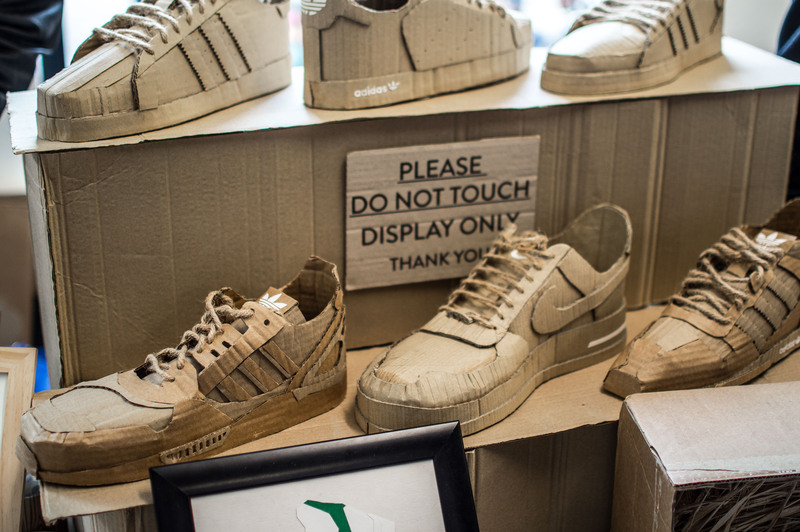 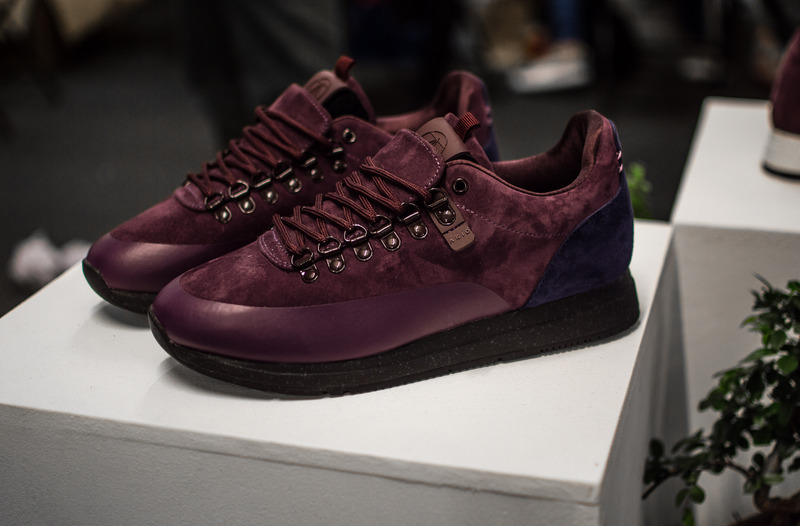 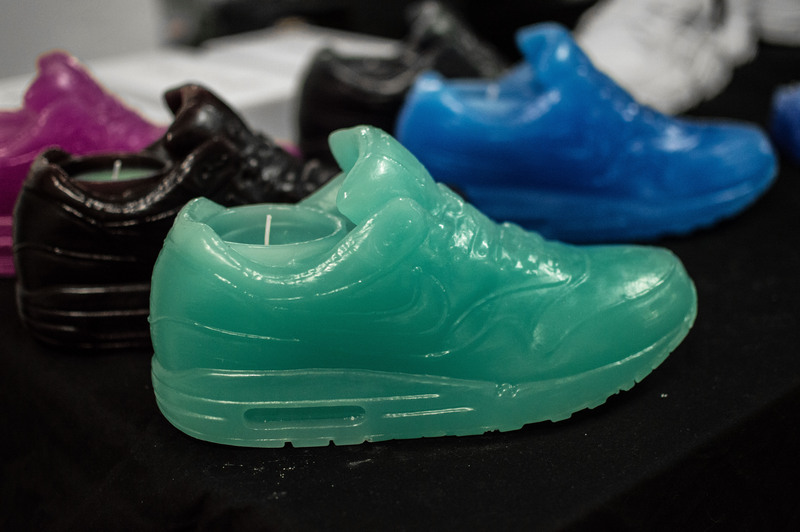 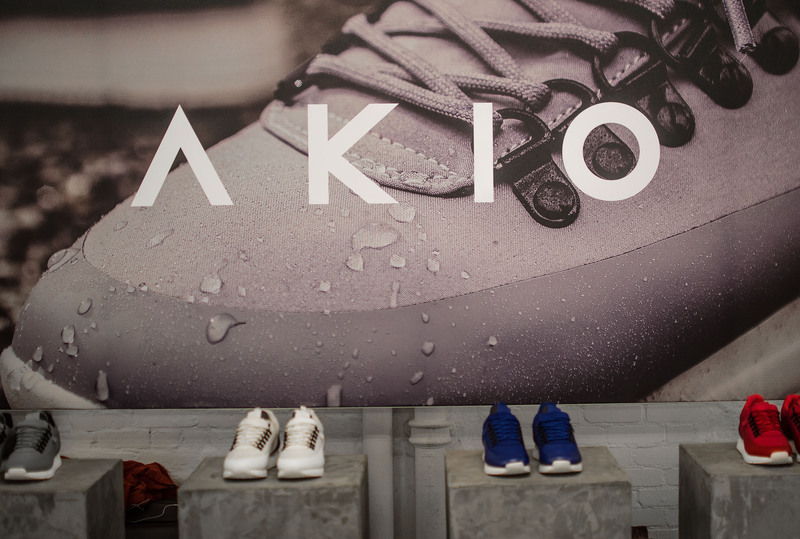 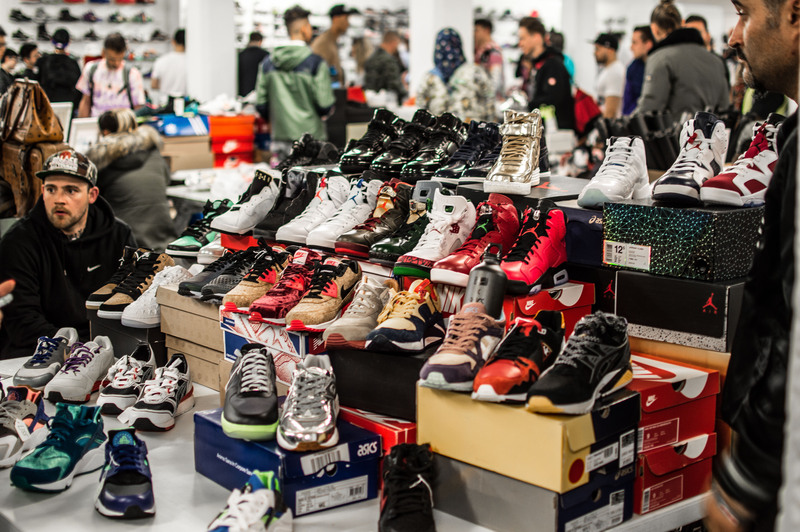 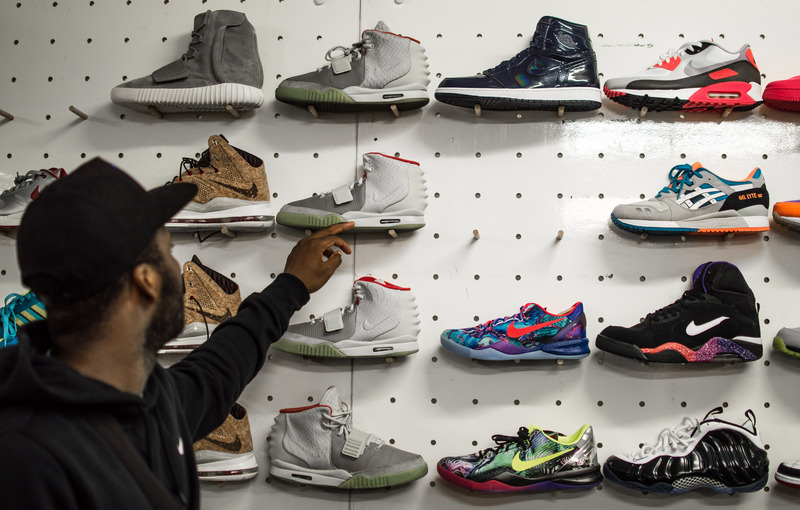 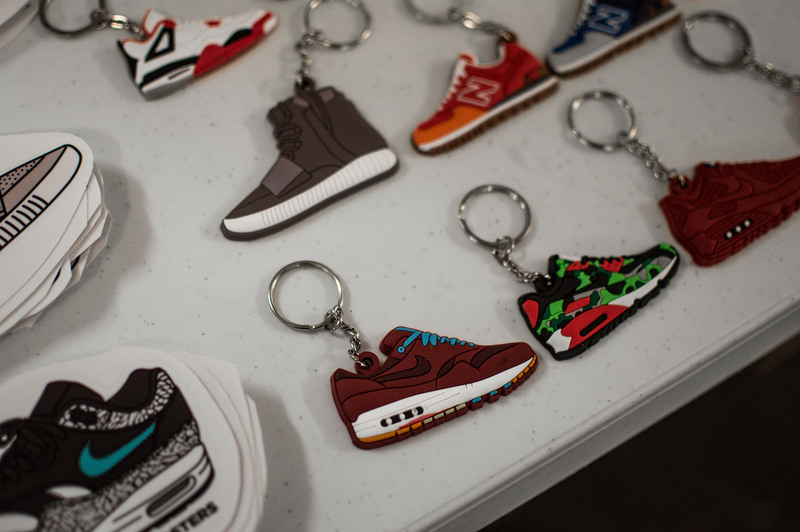 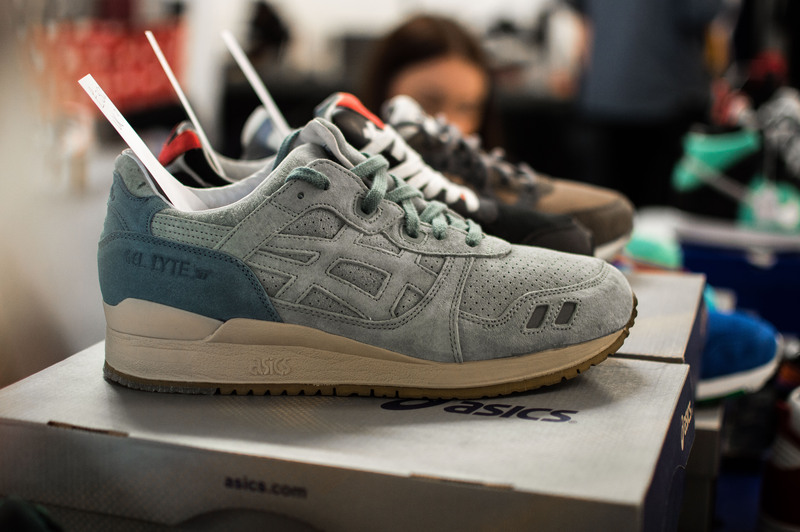 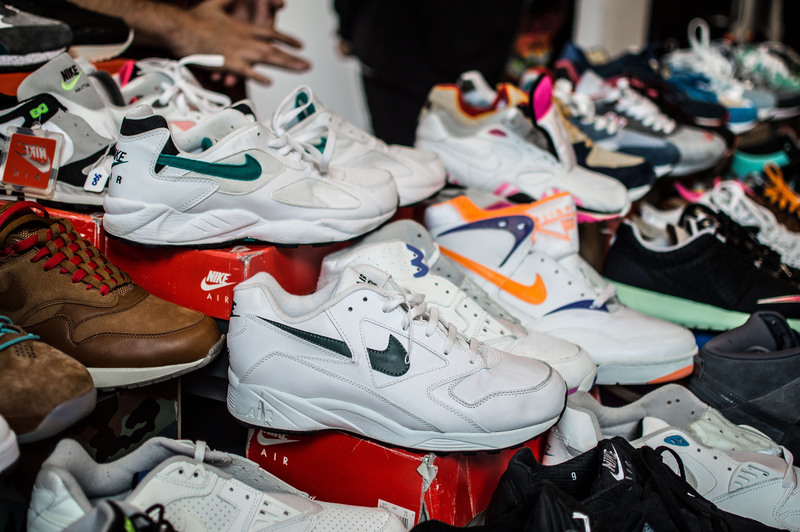 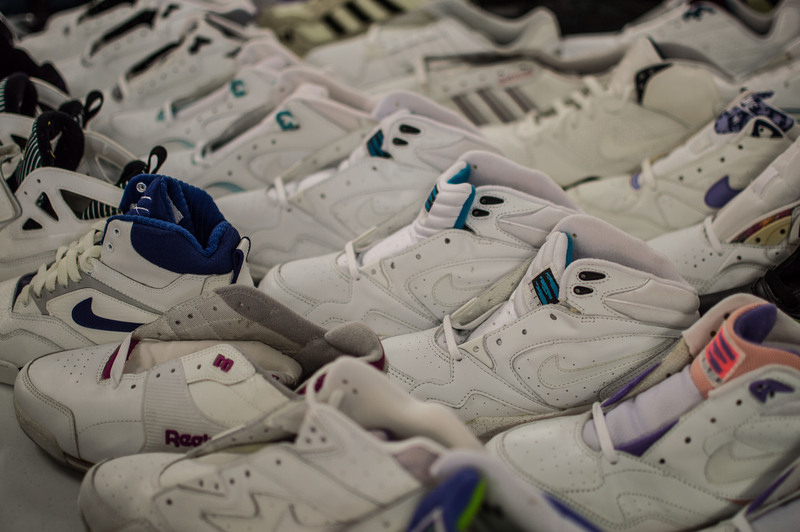 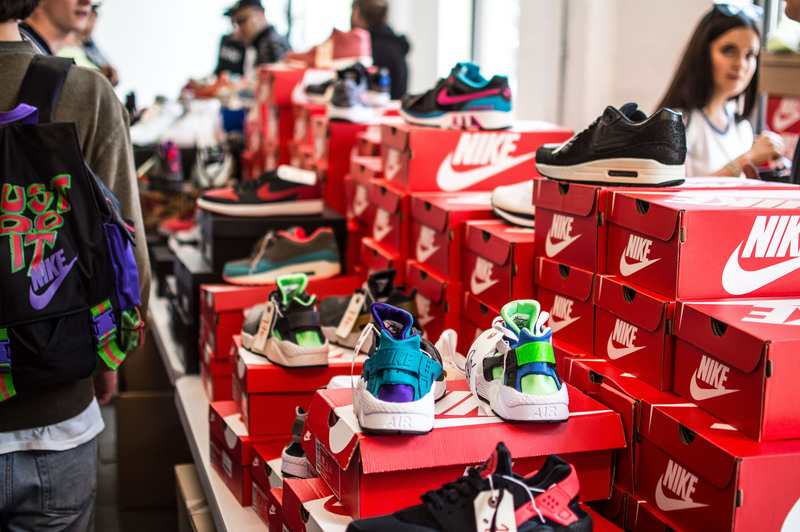 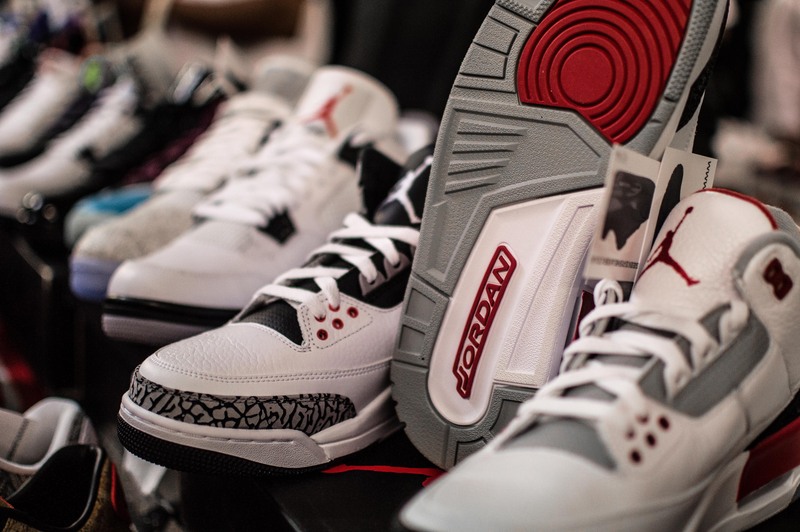 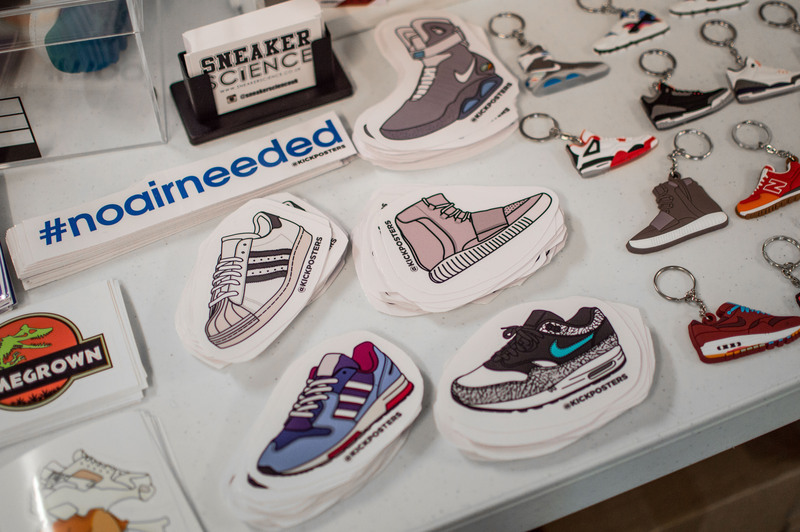 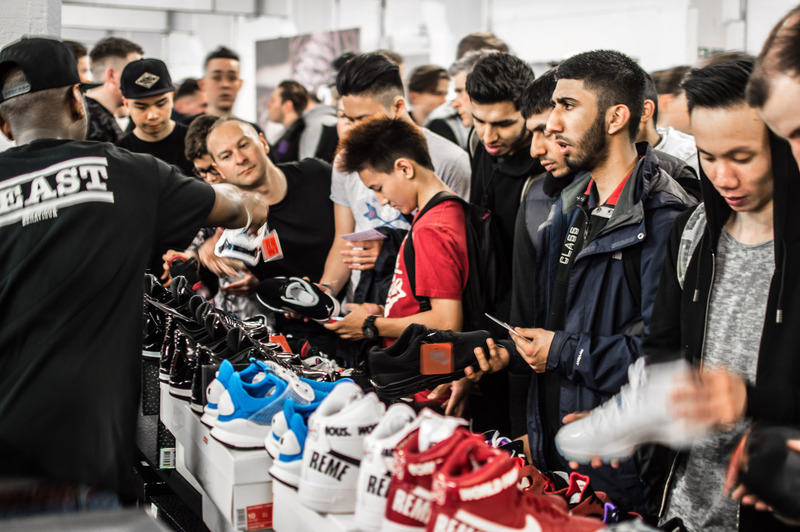 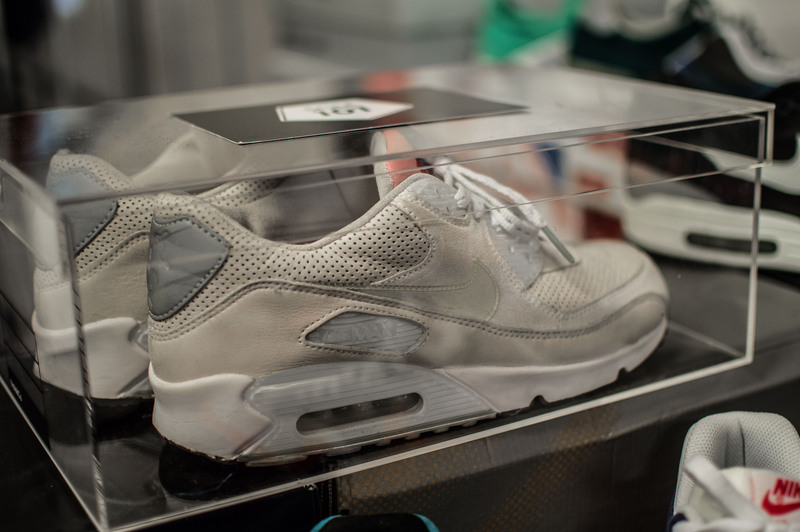 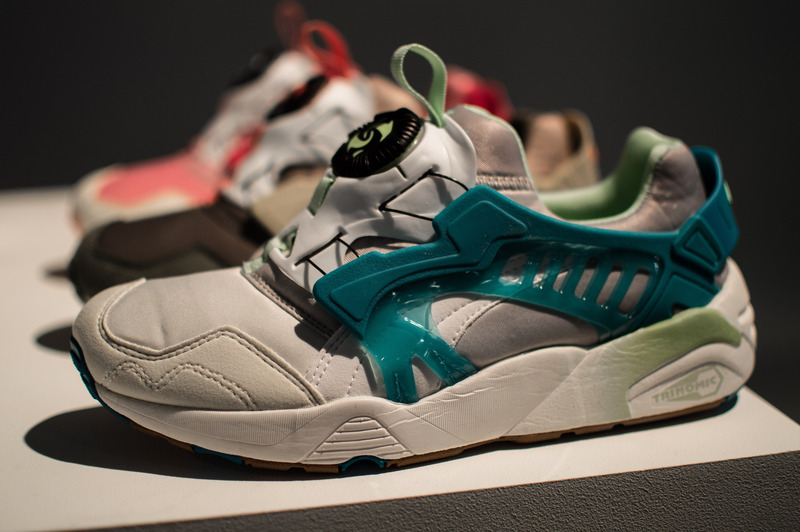 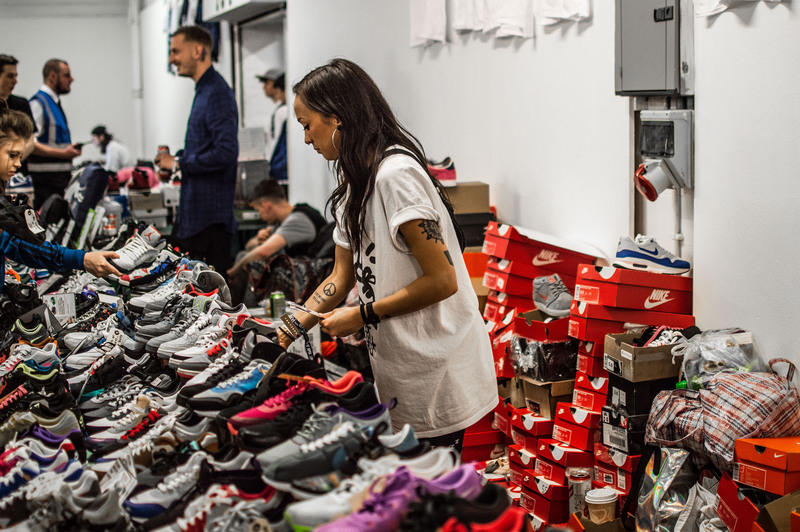 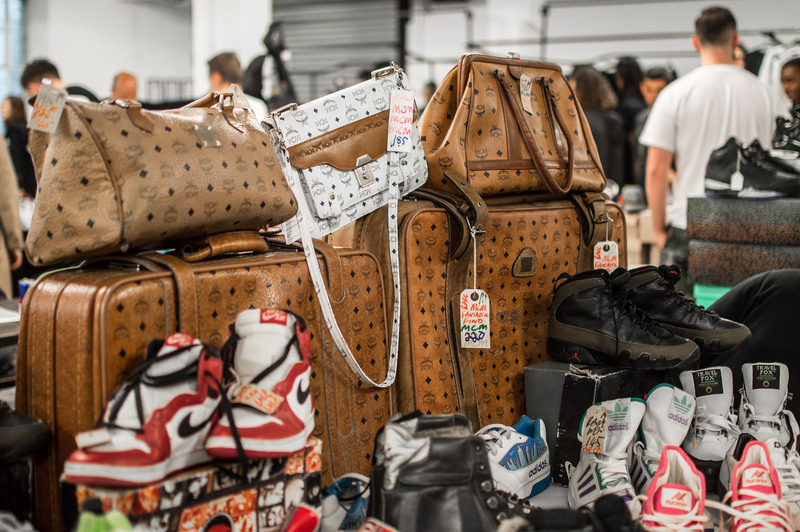 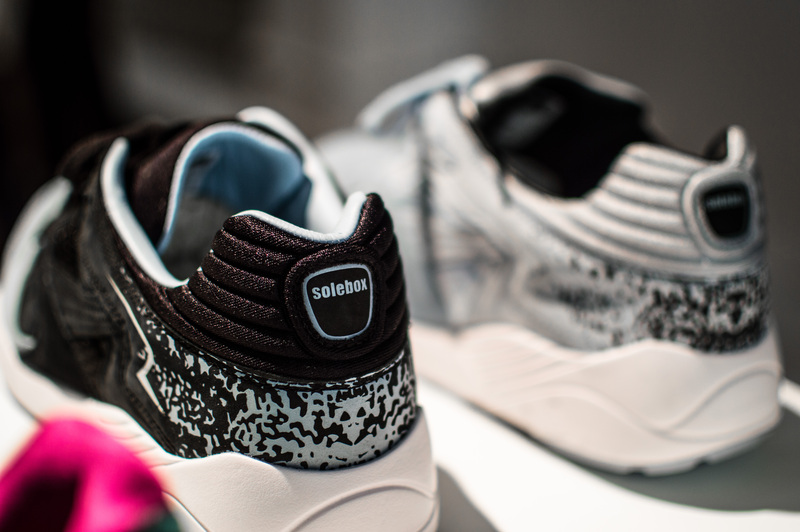 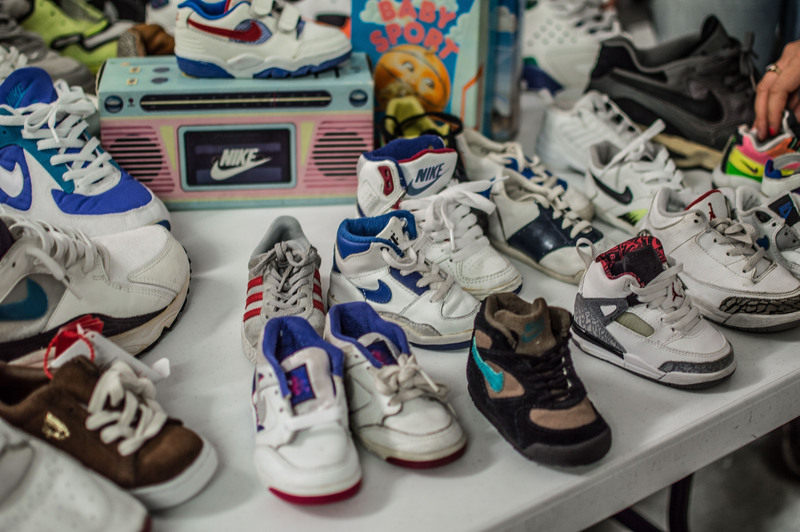 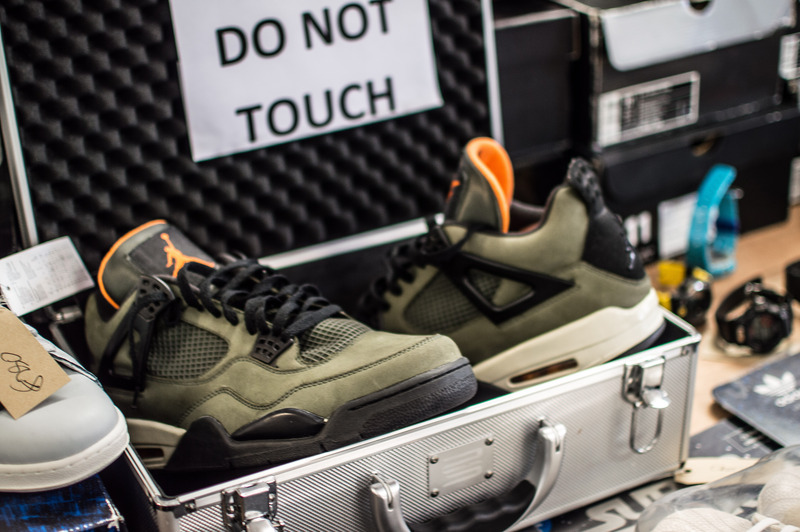 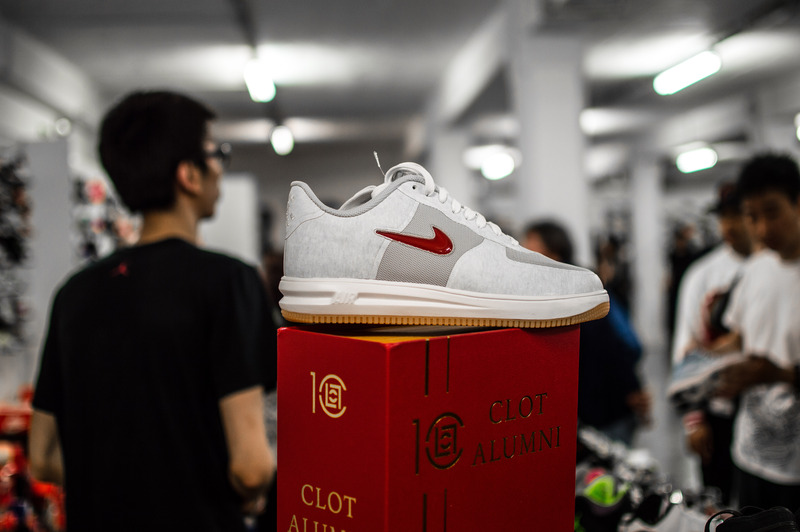 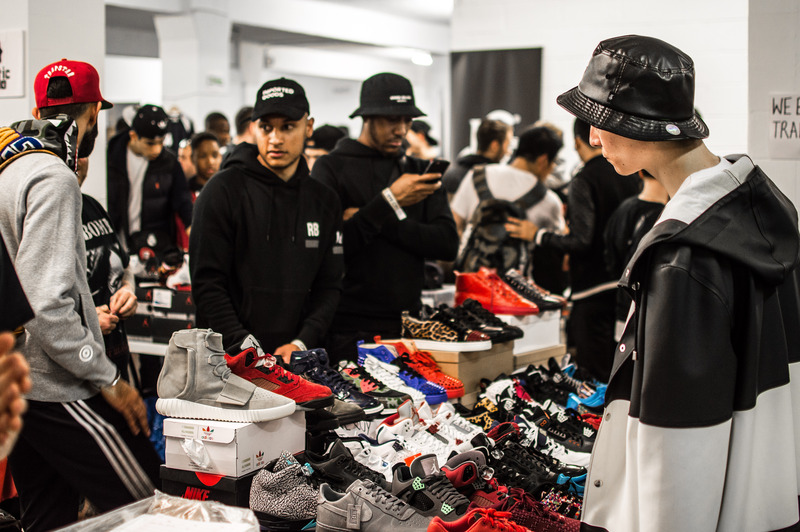 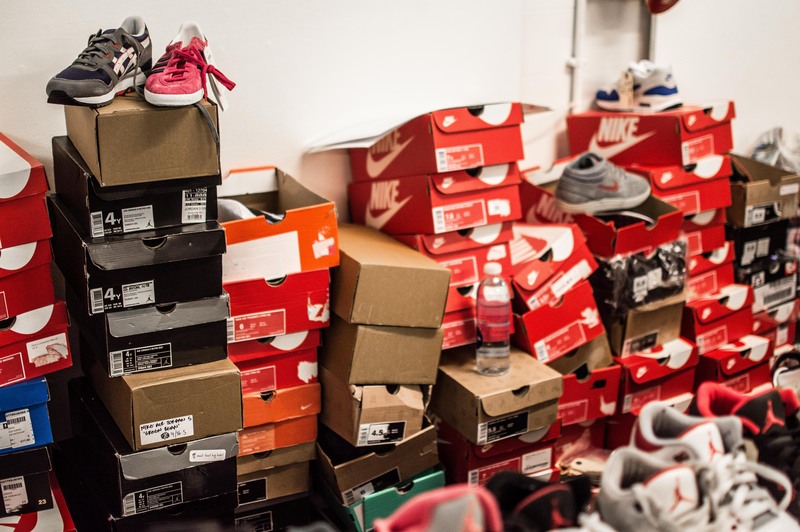 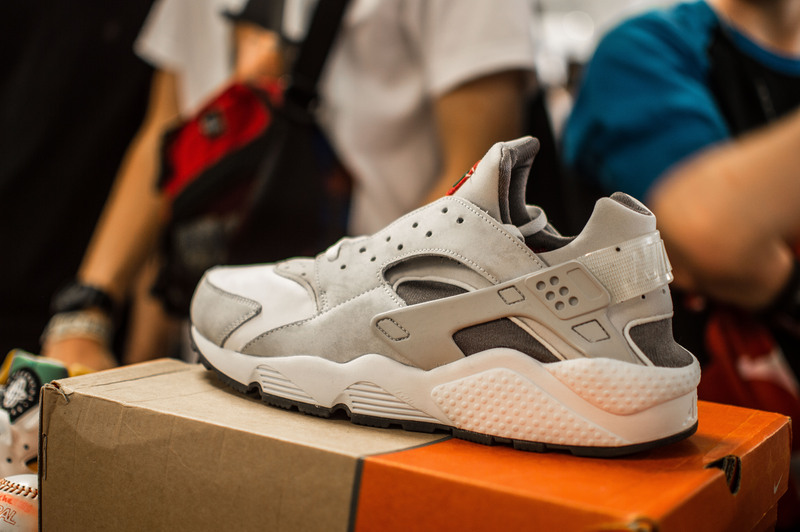 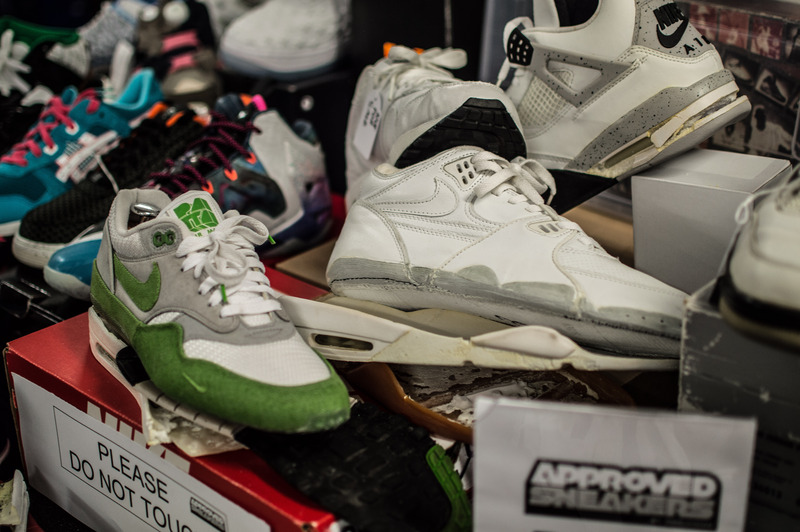 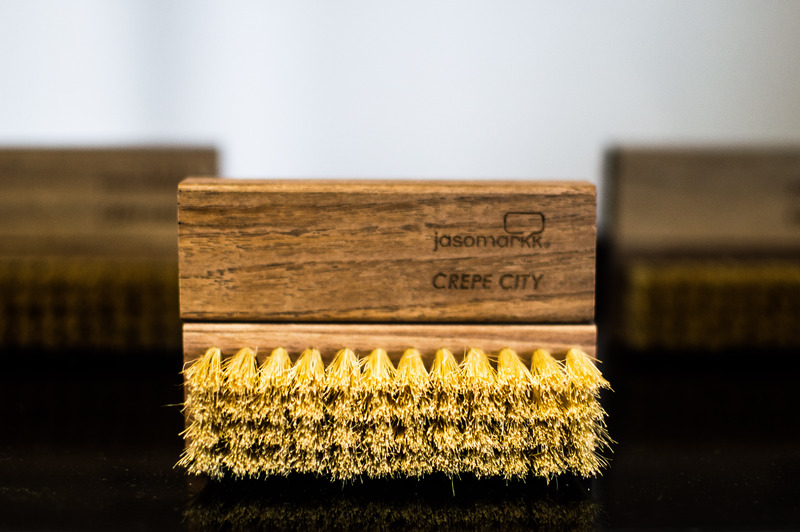 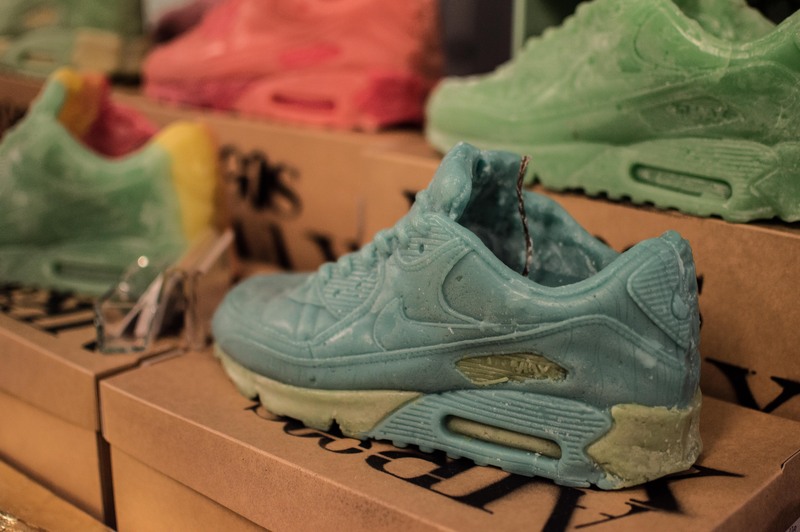 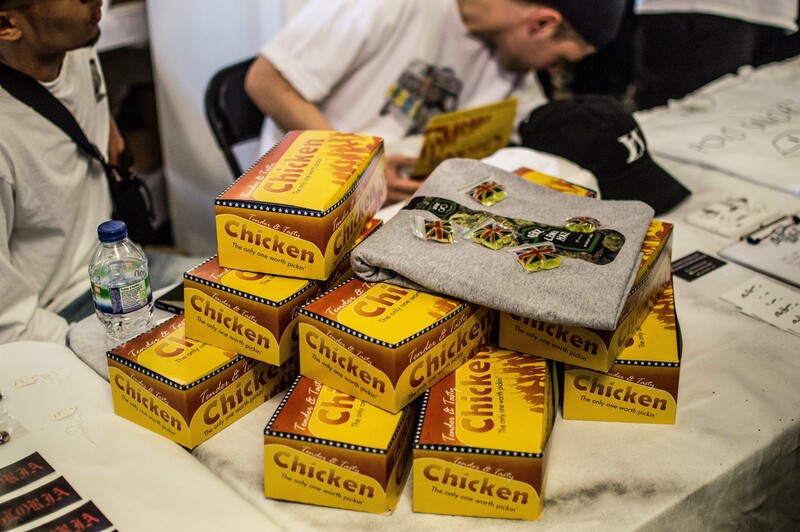 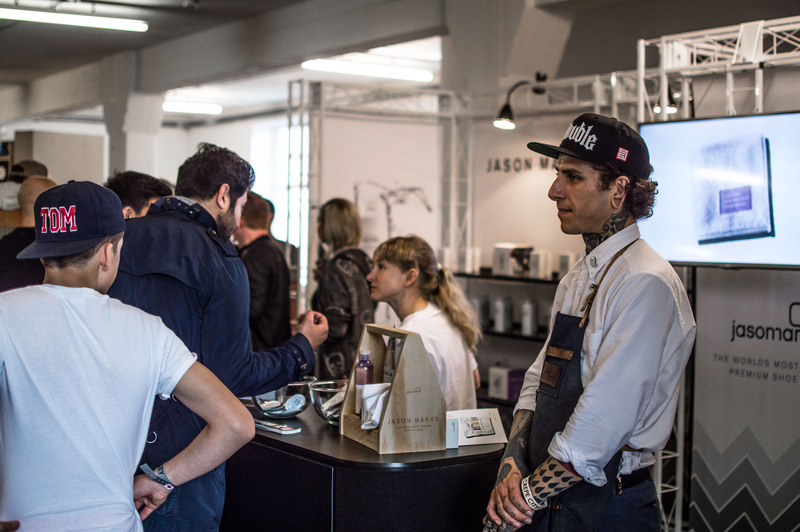 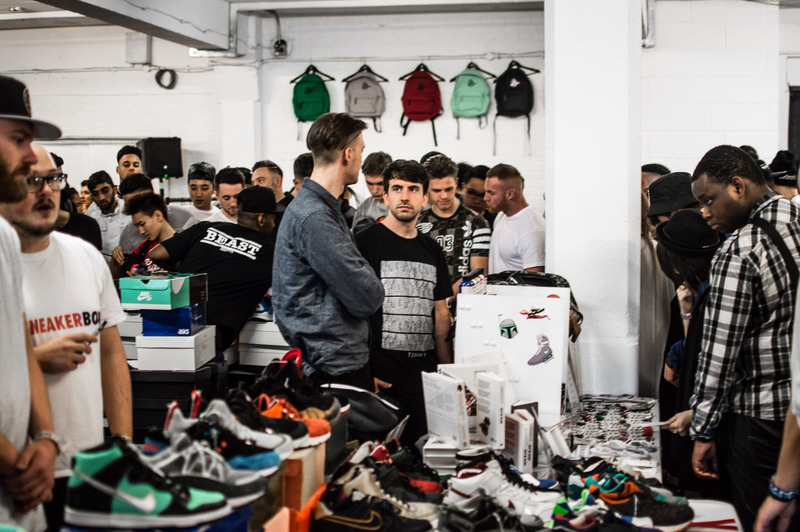 They were greeted in the first room by a mixture of brands and sellers, with Jason Markk offering a cleaning service (but we’re sure everyone’s kicks were spotless anyway) as well as their collaboration with Crepe City. 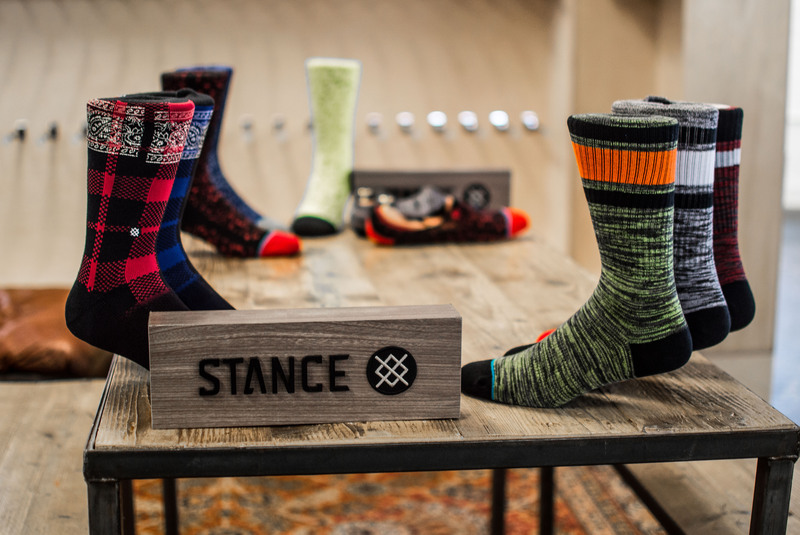 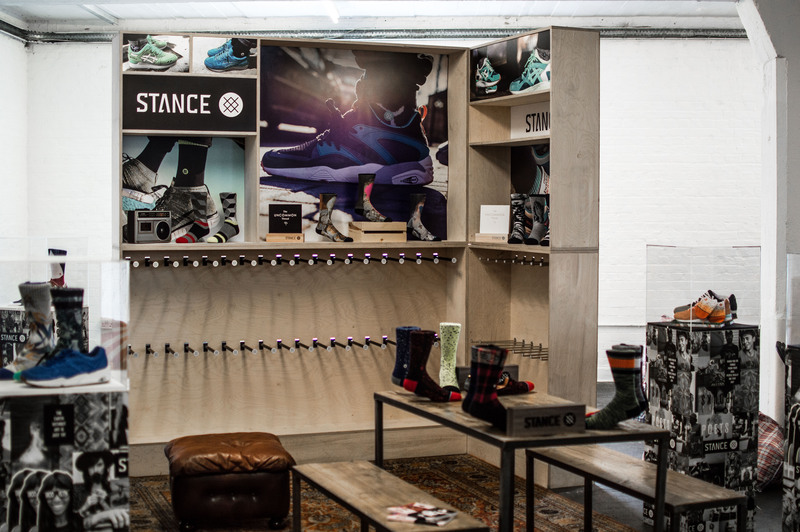 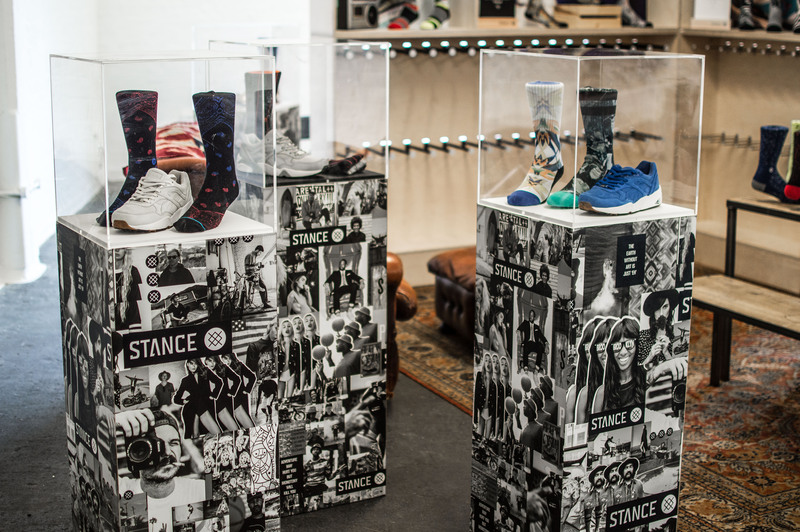 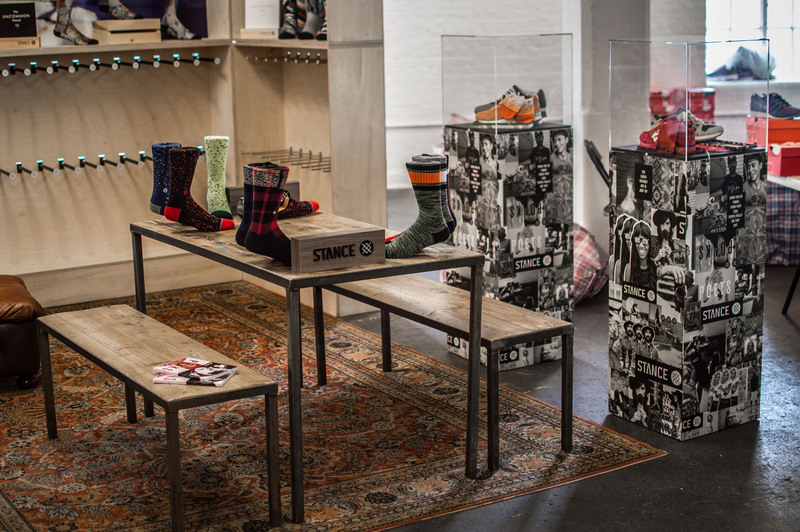 If you were looking for socks, then you didn’t have to go very far, as Stance Socks were also on hand with their huge range of socks available for purchase, as well as a seat on their sofa if you fancied chilling out. 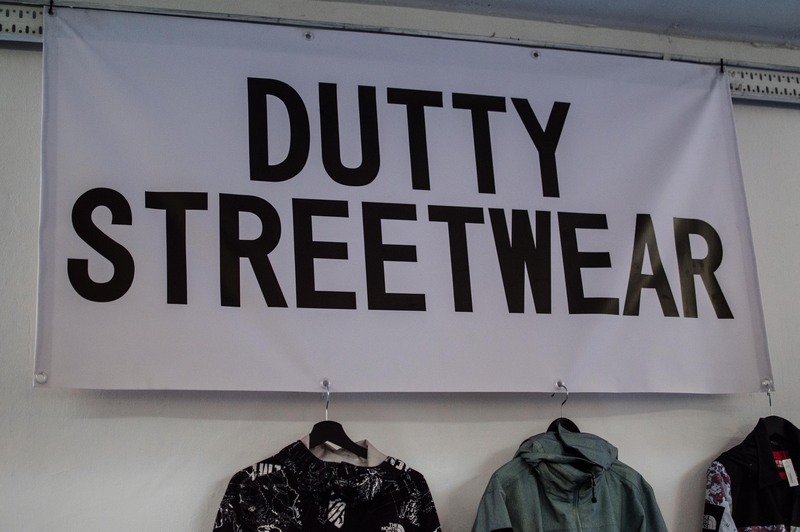 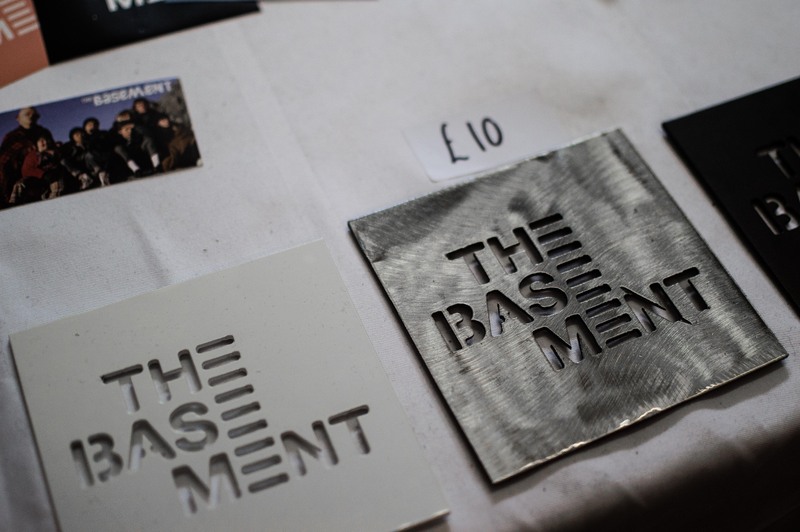 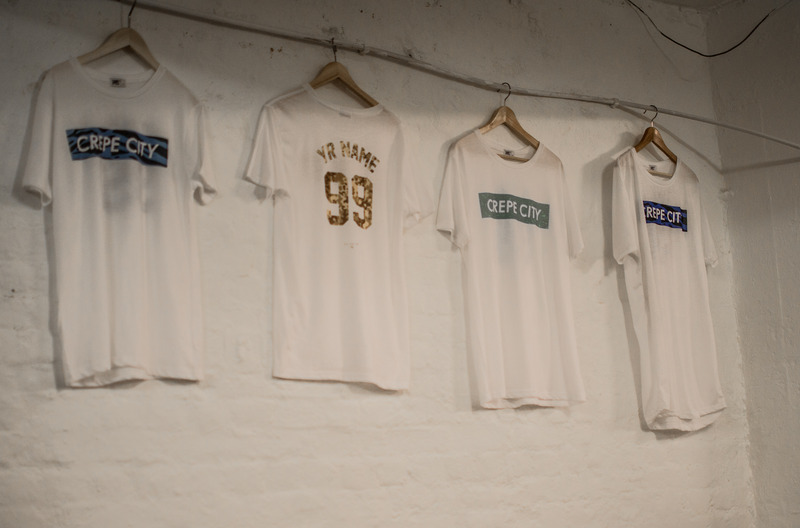 Since we’ve detailed the brands in the first room, we might as well just carry on with this format and move into the second room which housed brands such as, The Basement who had collaborated with Crepe City on tees and pins, available to buy on the day, as well as Dutty Streetwear, and KWills. 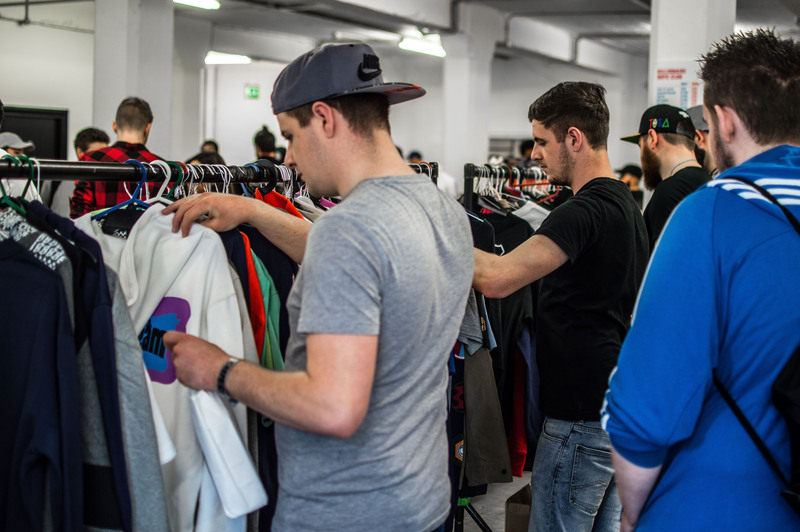 This room was constantly busy, but was well worth persevering the crowds to check out some of the clothing and accessories on offer. 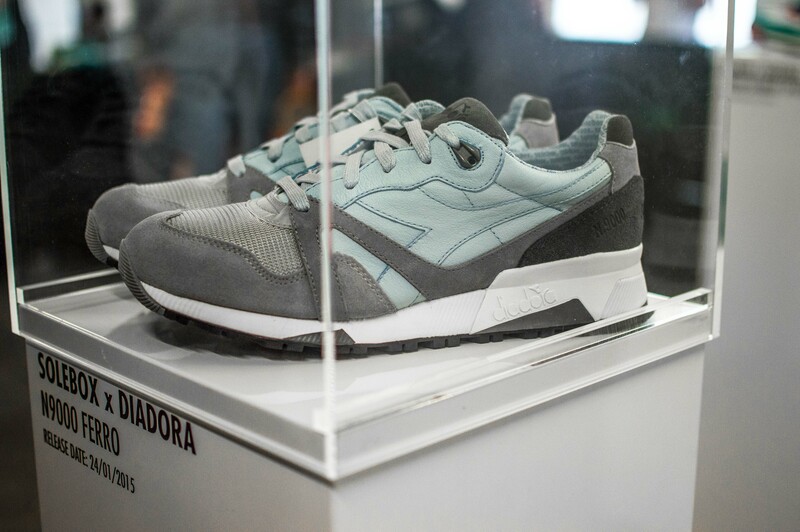 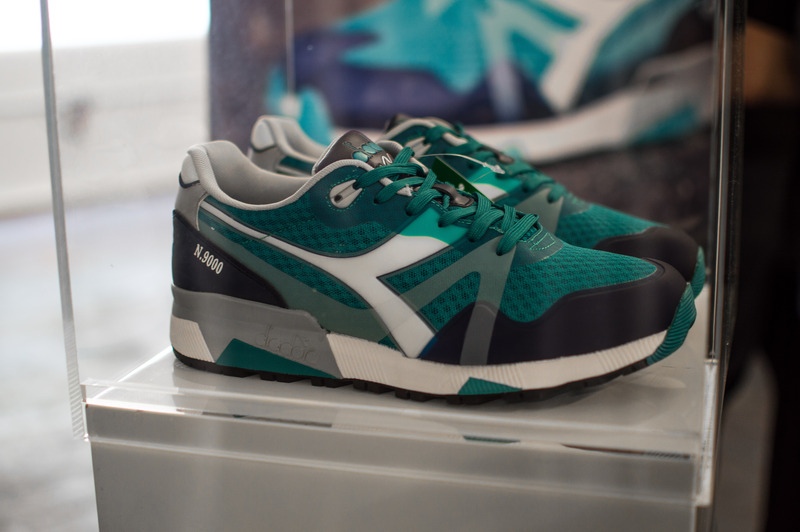 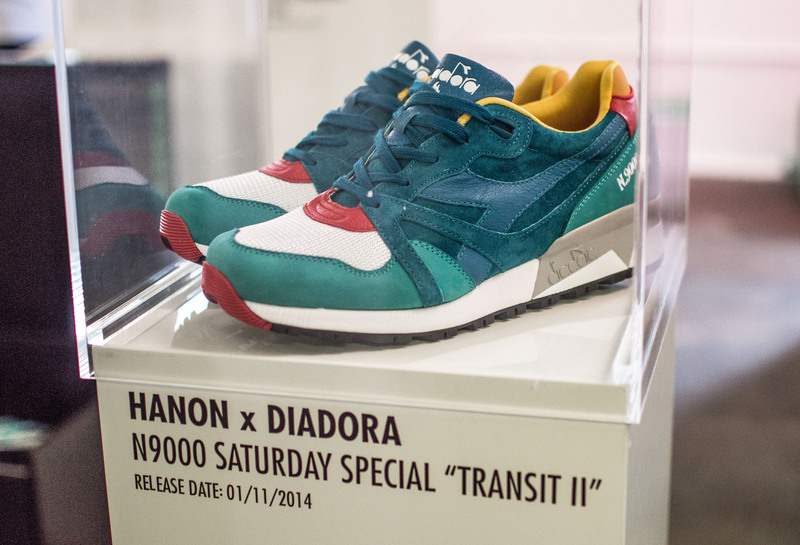 Swiftly moving through The Basement (which probably should have been in the basement) area of Crepe City, the next room named The Street housed Diadora who’s N9000 collaborations have been causing a storm of late and were all on display here, and you could also pick up one of the fifty pairs of the exclusive N9000 MM which were available, debuting Diadora’s use of no-sew technology. 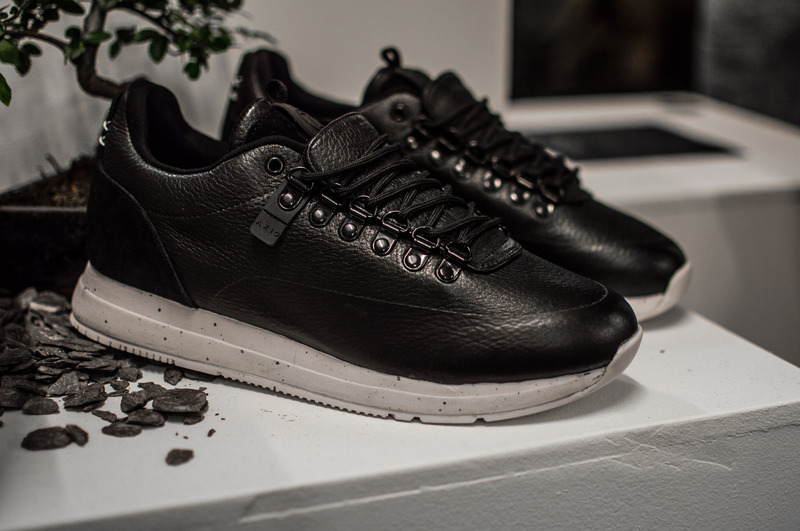 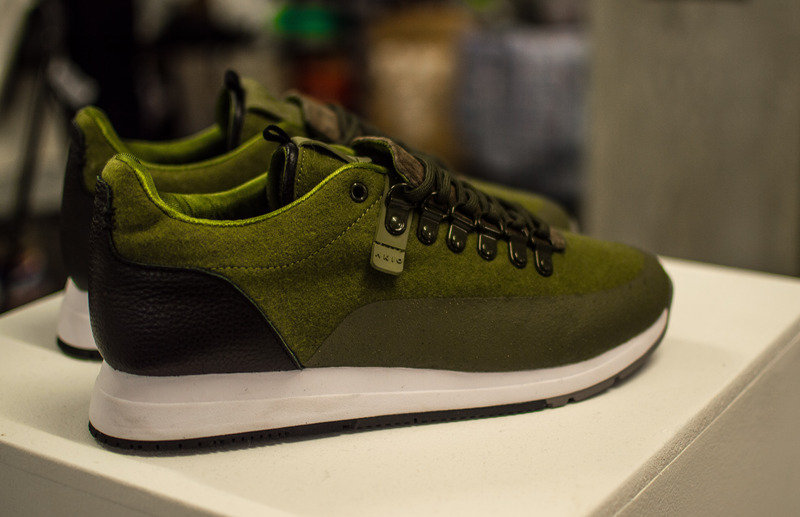 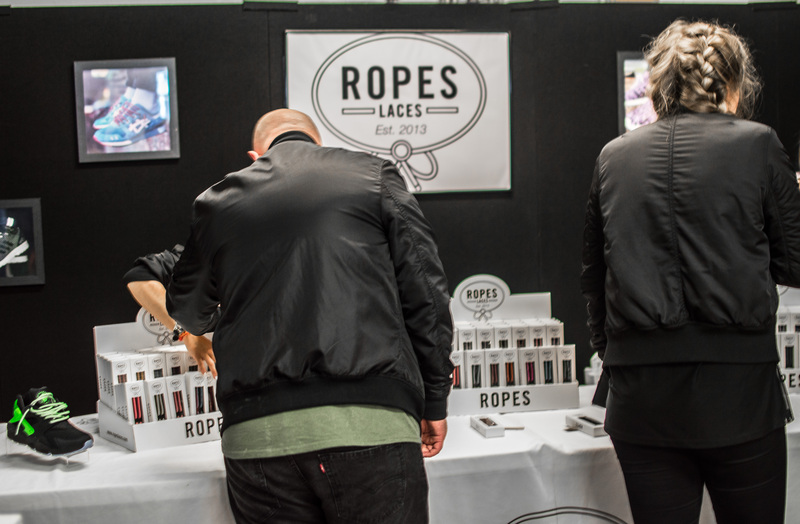 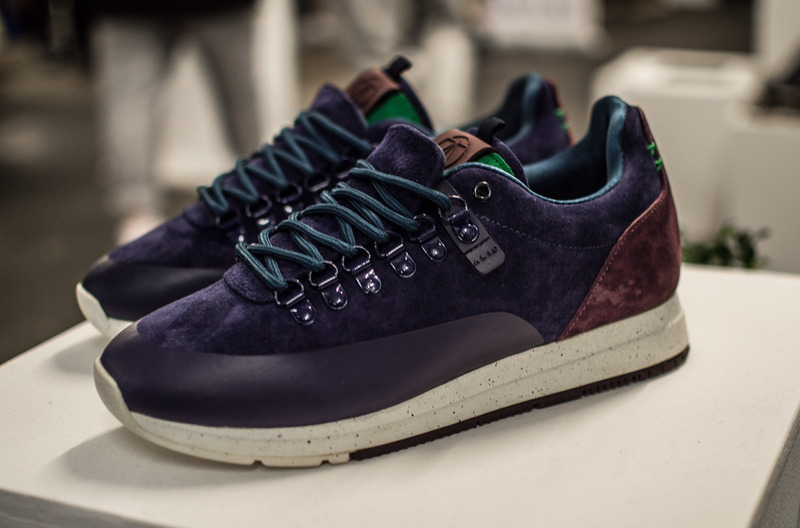 The good people over at Ropes Laces had their second collaboration with Crepe City available for purchase, and these proved to be a massive hit on the day. 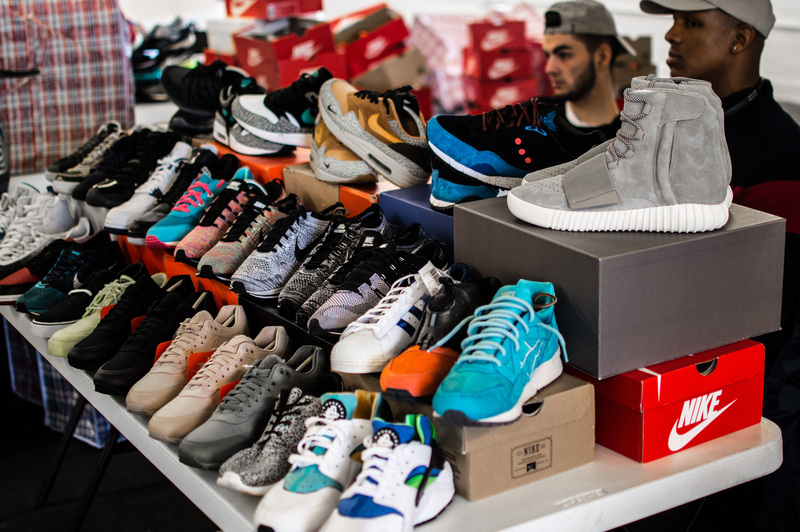 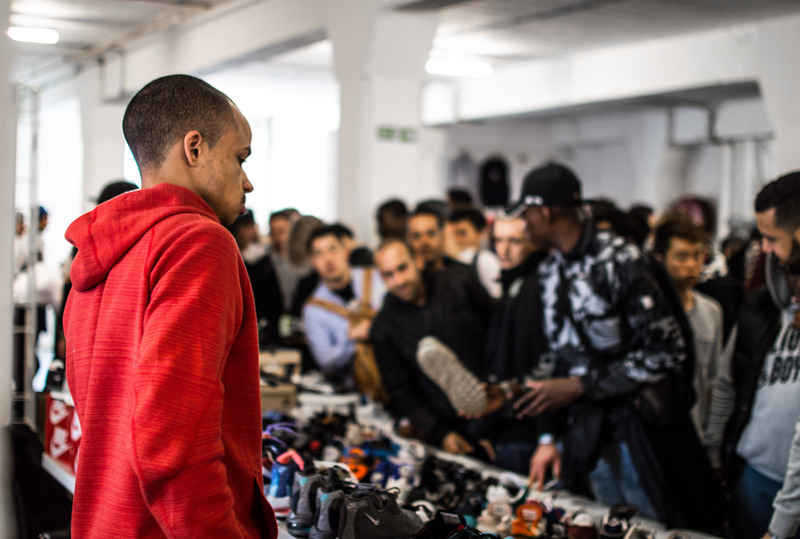 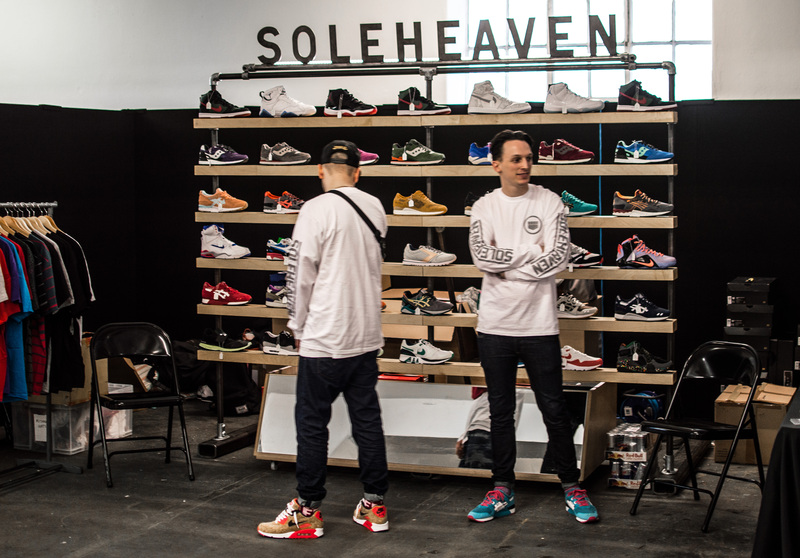 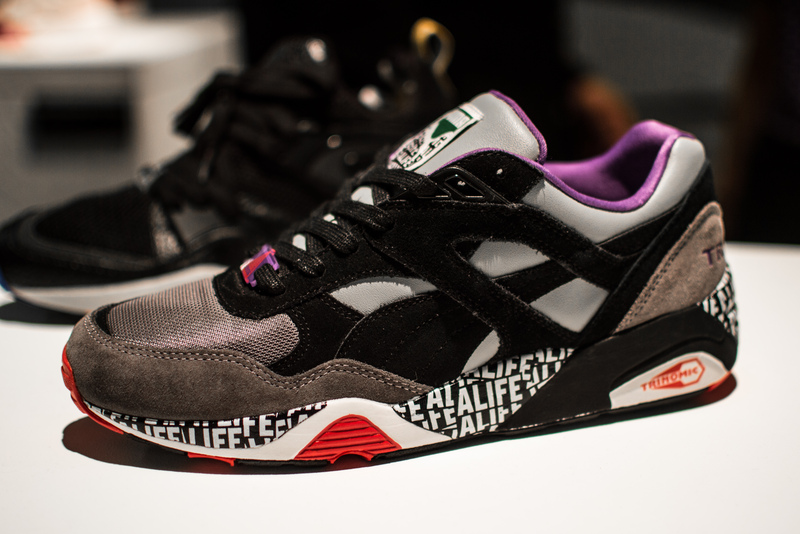 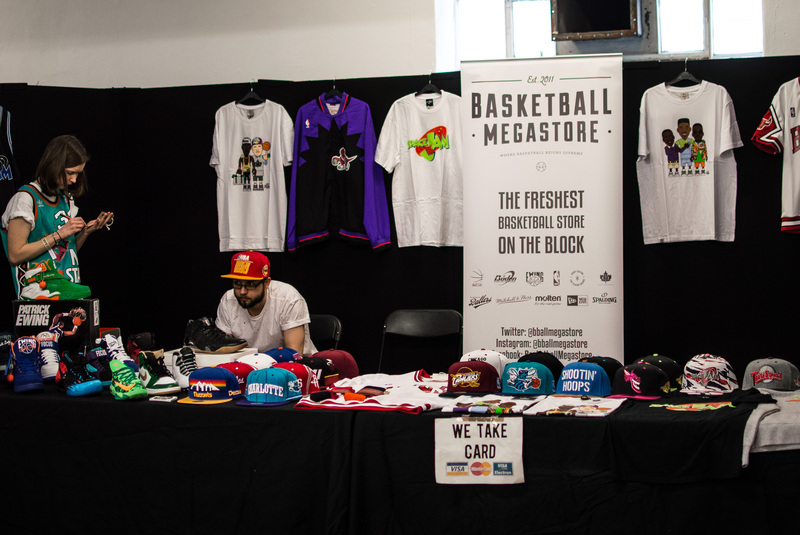 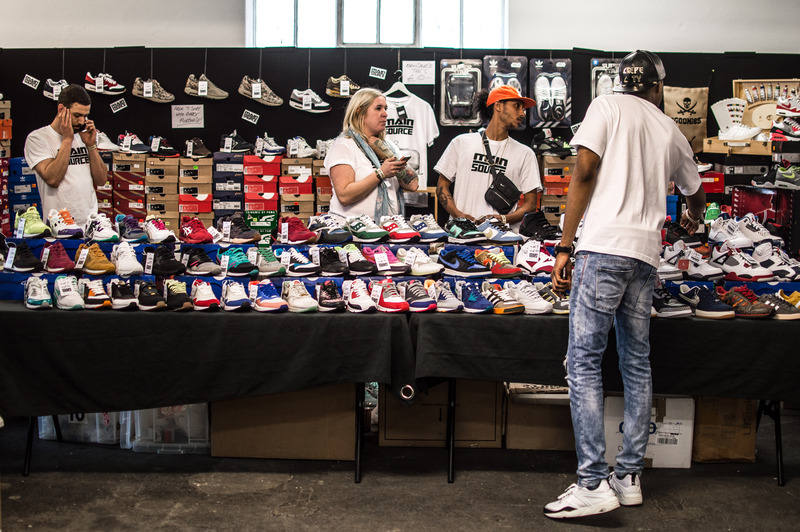 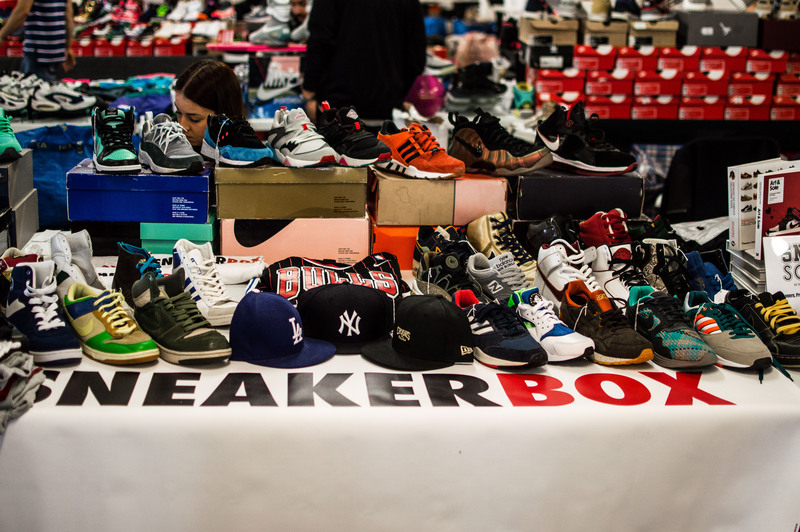 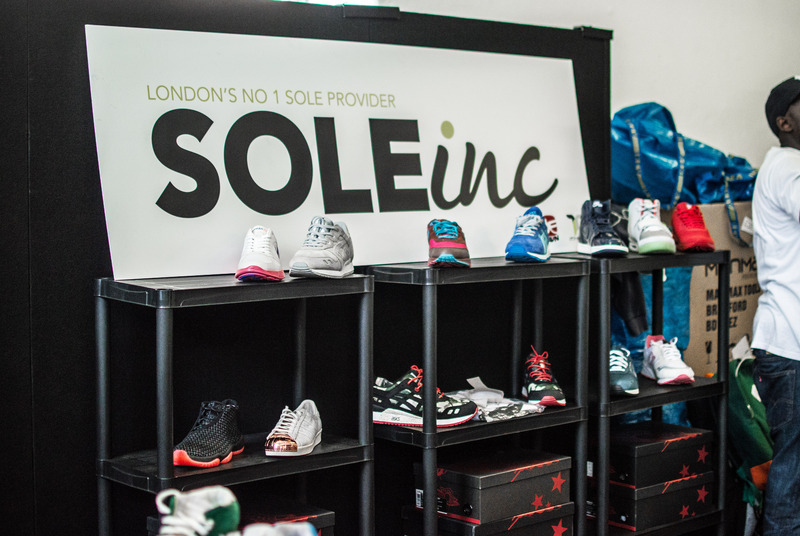 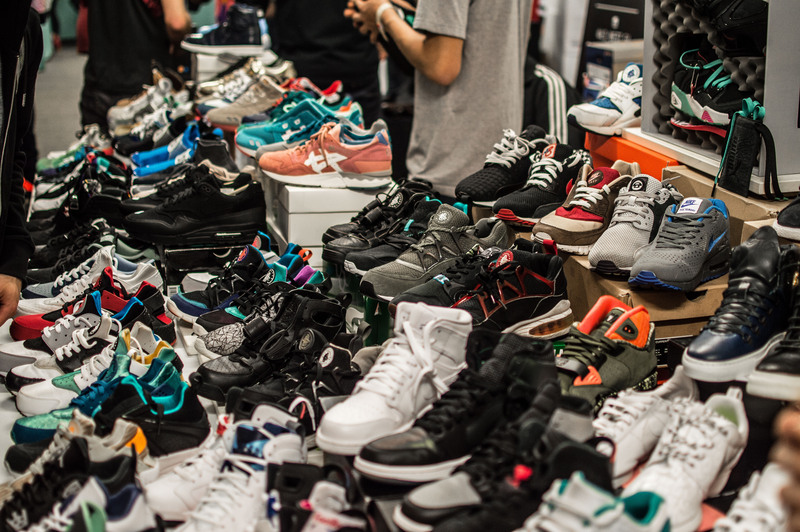 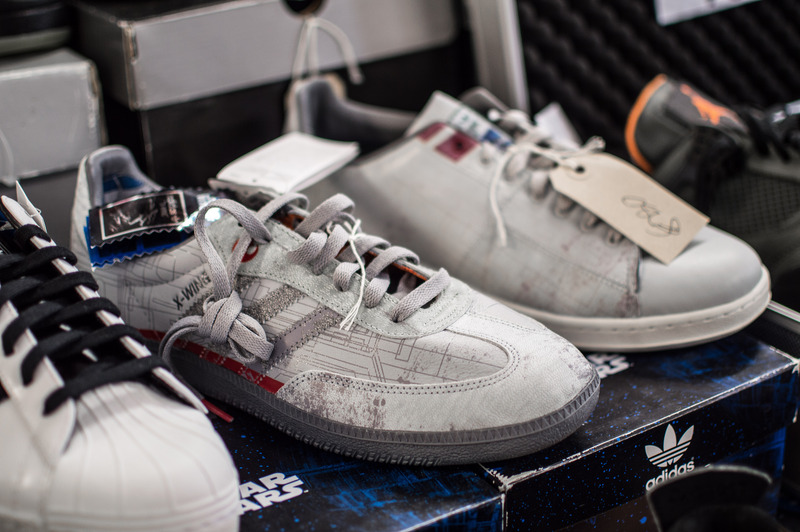 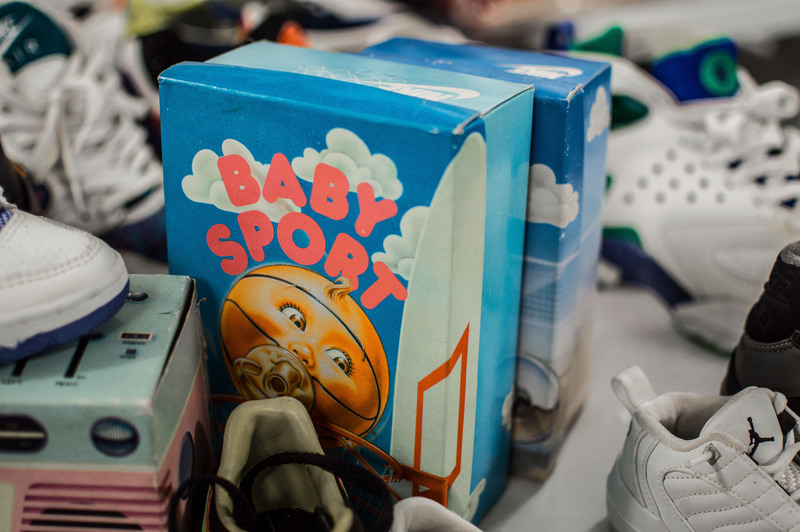 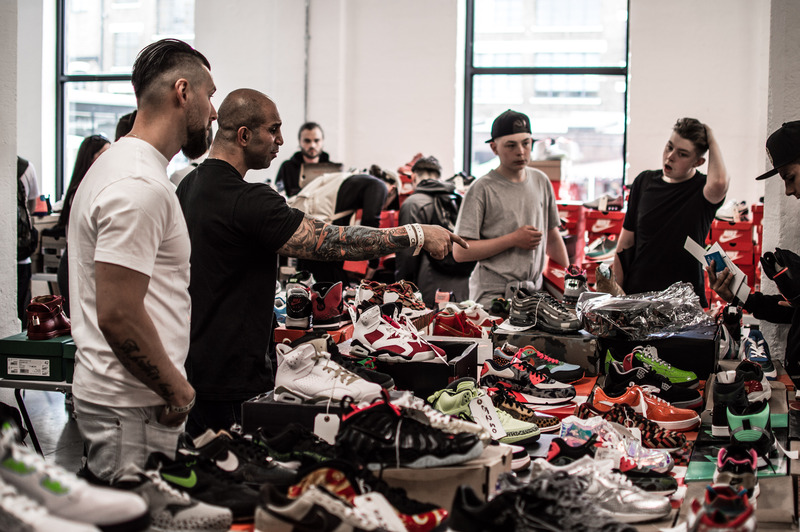 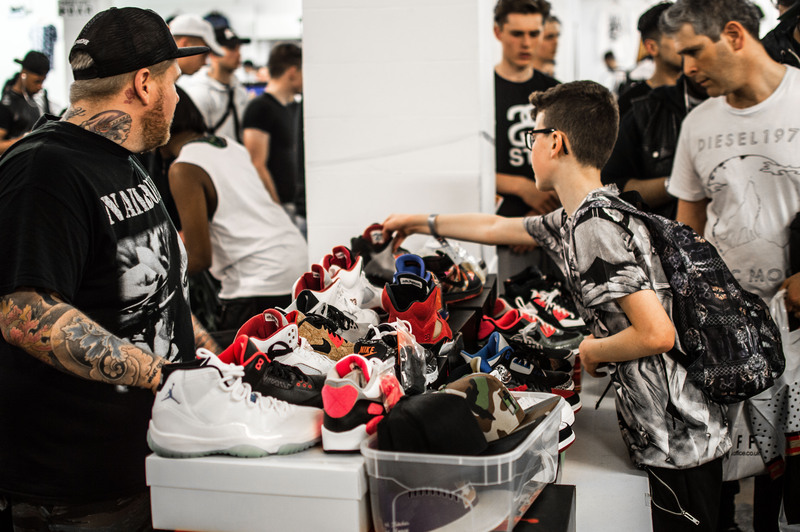 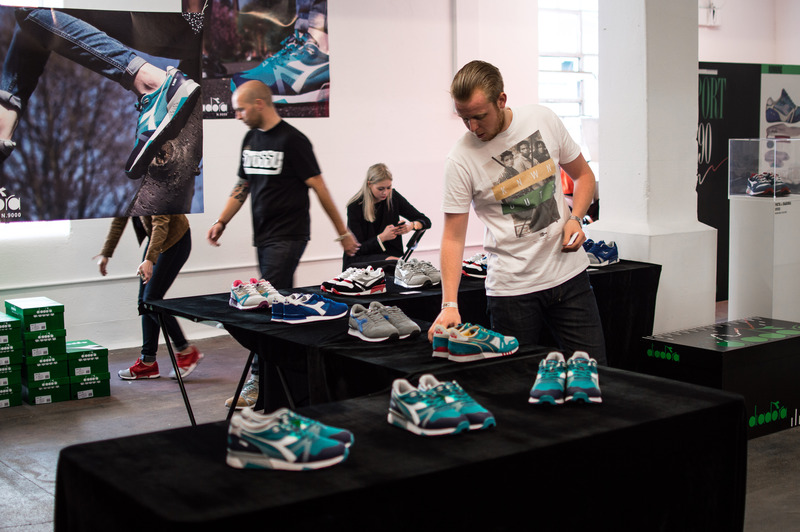 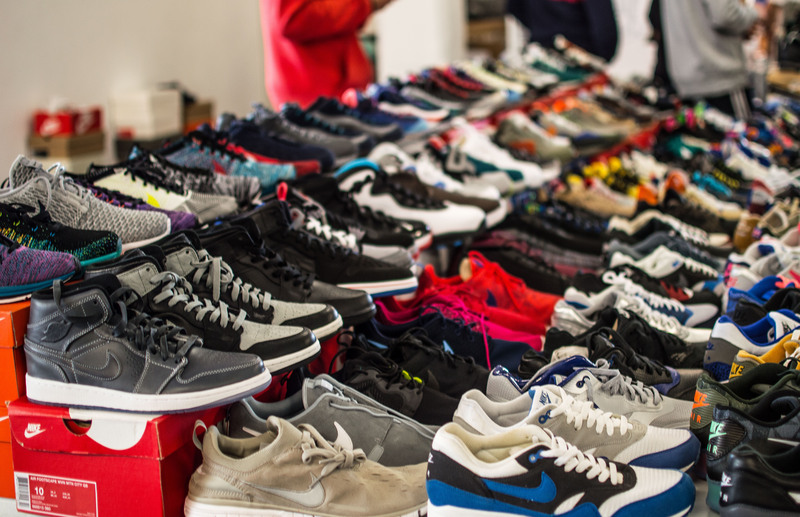 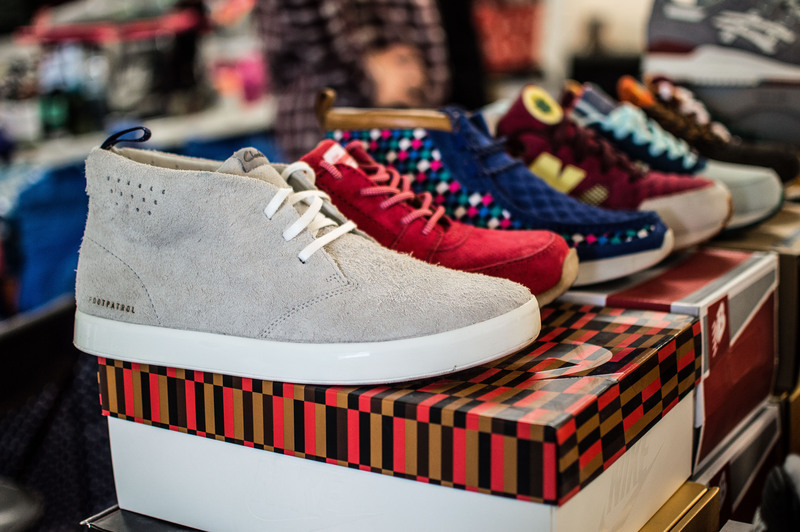 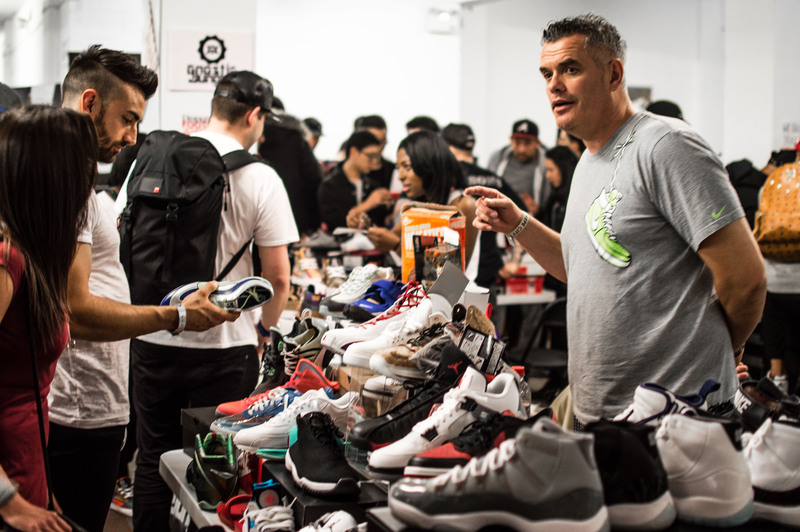 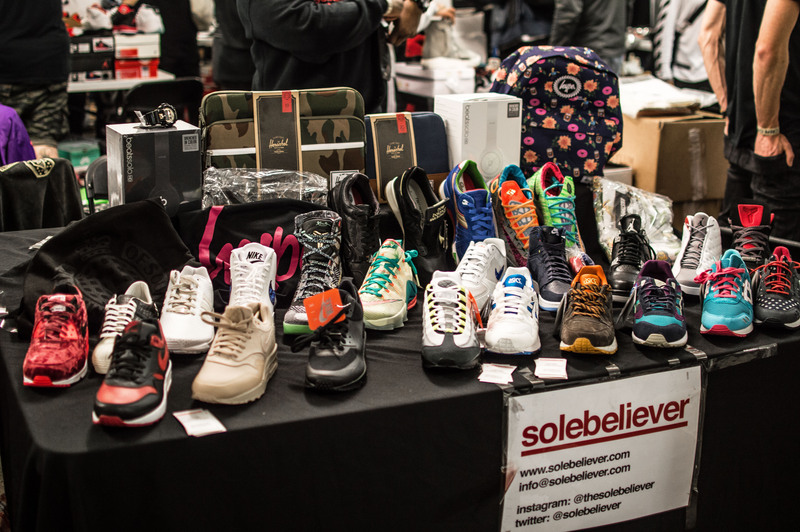 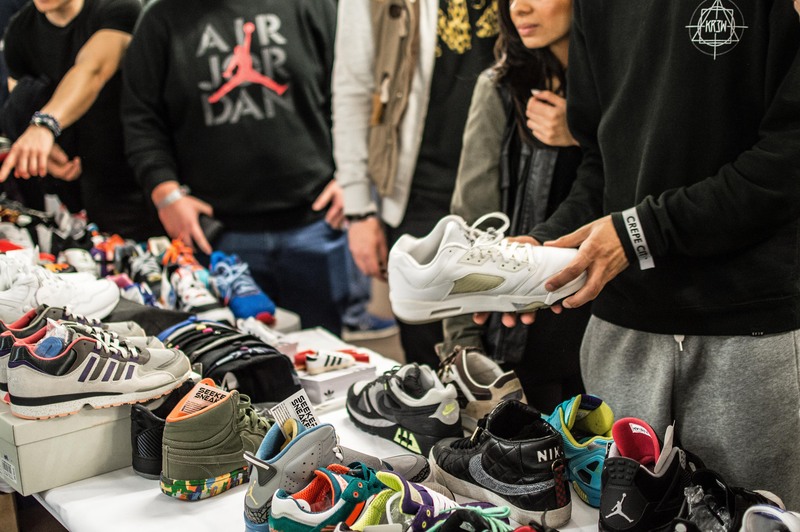 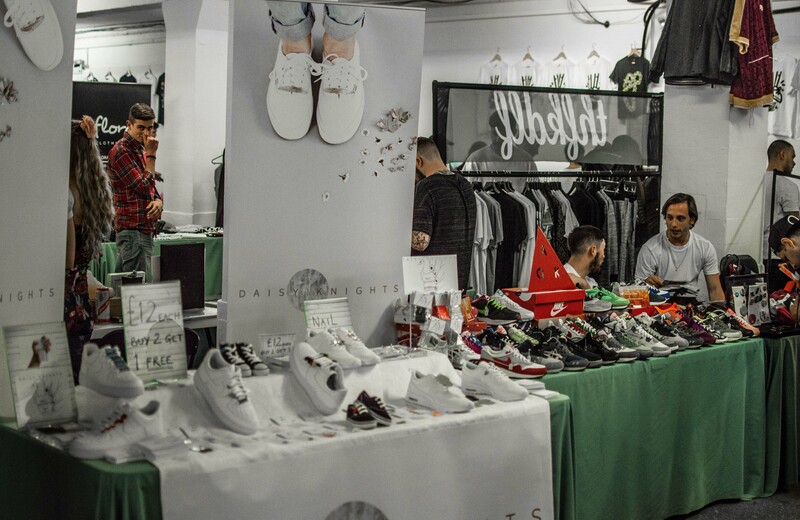 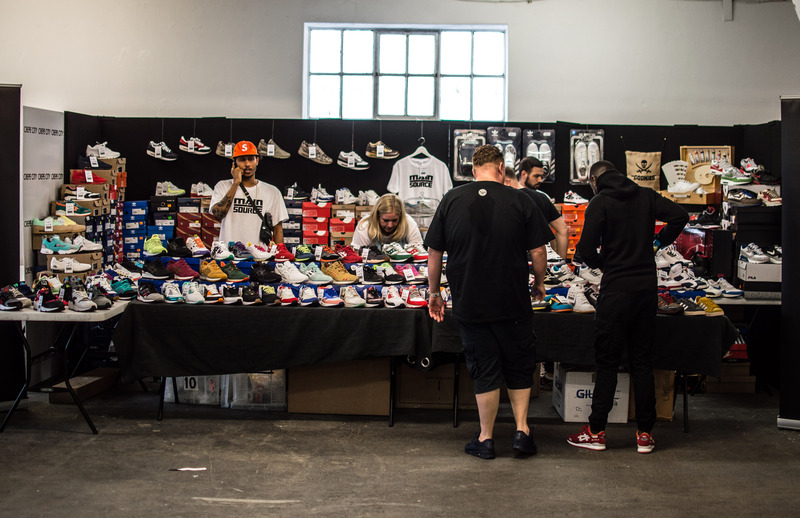 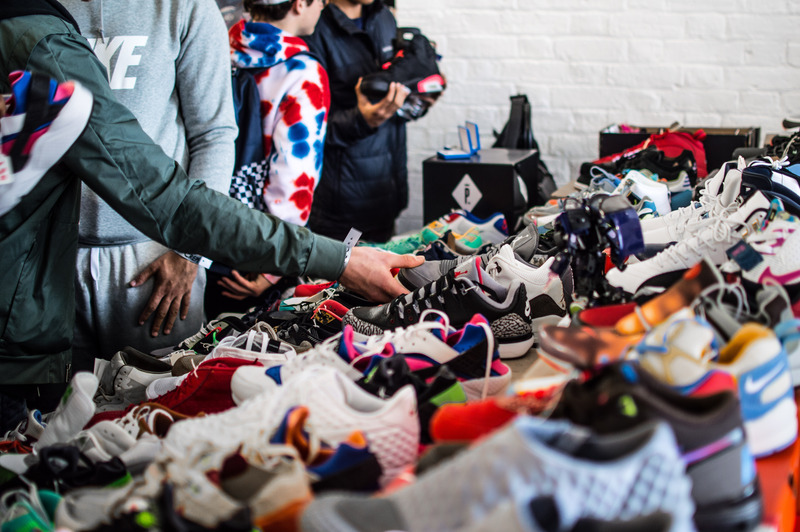 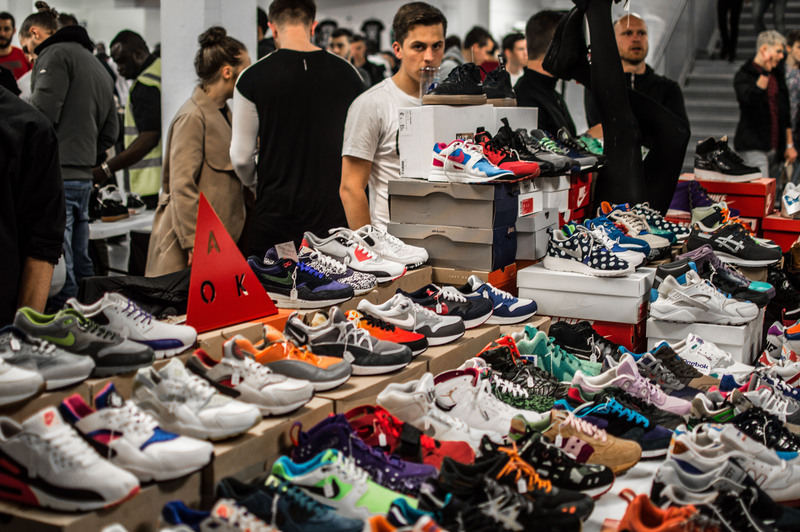 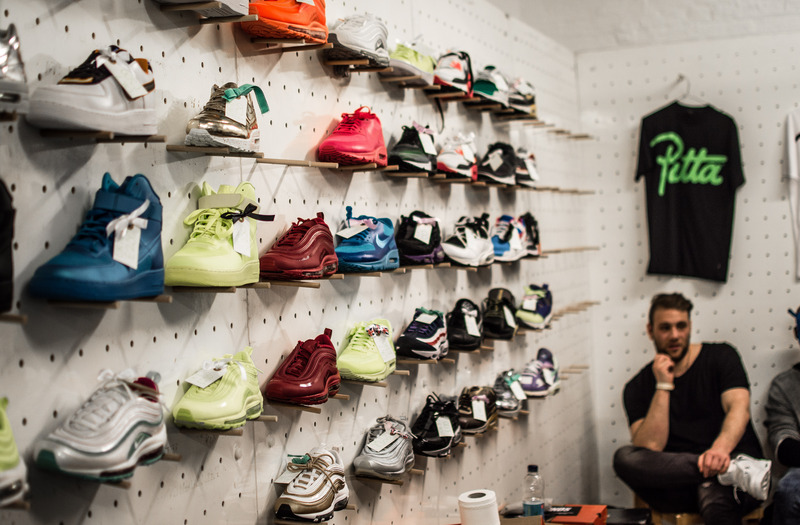 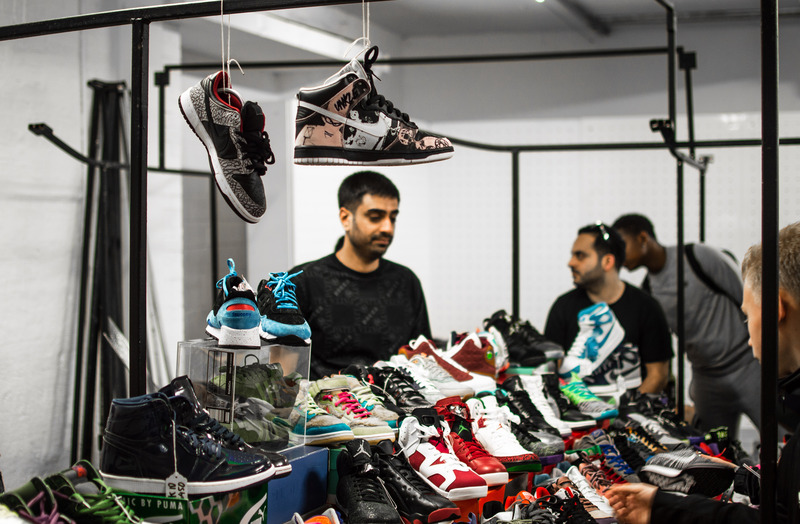 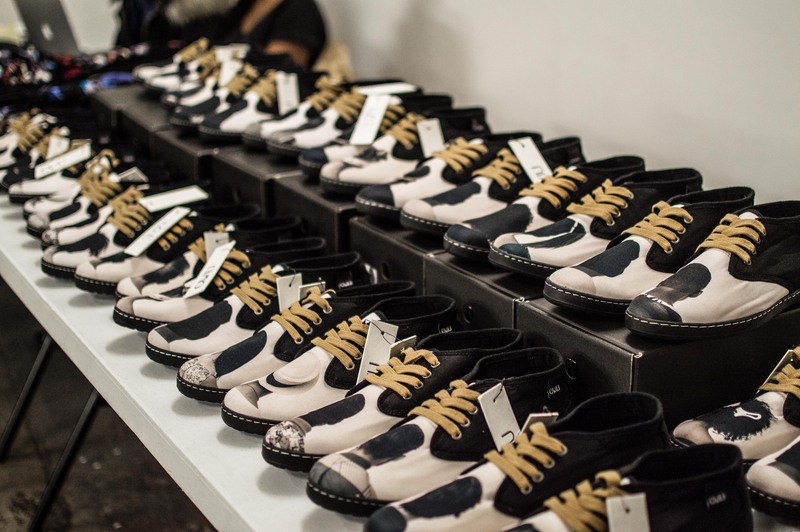 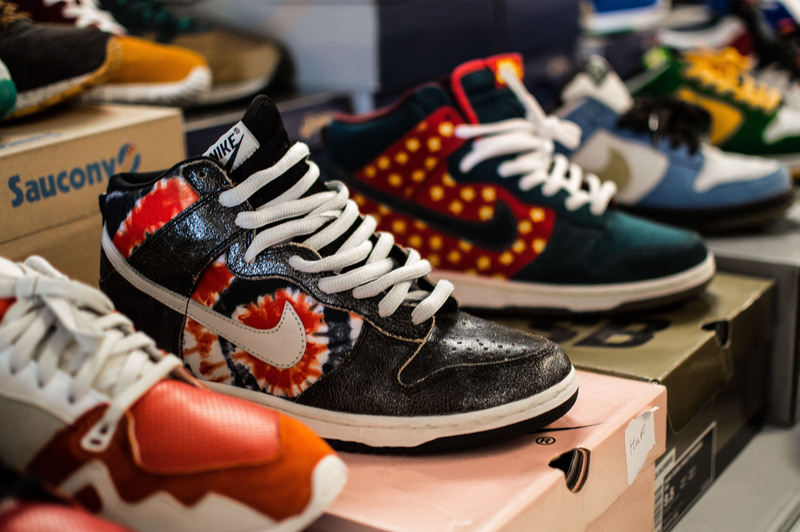 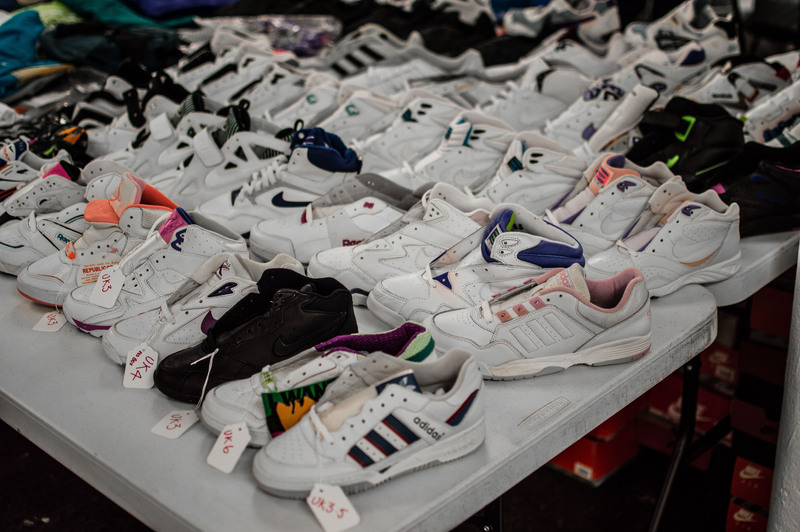 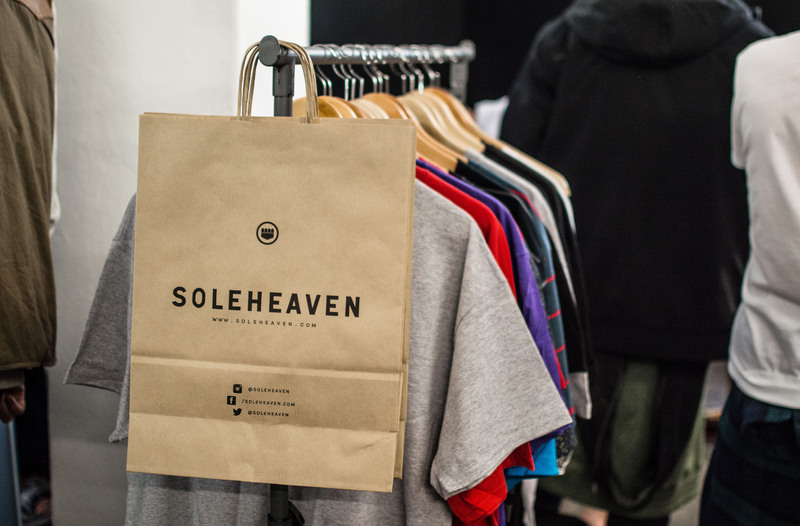 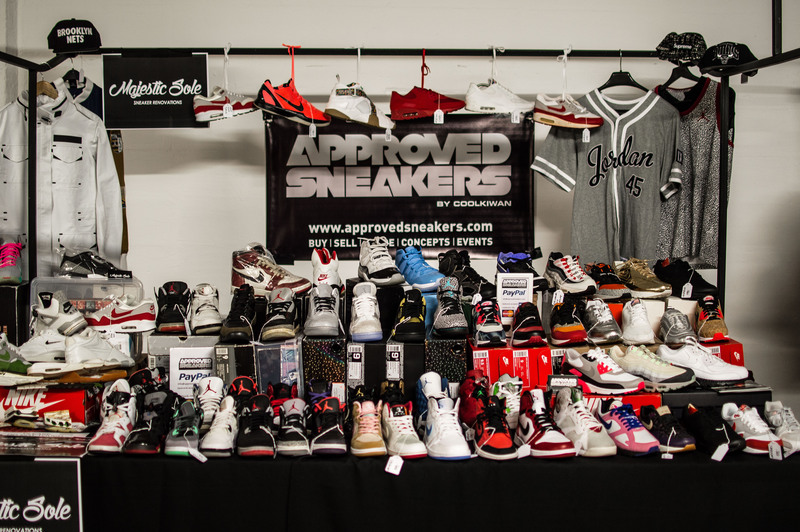 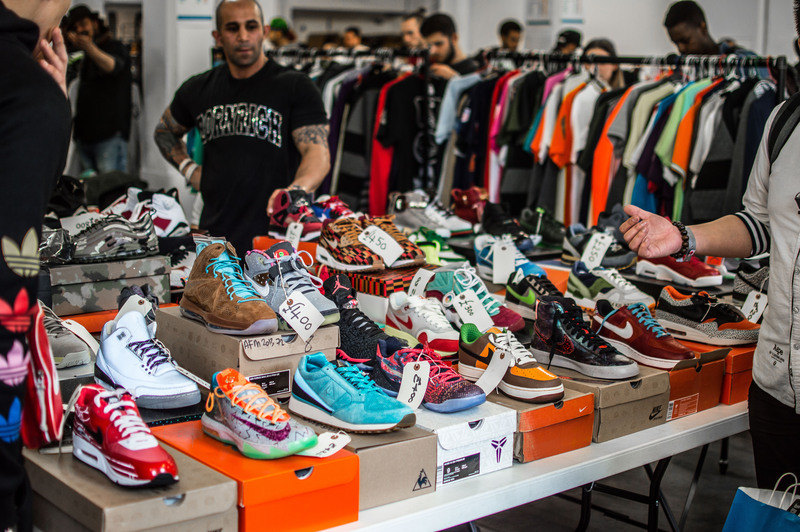 This room also featured the UK’s own Soleheaven who regularly attend the event with a great selection of footwear on offer, and also heavyweights Main Source who had loads of rare deadstock goodness available. 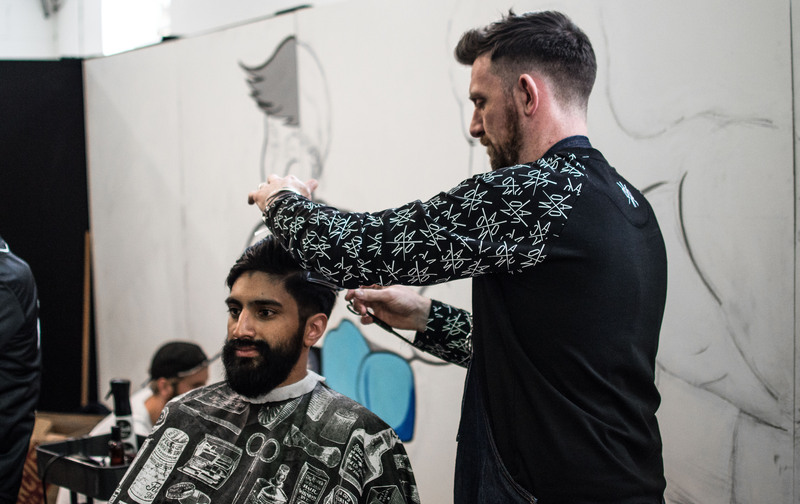 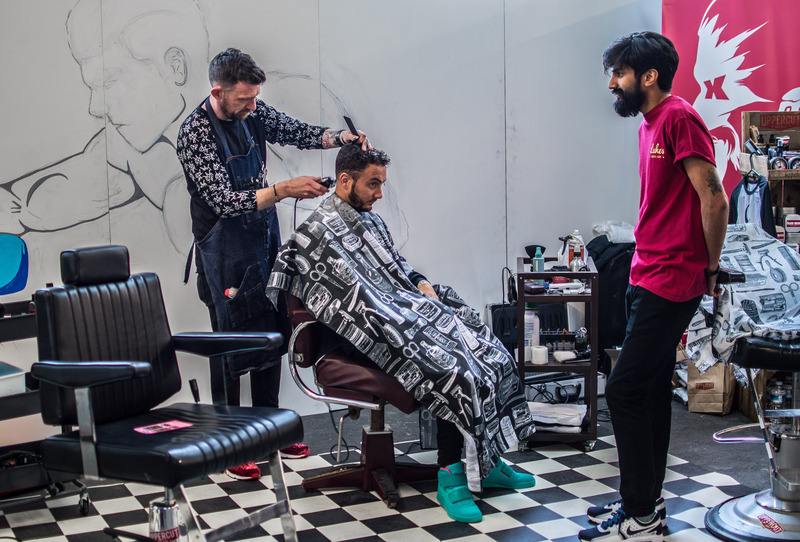 Crepe City isn’t just about footwear, clothing and accessories, Luke’s Barbershop were on hand to provide hair cuts if you so desired. 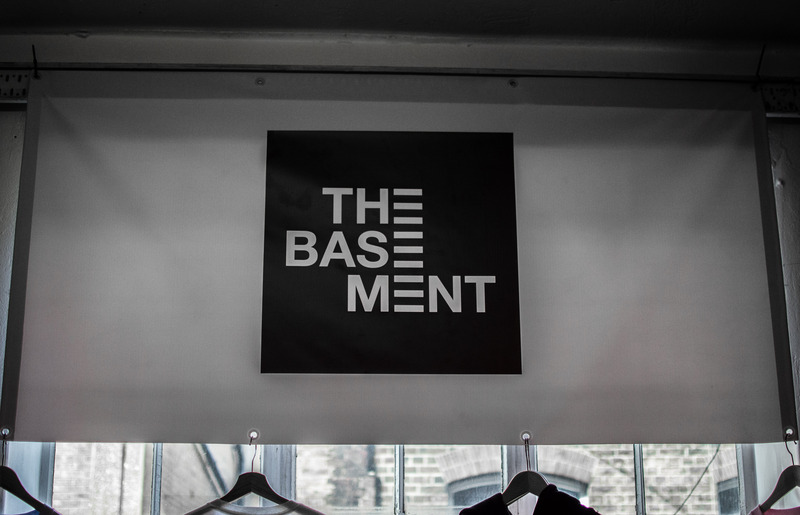 Moving downstairs now, and into one of the lower levels at Truman Brewery, this space was separated with two large rooms. 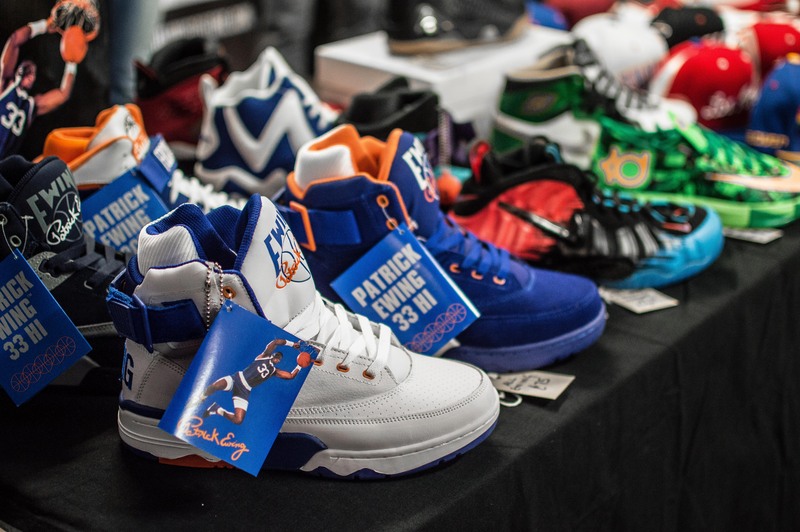 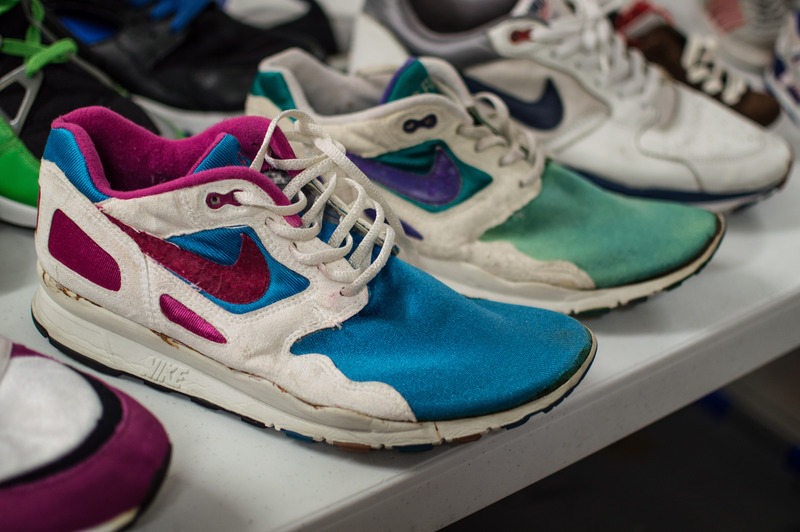 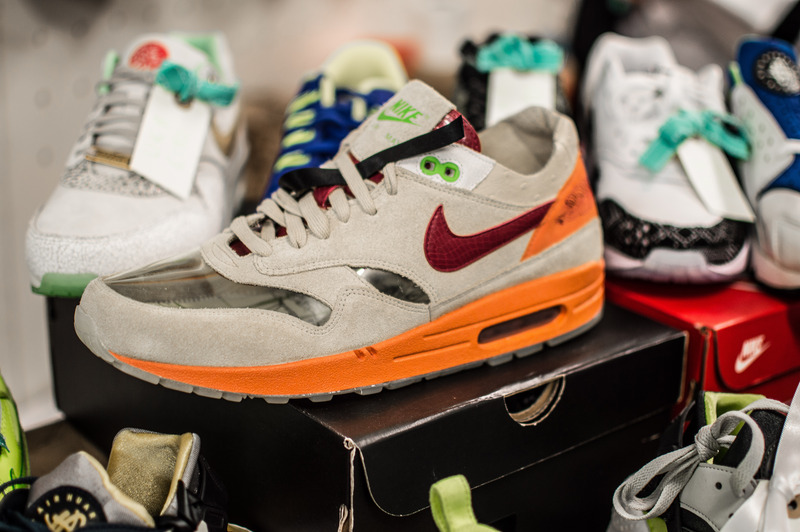 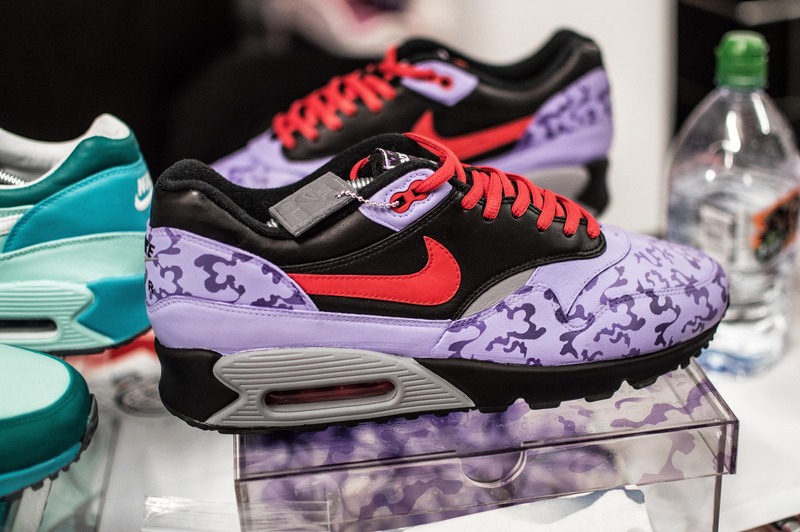 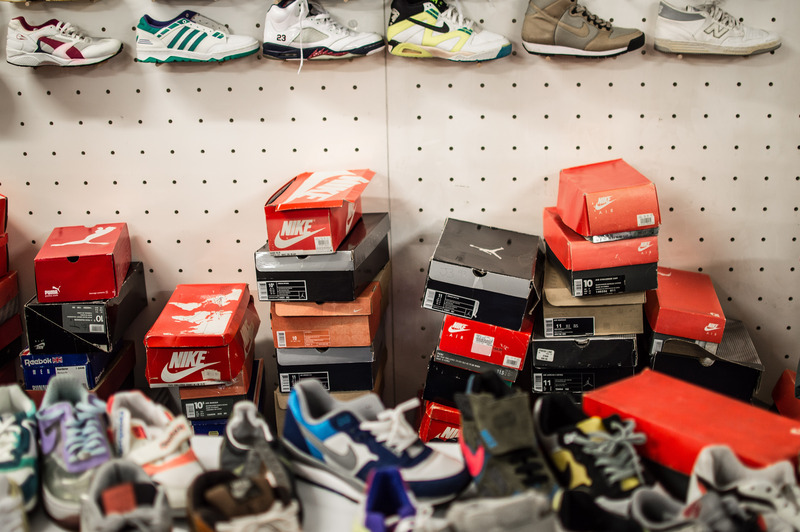 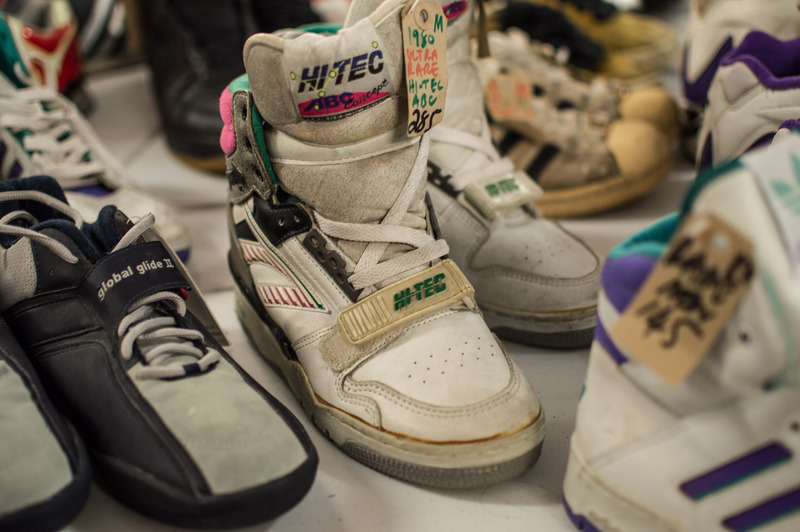 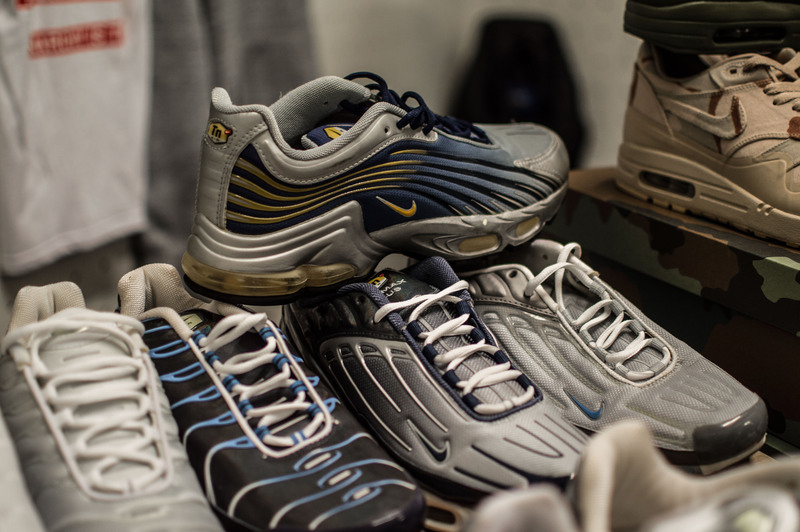 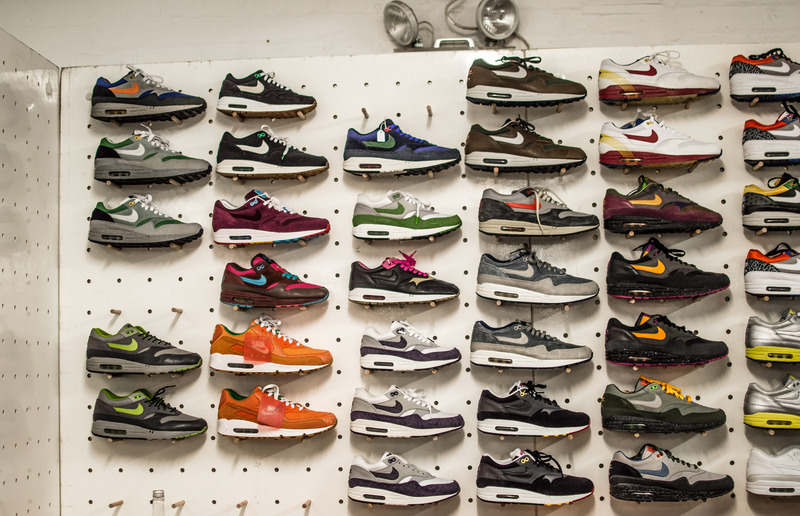 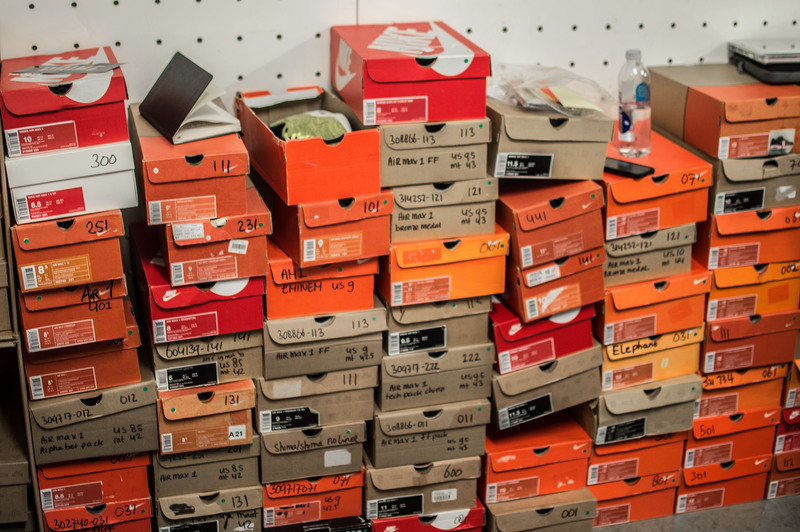 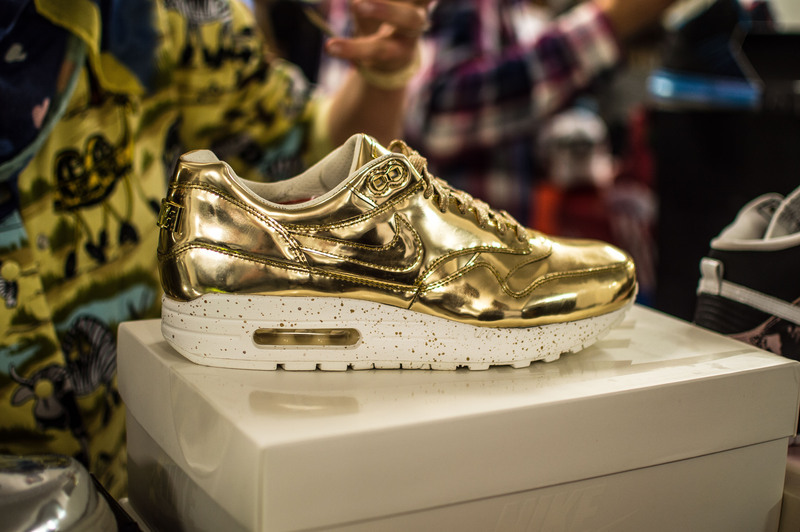 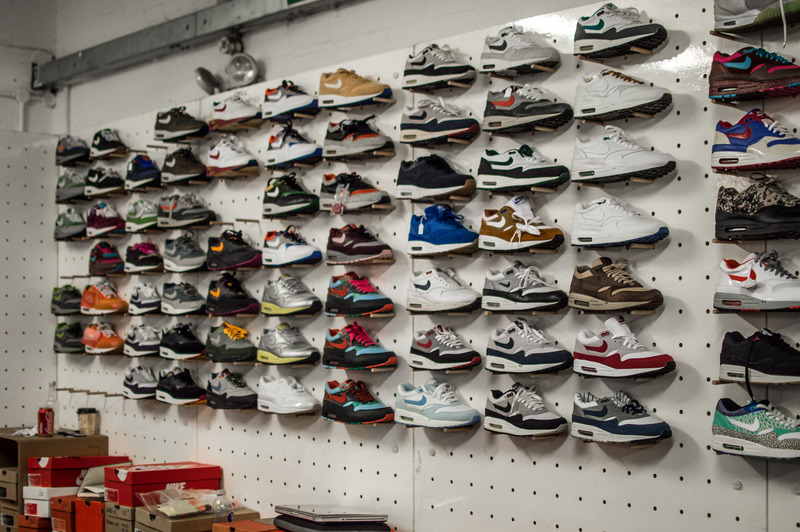 Heavy hitters Prime were tucked away in the corner but their wealth of rare Air Max never ceases to amaze no matter how many times you’ve seen them. 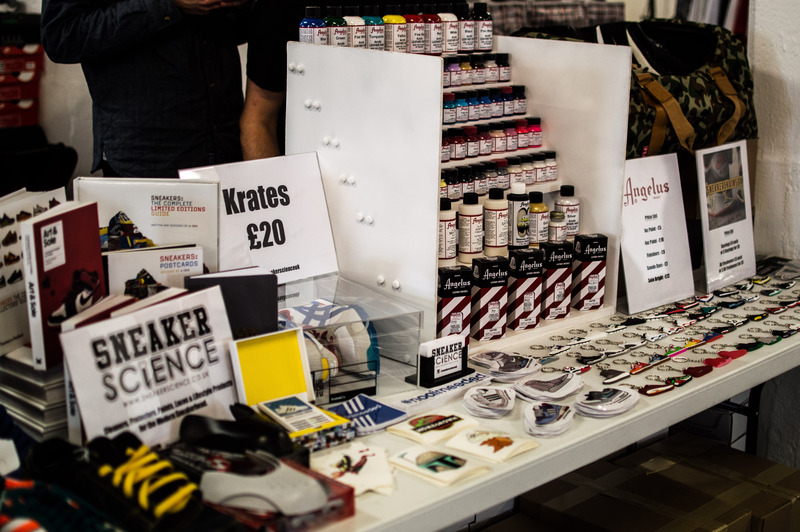 The last room was the closest to the exit, but this didn’t mean that the CC team had neglected it in the slightest, as the Crooked Tongues Forum crew were representing with a couple of tables, and also UK retailer Wellgosh with a huge amount of excellent stock from their store. 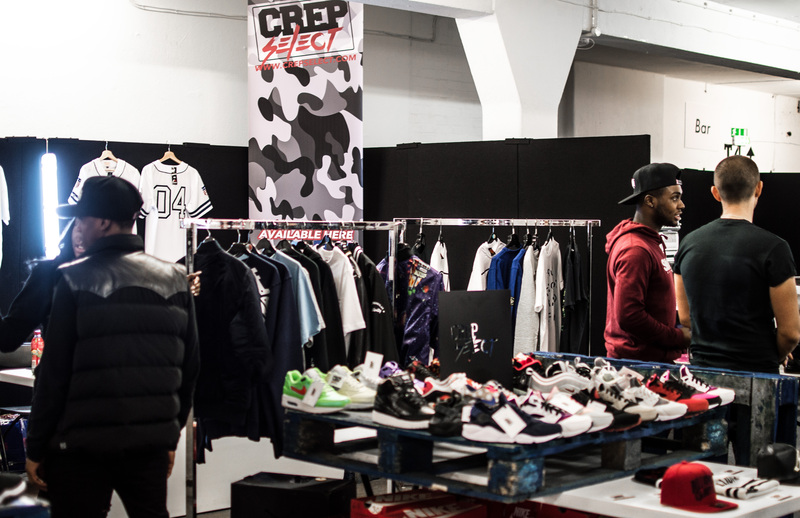 Another extremely successful event, which wouldn’t of been possible without the continued effort of the Crepe City crew, and also all the sellers, traders, retailers, DJs, caterers, brands, and punters who pass through on the day. 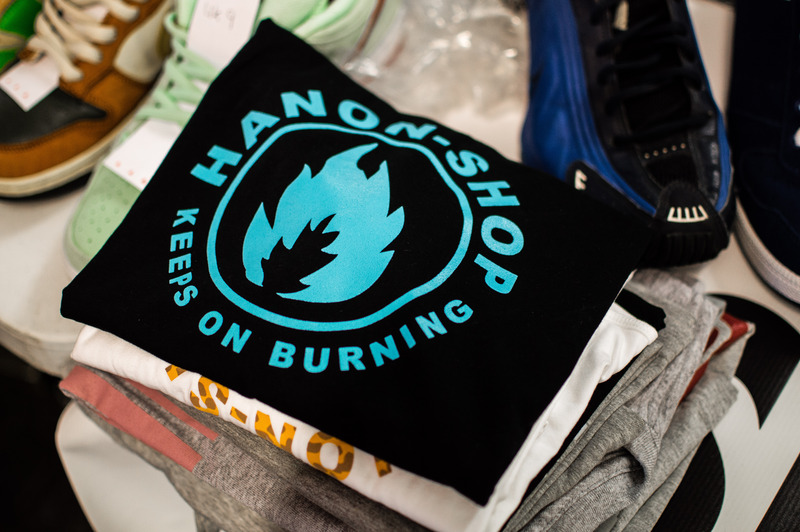 Keep killing it! 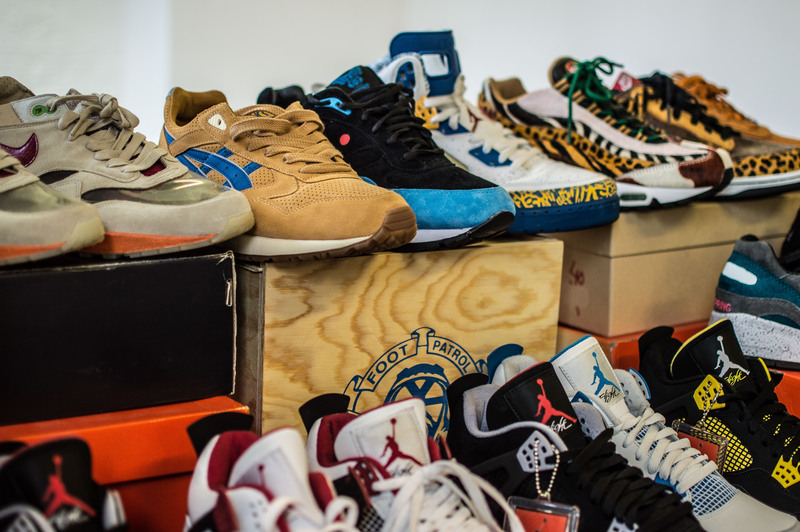 Following on from the last post, I checked out this collection back in April, and it’s taken a long time for some pictures to show up on the internet, but nevertheless, they did, so check them out below. 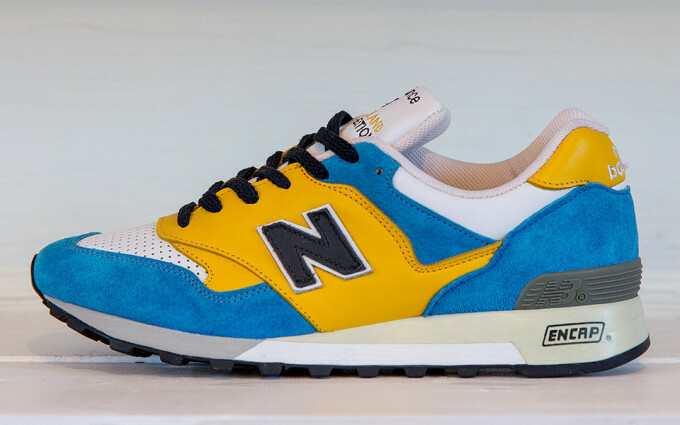 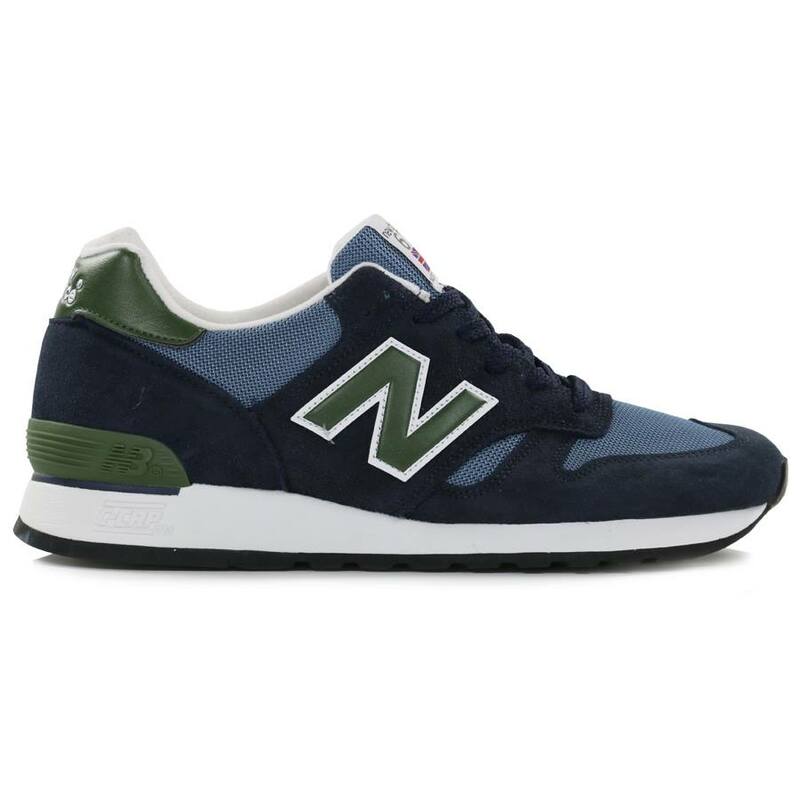 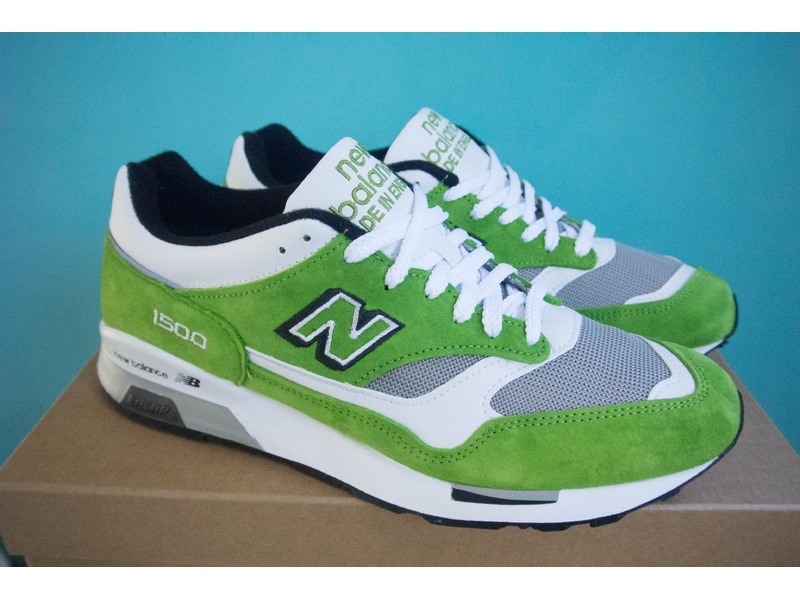 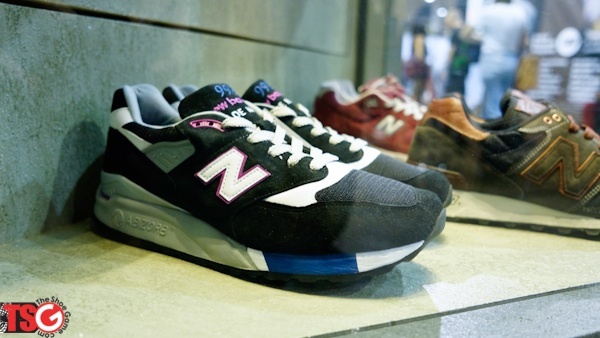 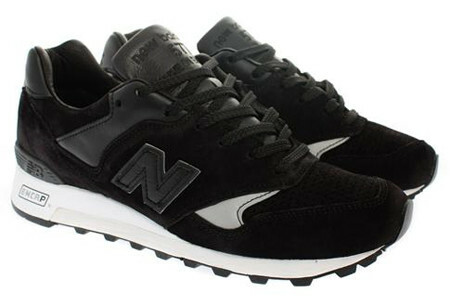 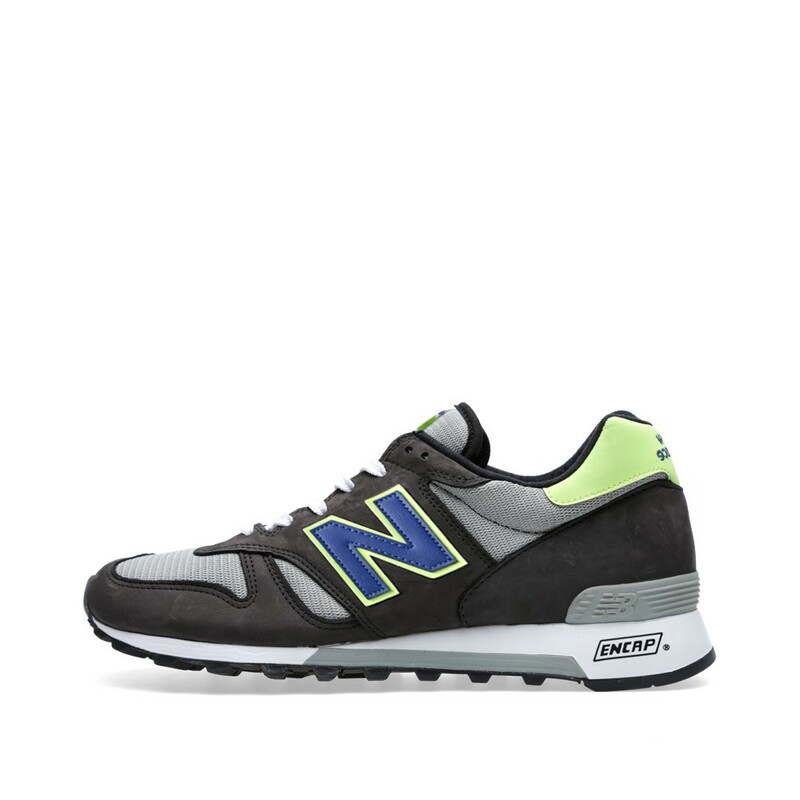 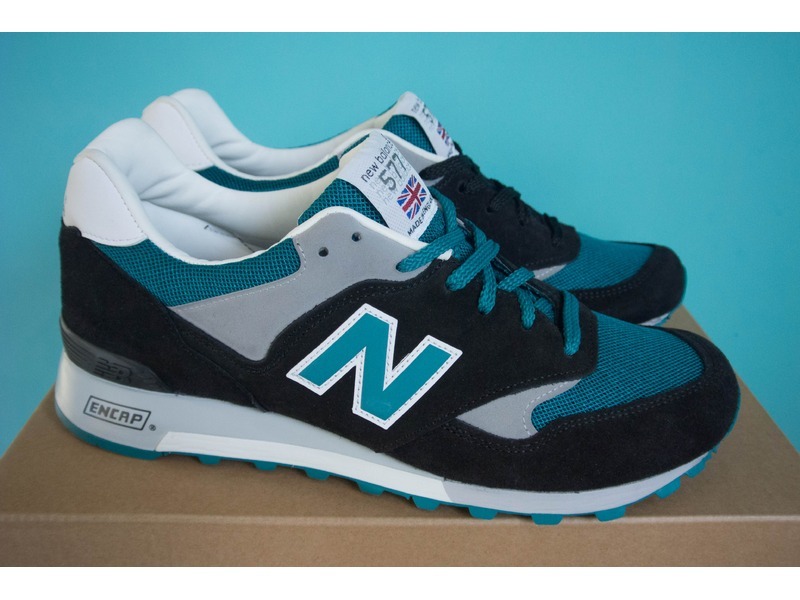 Again, we see more of the same from New Balance USA, but that pair of 1300’s really caught my eye, and I’m looking forward to checking them out in person. 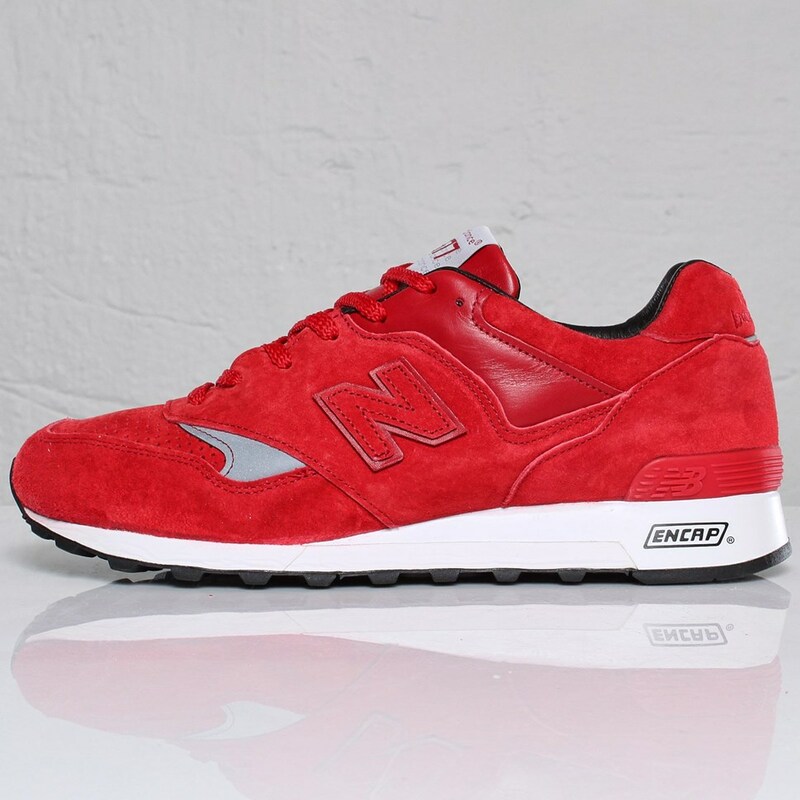 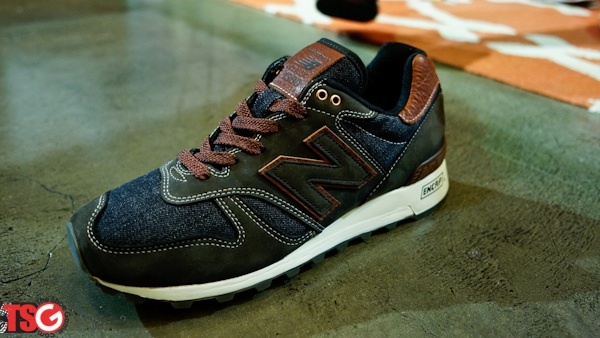 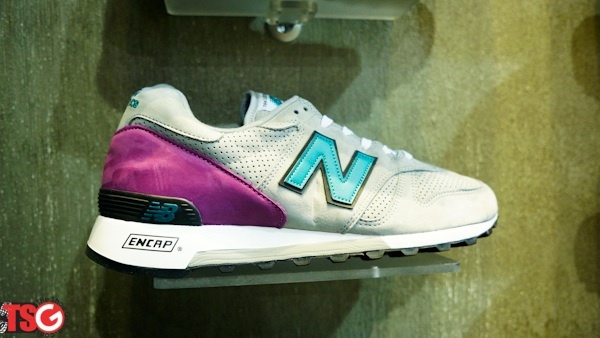 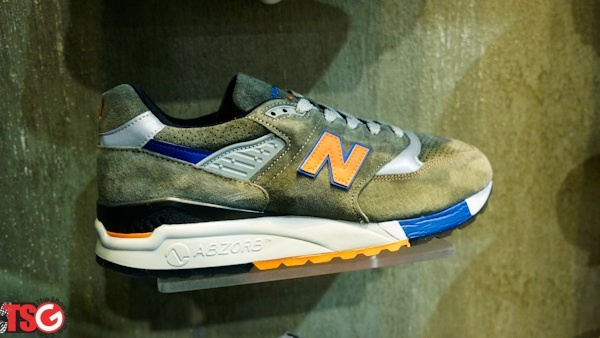 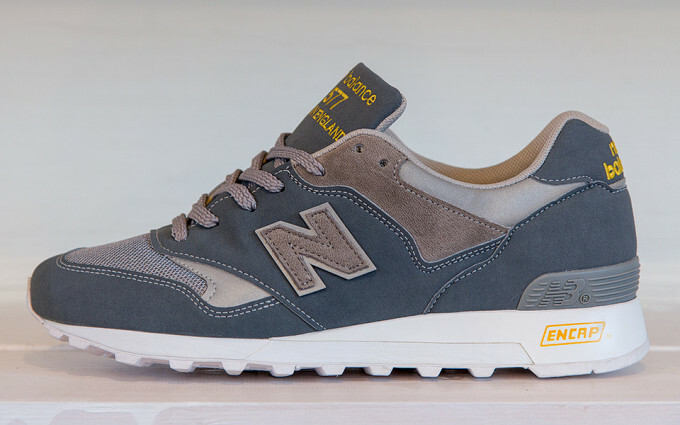 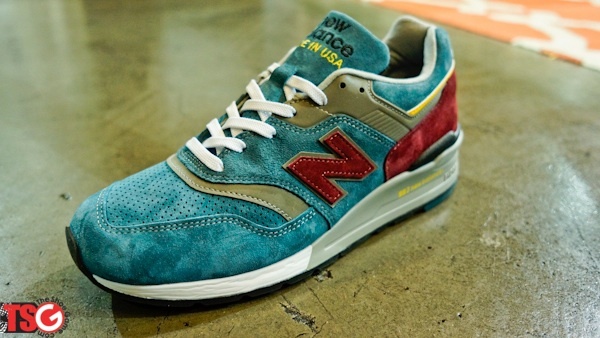 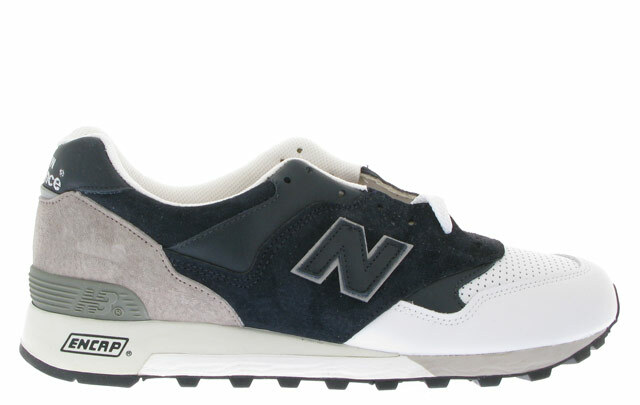 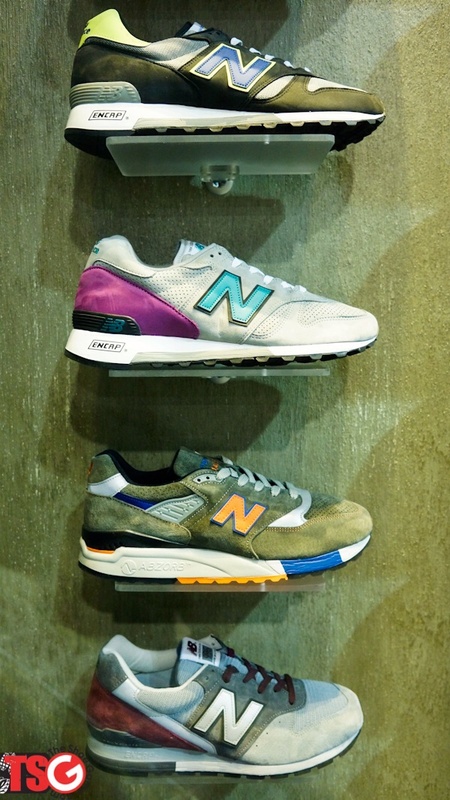 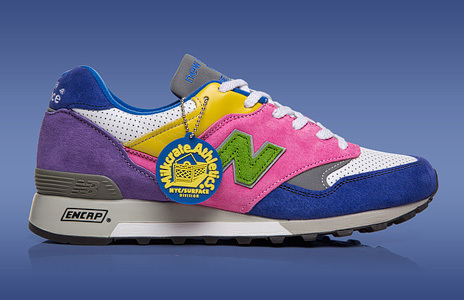 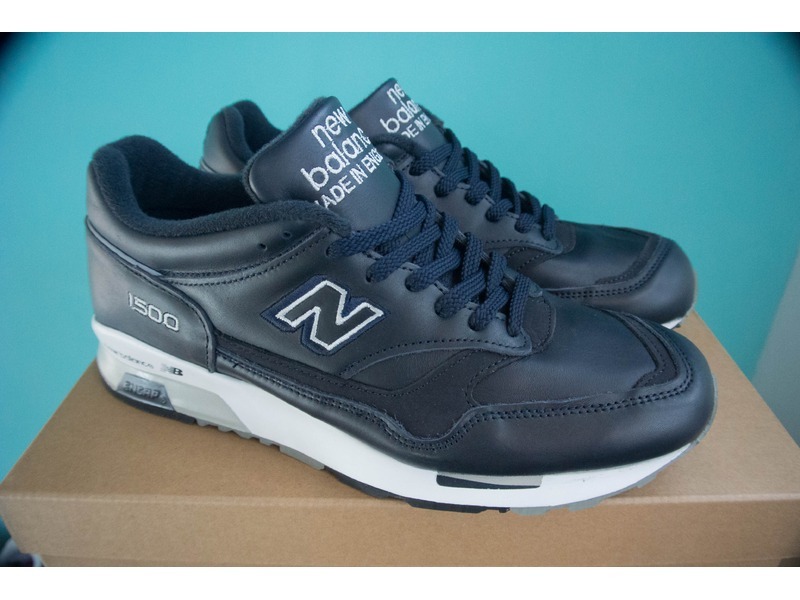 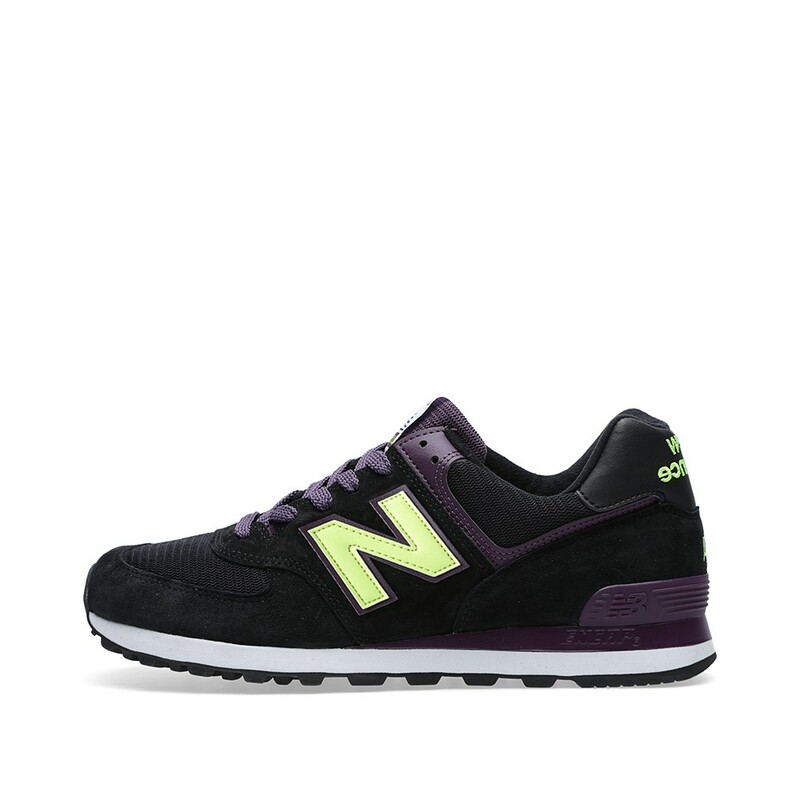 We also see New Balance sticking with some denim on another 1300 make-up. 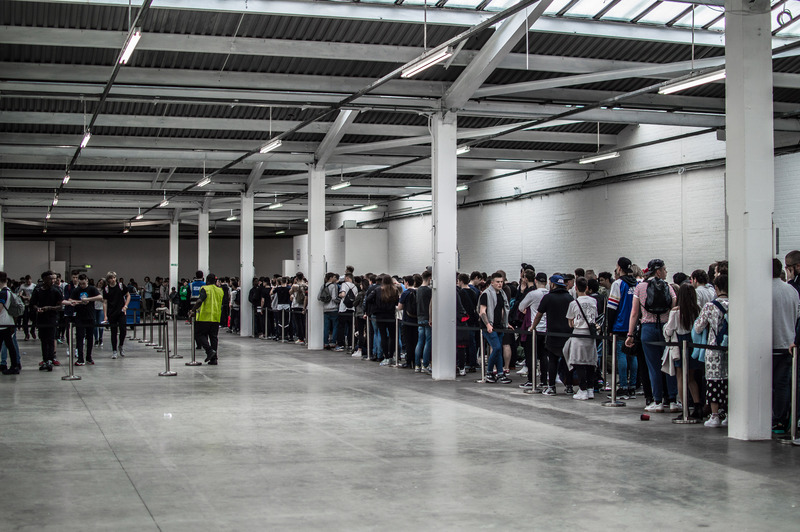 There’s been a few times that I’ve sat down and wrote a couple of pieces about ‘leaks’, but I’ve never actually posted one. 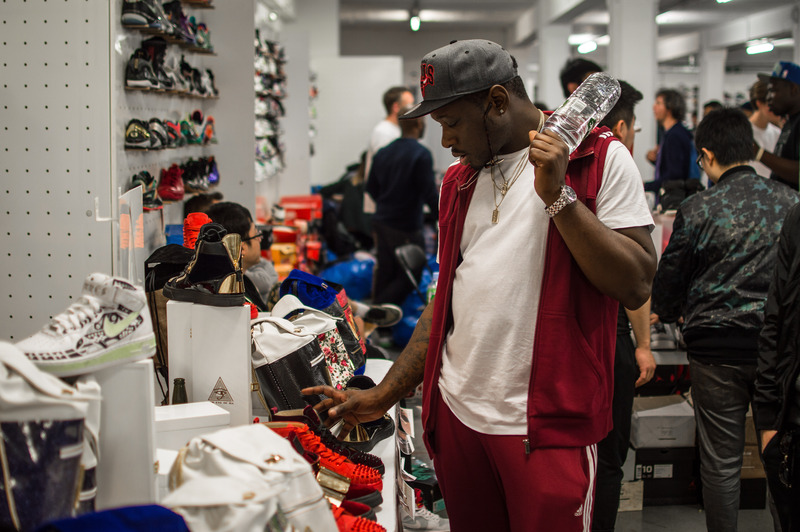 It’s a touchy subject for all brands/stores together, and for people who initiate leaks when they’re not meant to that represent the brand/store, well, I can’t imagine they’d be in their employer’s good books. 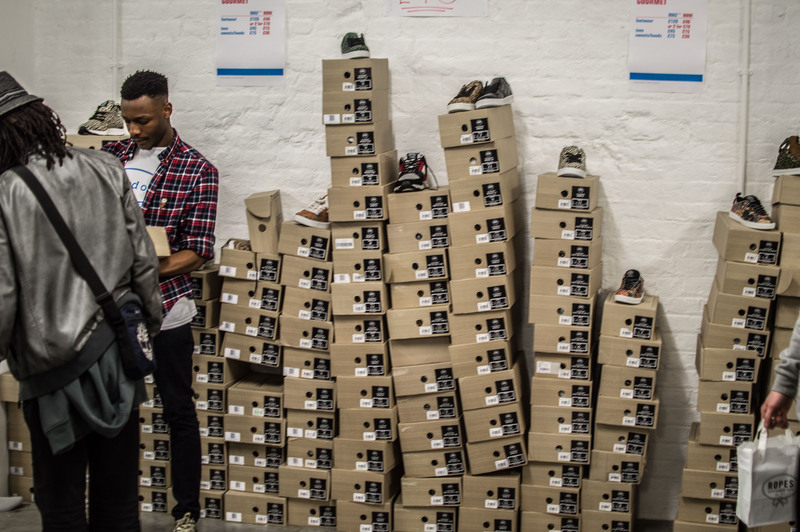 However, it is 2014 and the world has been engulfed in social media, whether it be Instagram, Facebook, Twitter, or whatever other social platform there is, so it’s pretty inevitable that leaks are going to happen. 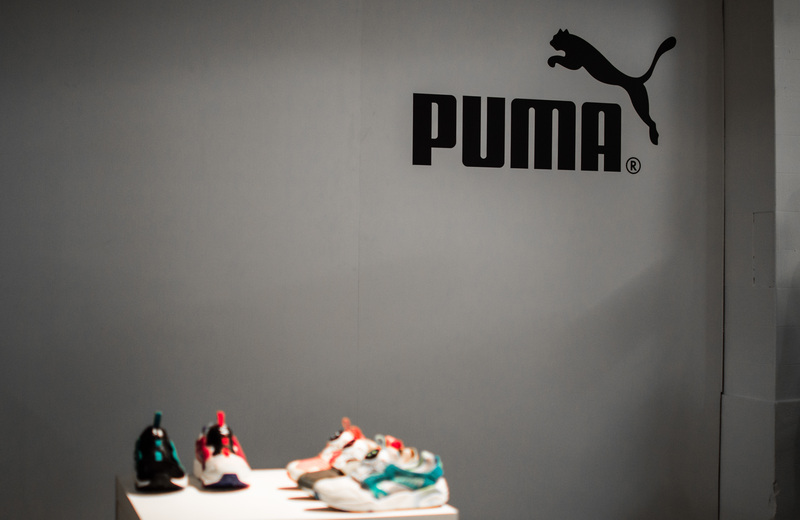 It’s not all bad though as the consumer love leaks, and that’s no word of a lie. 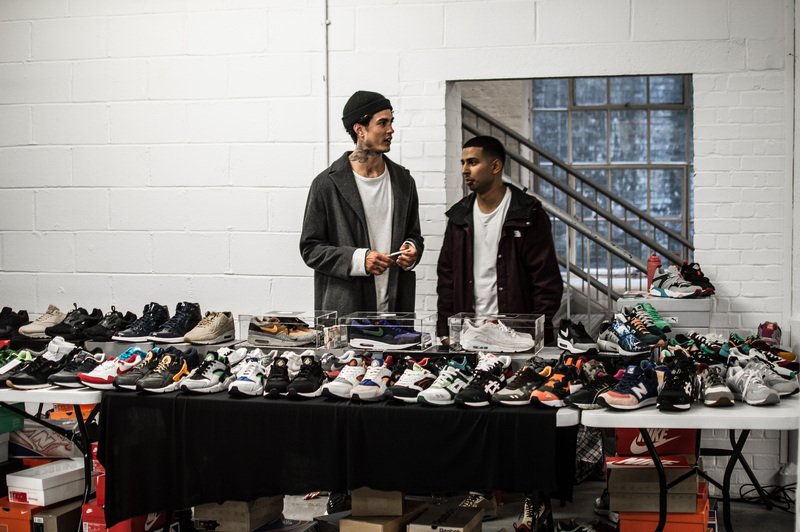 There’s nothing the next man wants more than a sneak peak at an upcoming collaboration with a store, or a couple of their favourite models from a brand’s unreleased collection let slip and up for sale on eBay. 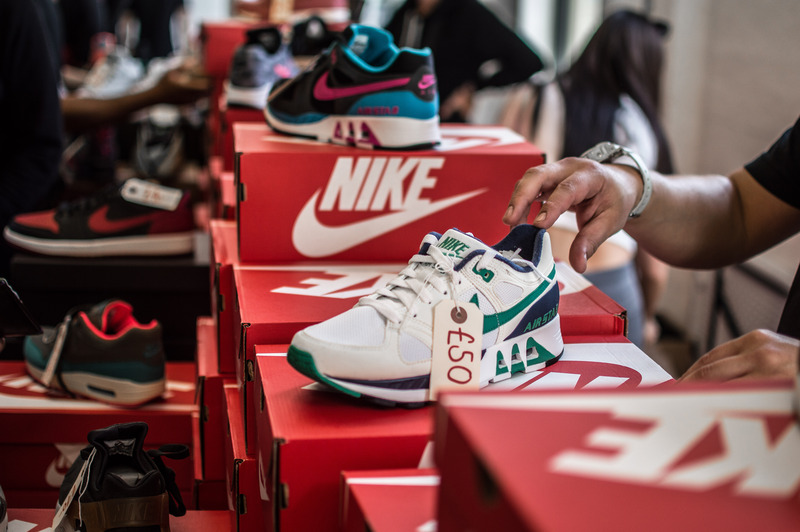 It creates a huge amount of anticipation, and excitement amongst everyone and keeps them talking, which surely for the most part is good for the brand. 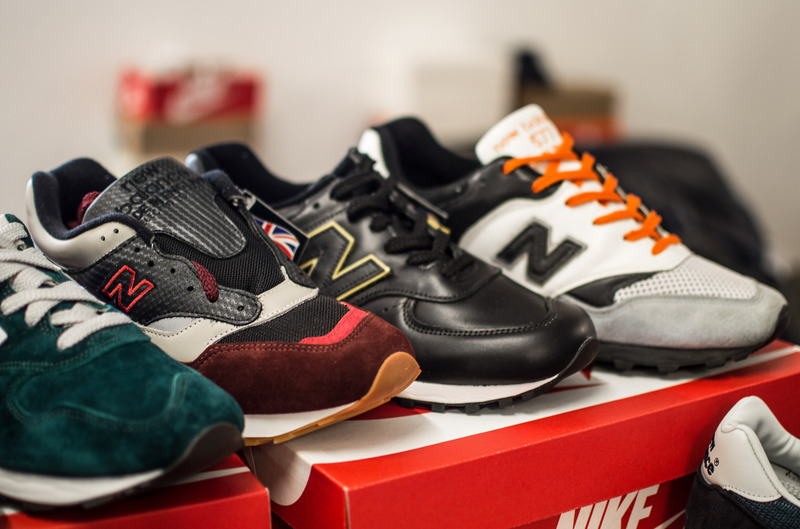 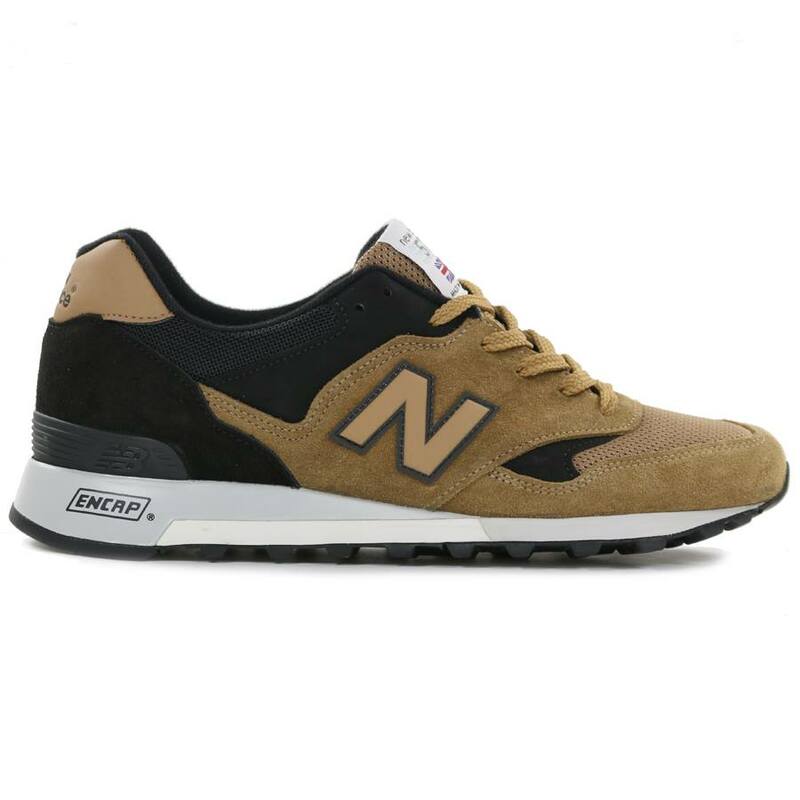 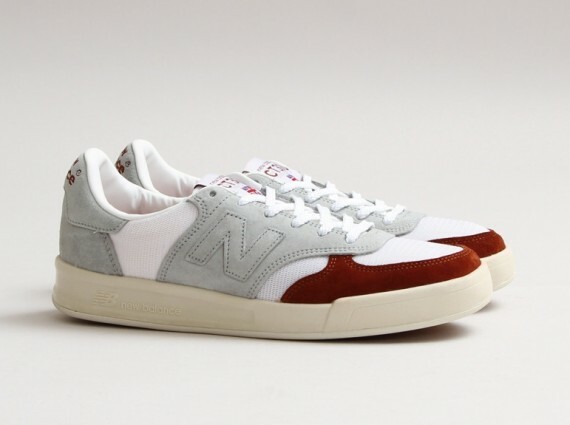 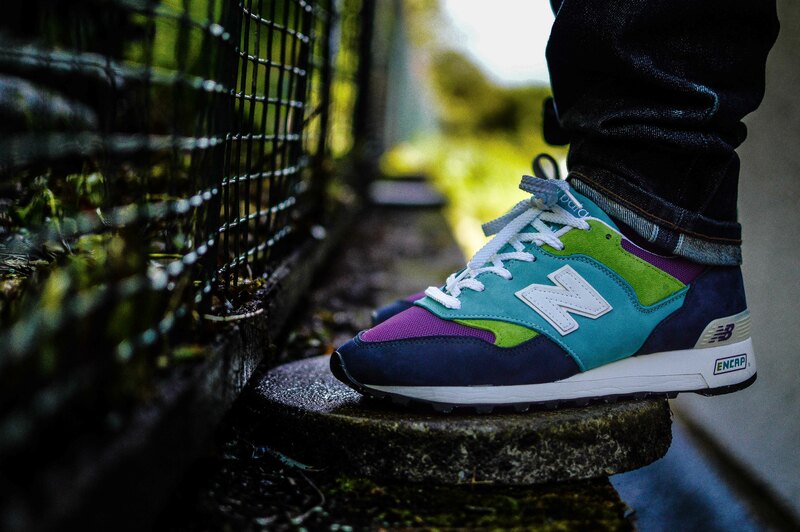 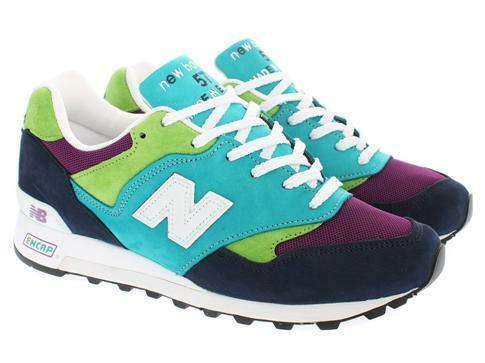 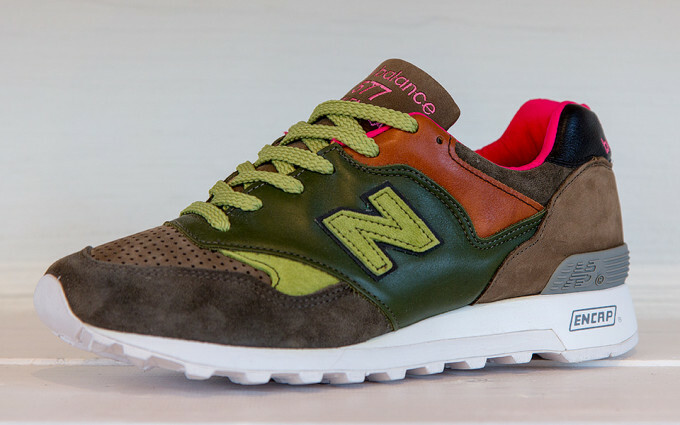 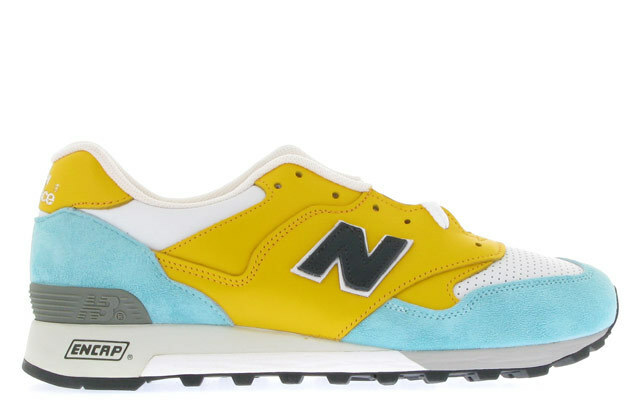 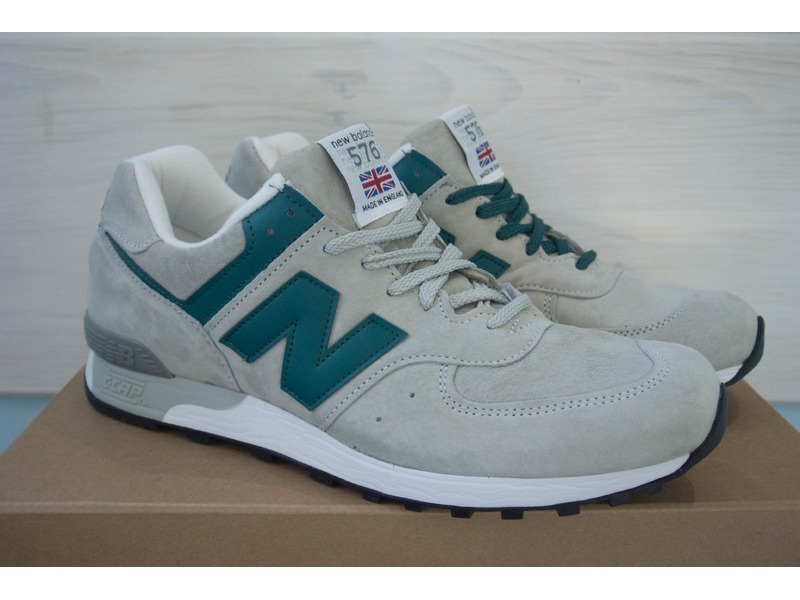 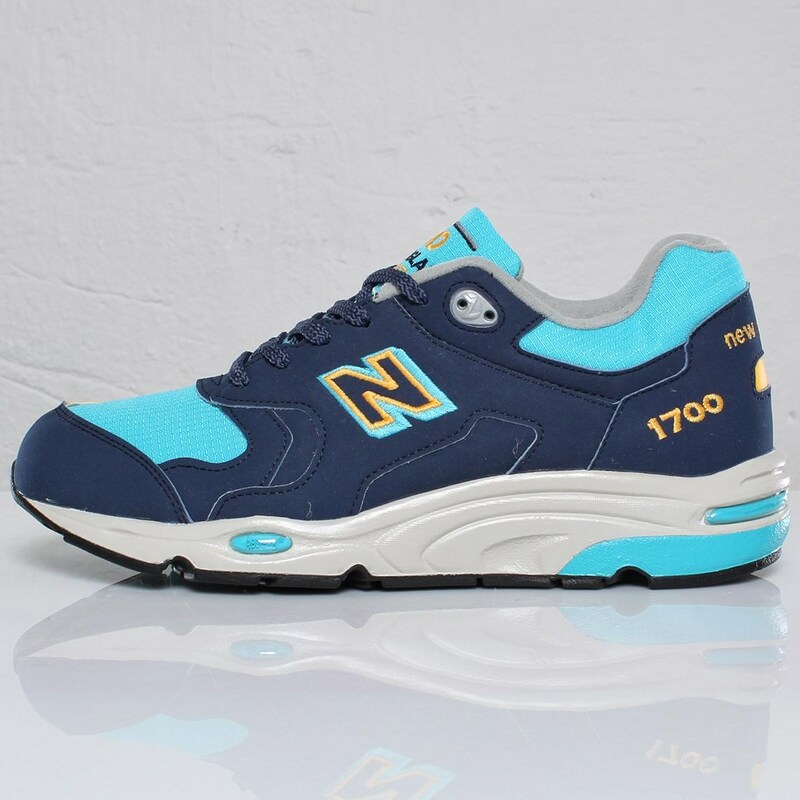 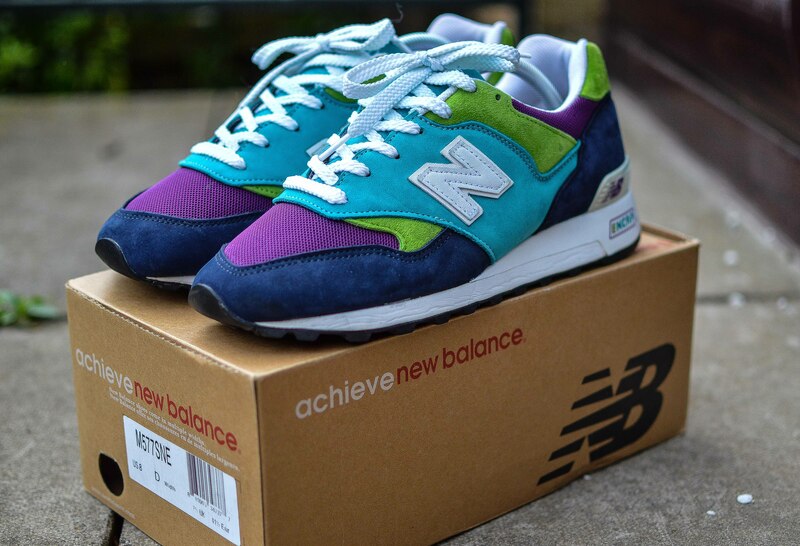 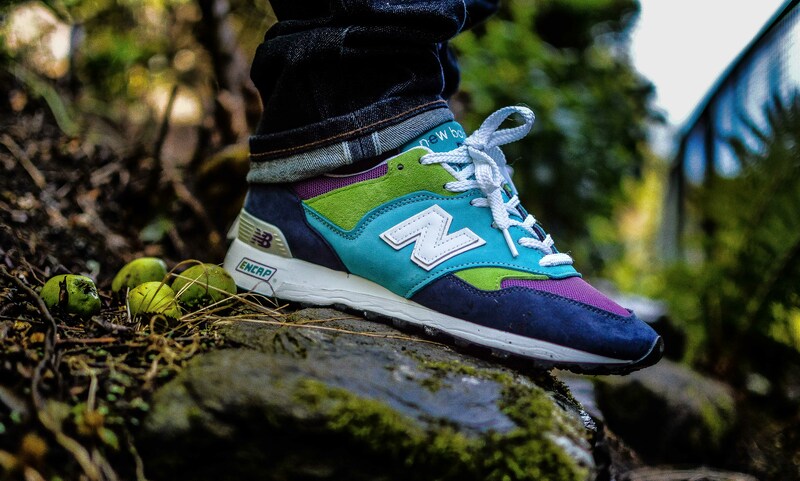 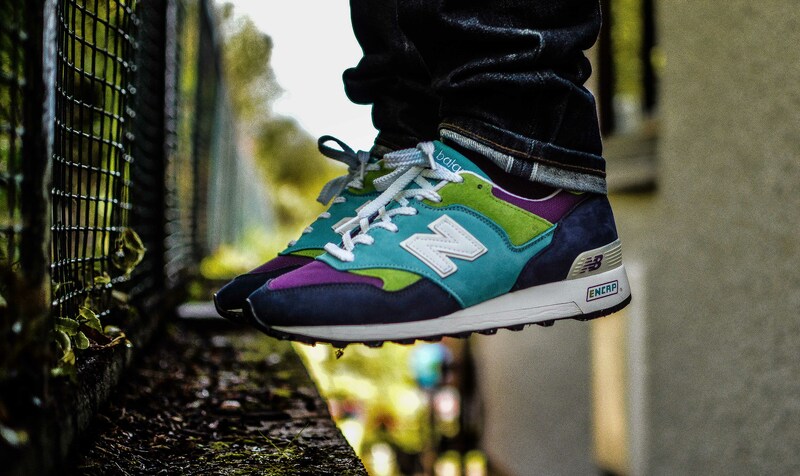 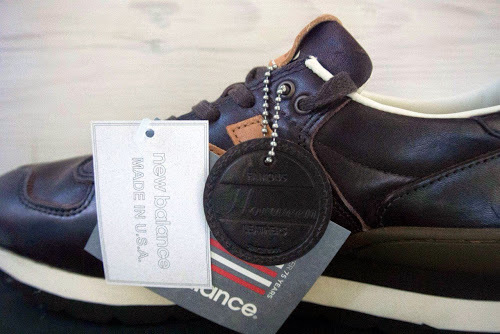 Anyway, that’s a discussion for another time, I just wanted a brief introduction before I let loose some of these samples for New Balance Spring/Summer 2015 Collection, which were advertised for sale on eBay and Klekt. 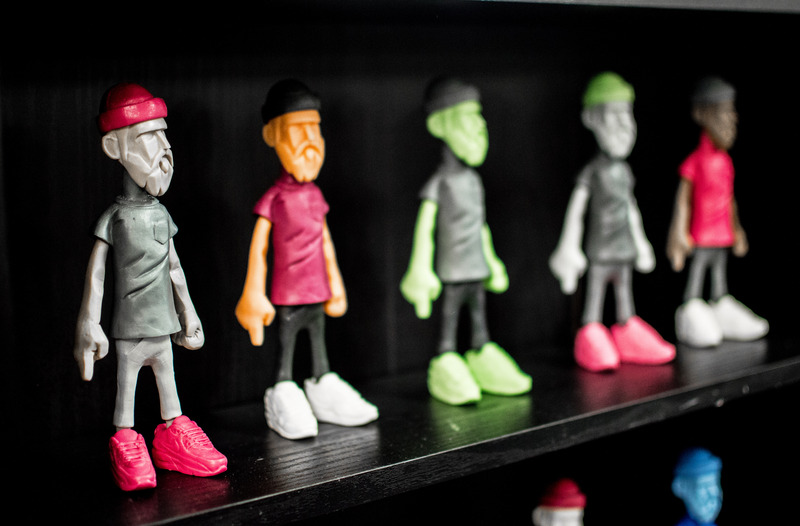 This was a month or so ago and they’ve been populating the world wide web ever since, so this isn’t exactly the first time they’ve been seen. 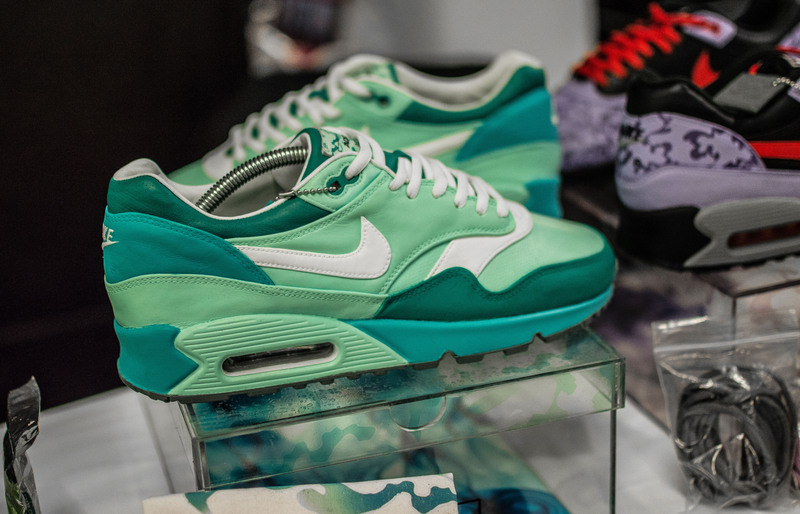 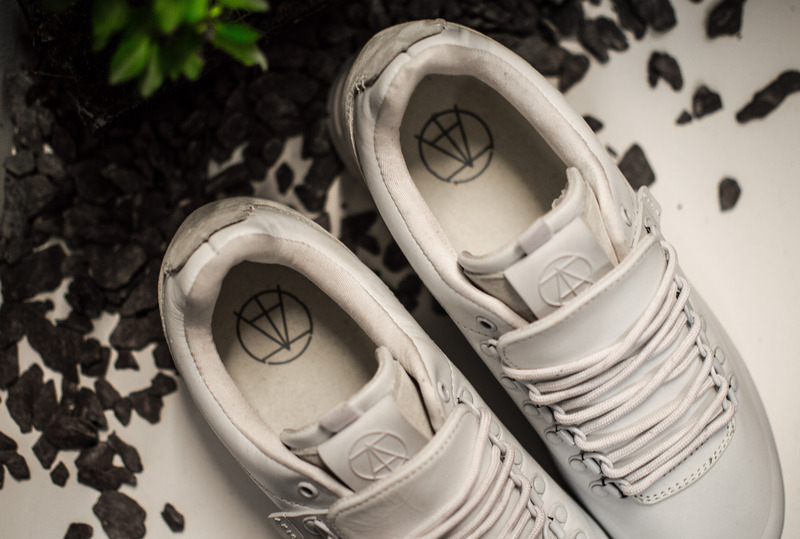 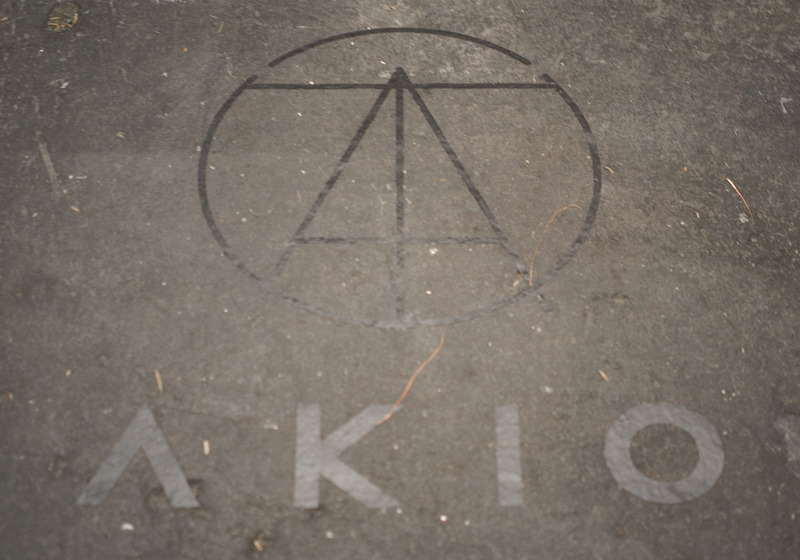 So what’s in store for Spring/Summer 2015? 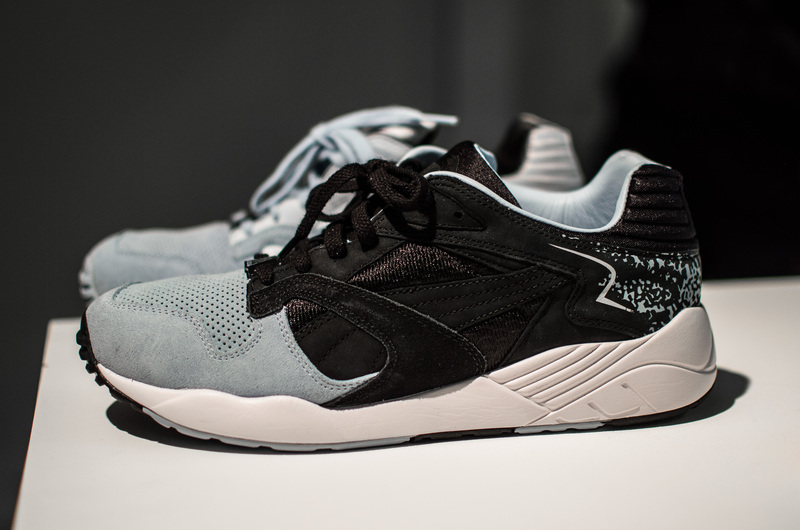 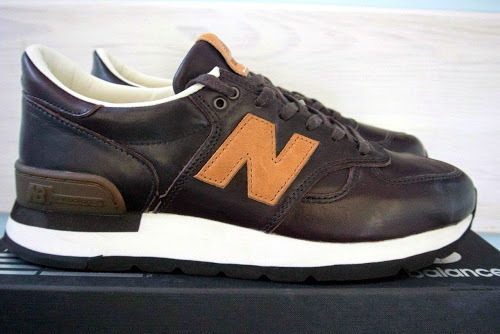 I had seen various pairs from this collection a couple of months before they surfaced on the internet, and only a few had really caught my eye. 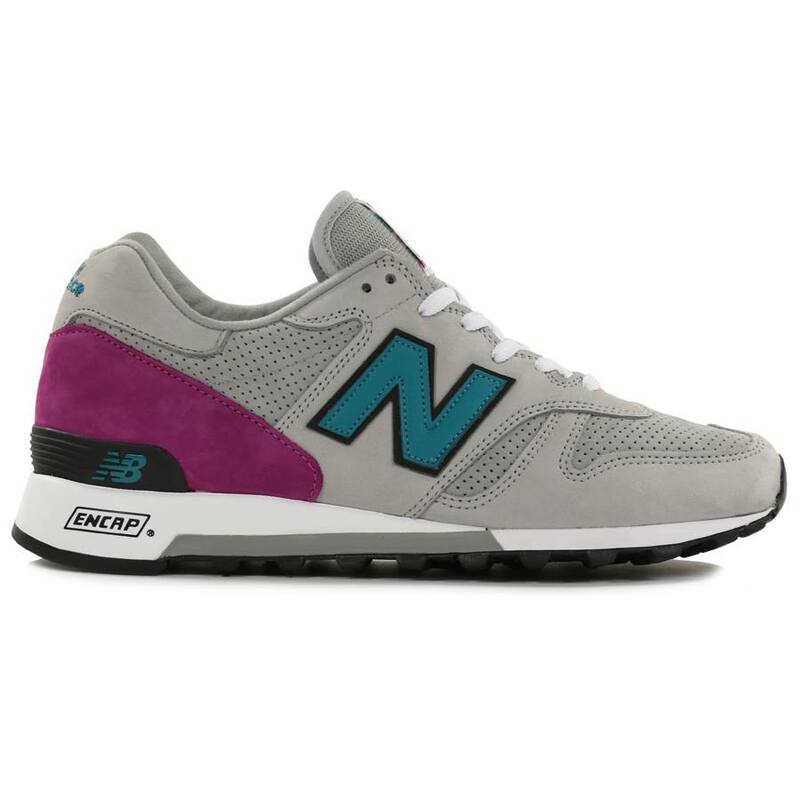 More of the same, that’s for sure, the New Balance 997 is sticking around for a while, and although I welcomed back this model with open arms, much like the 990, it seems like it’s going down the same road – at least two colourways every season, and then throw in a couple of collaborations. 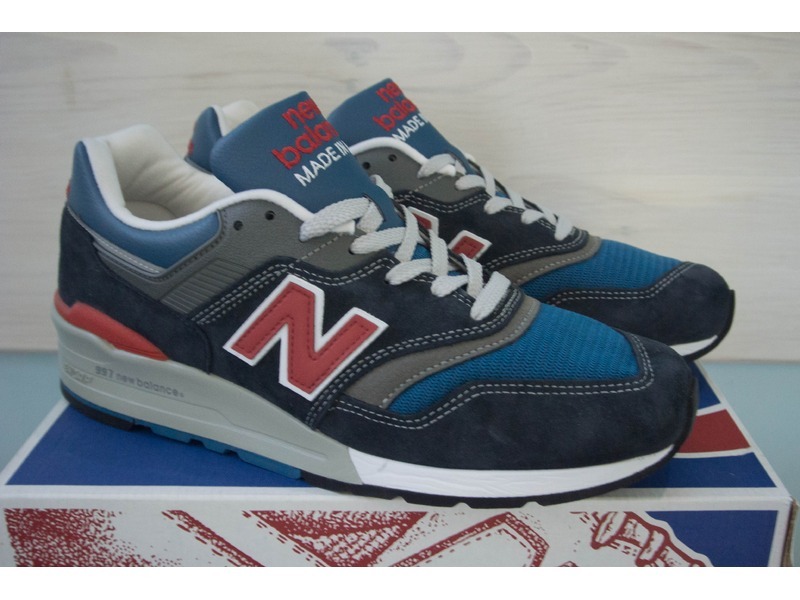 The word ‘overkill’ springs to mind, I’d of been more than happy sticking with the grey and navy pairs, then maybe a couple more. 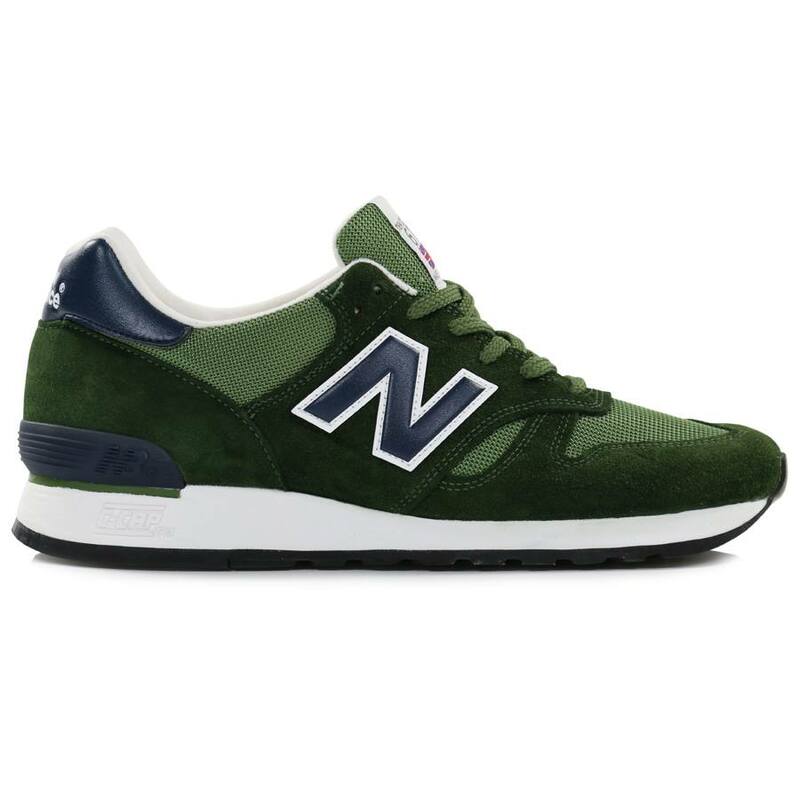 On-to the New Balance 990 now, and just recently this model was made available on the US New Balance site for customisation, so now the possibilities are endless – material choices are currently limited to just suede and mesh. 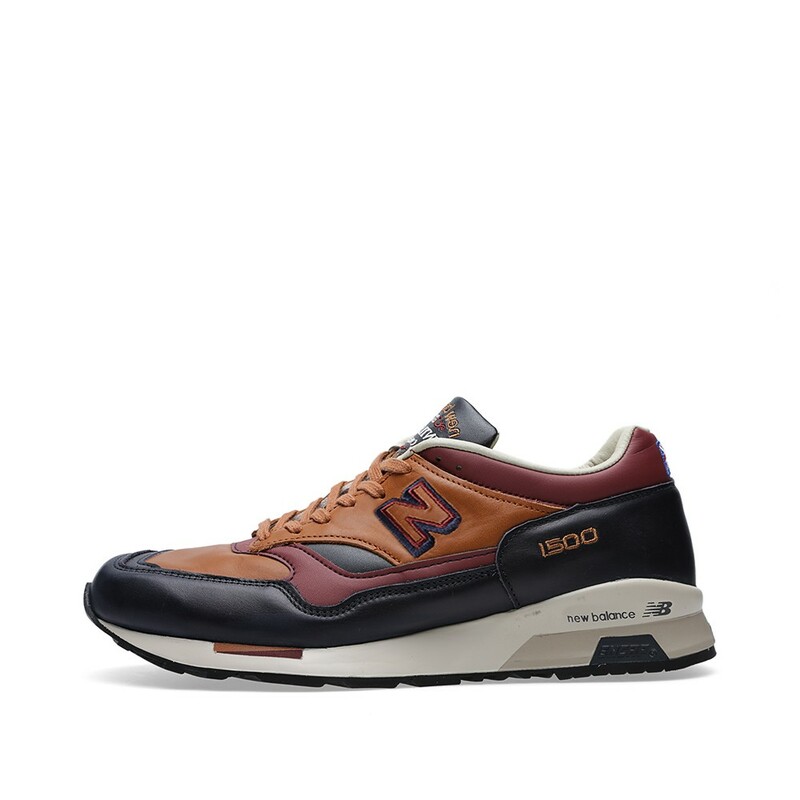 We’ve seen a lot of ‘Premium Packs’ if you must, with a bunch of standard NB pack names to go along with them, ‘Connoisseurs’, ‘Distinct’, ‘Author’, etc etc etc, so we will be welcoming the Horween Leather 990 very soon. 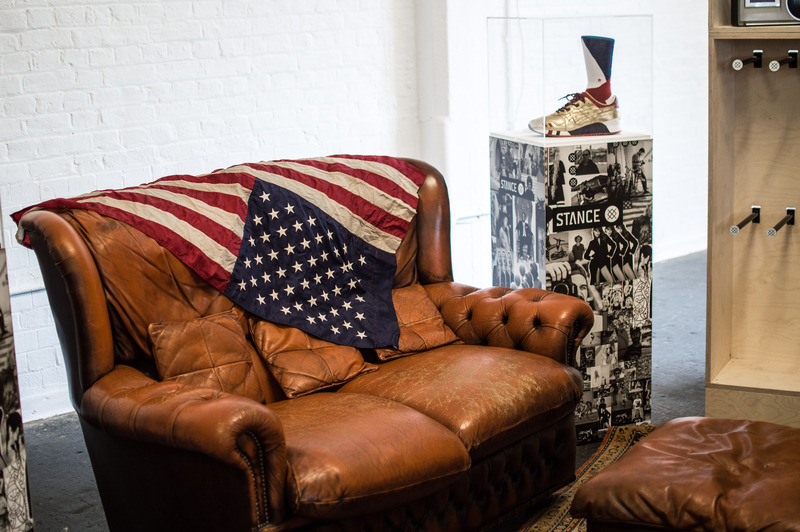 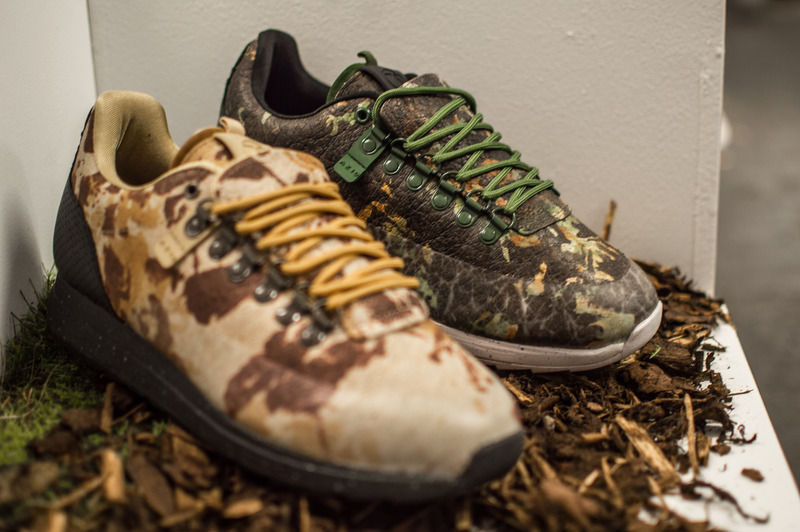 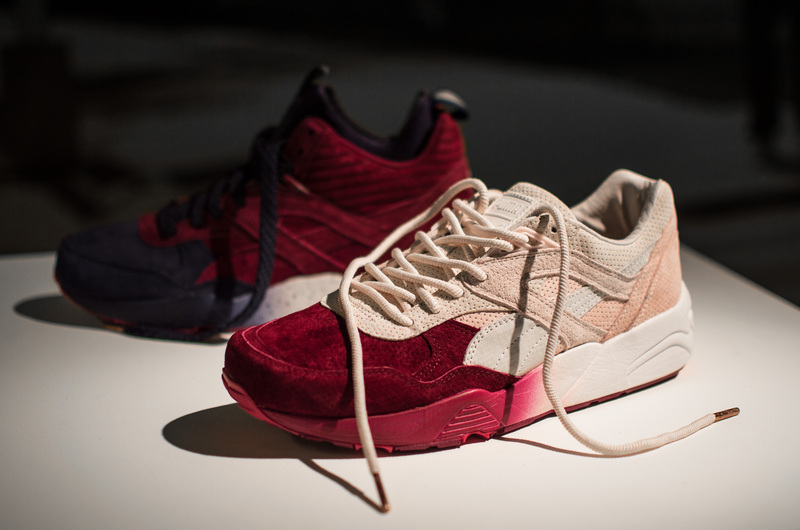 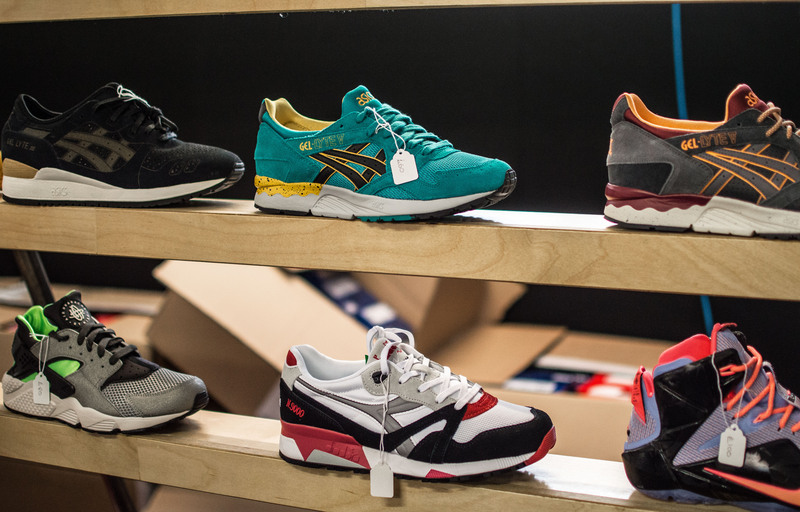 What more can we expect from the Made in USA side of things for Spring/Summer 2015? 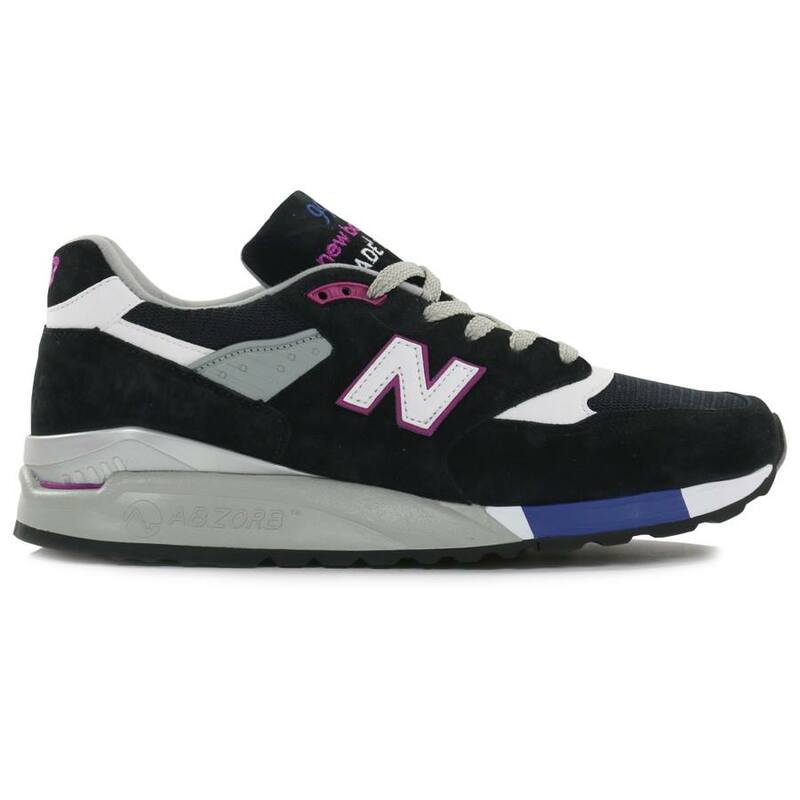 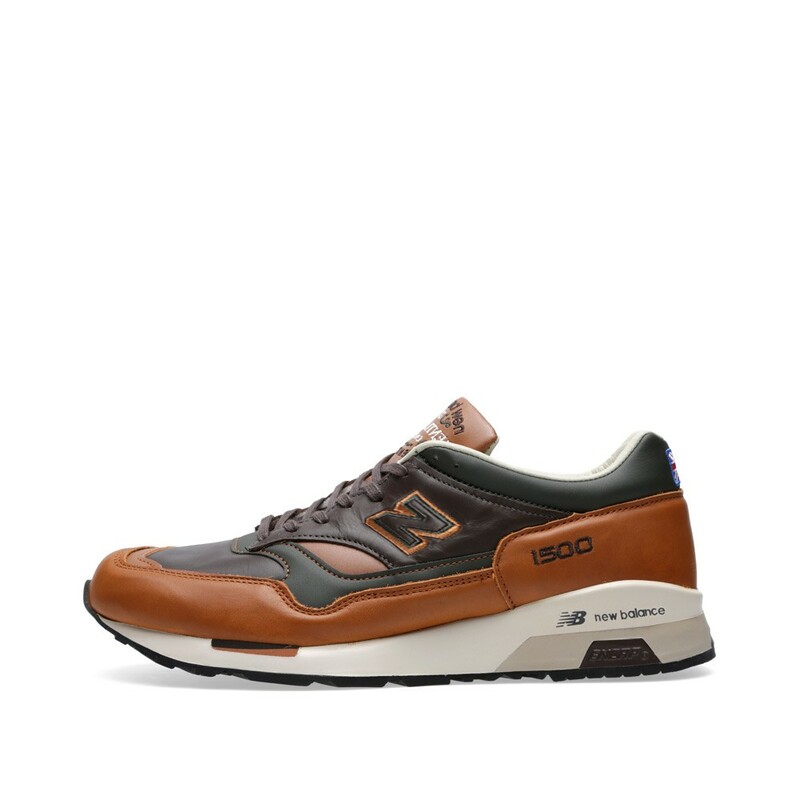 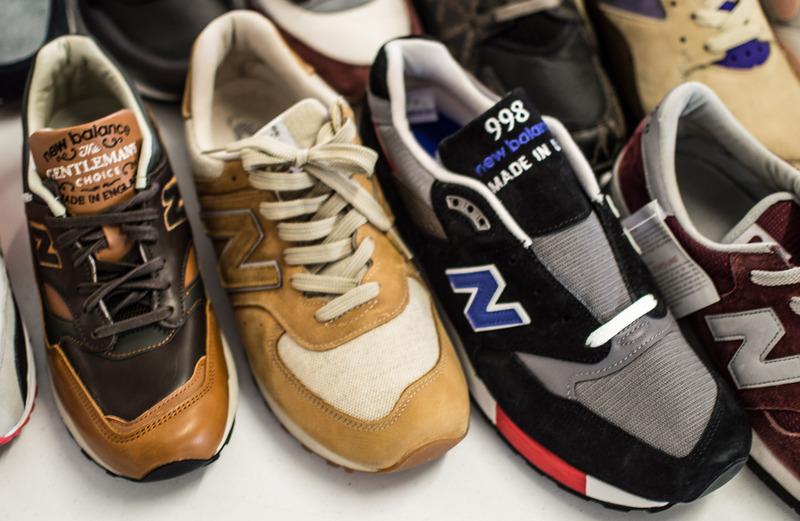 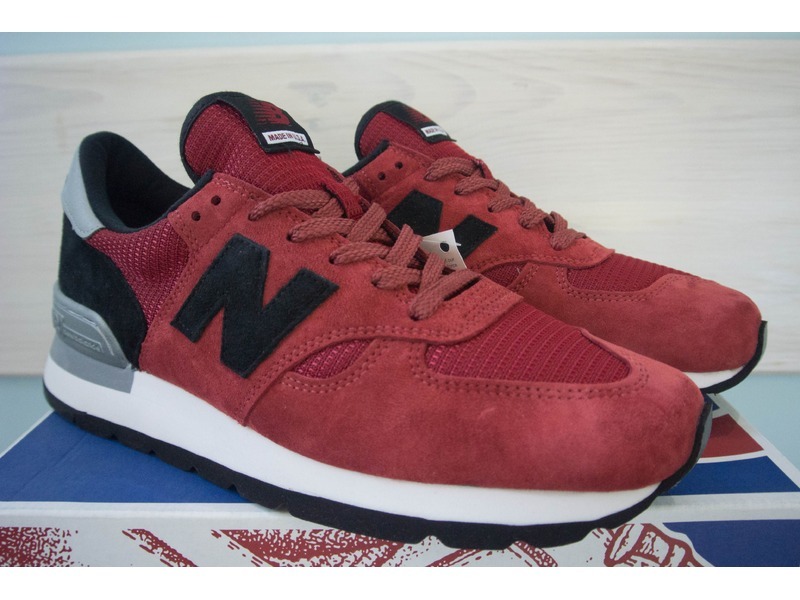 Well, the New Balance 998 firmly holds it’s place in the USA collection, along with maybe another 997, a premium 990 which looks really good, but the most exciting news about S/S 2015 is the USA Bringback Collection. 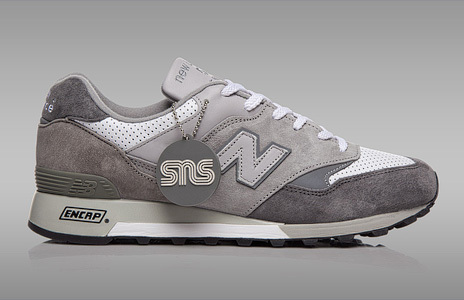 The USA Bringback collection will consist of the 990GRY, which you may remember was released not too long ago for it’s 30th anniversary, so if you missed out then you’ll have another chance to grab them. 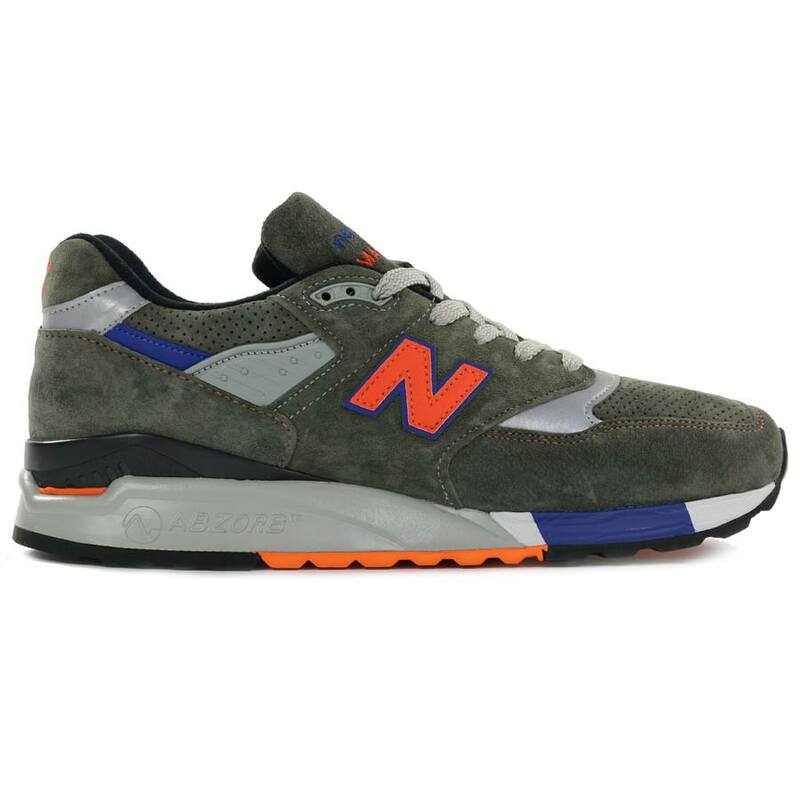 Along with that will also be a grey 998, possibly very similar, if not the same as the pair which Roadrunner Sports have been releasing for the last few years, and finally, the 1300JP (5 years since it’s last release), probably the most anticipated shoe from the USA collection. 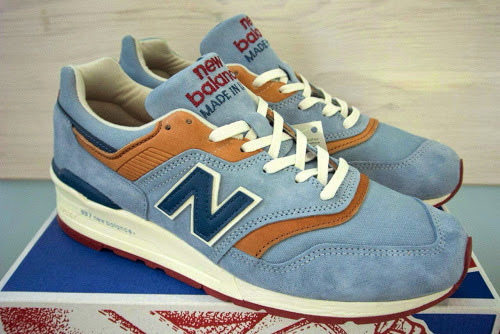 The Made in UK side of New Balance is my forte, but for the last few years, it’s all been pretty poor in my opinion, and that’s not just because of the shape issue, the colourways and materials haven’t exactly been up to scratch when you compare them with what Flimby were capable of pre-2010. 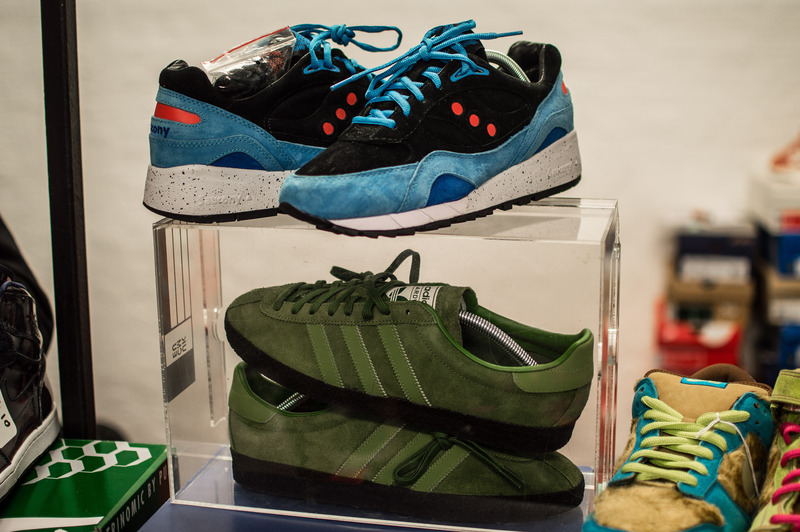 The usual UK models making an appearance, but not much to really talk about. 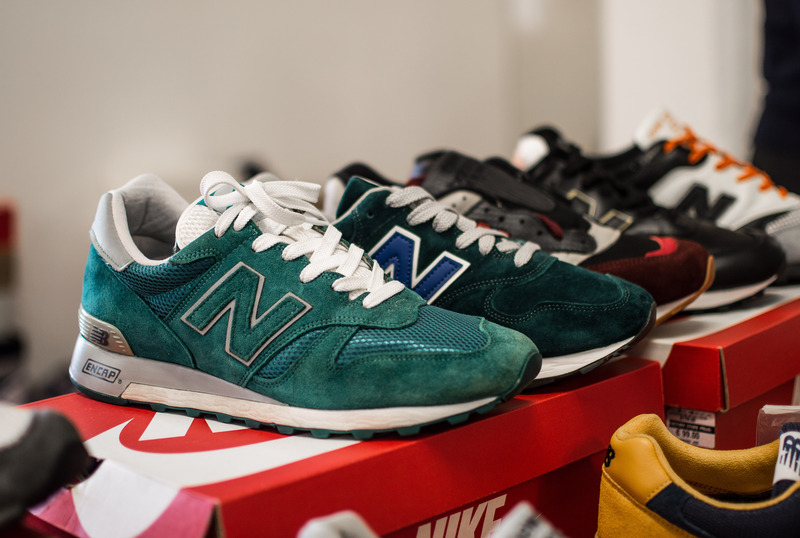 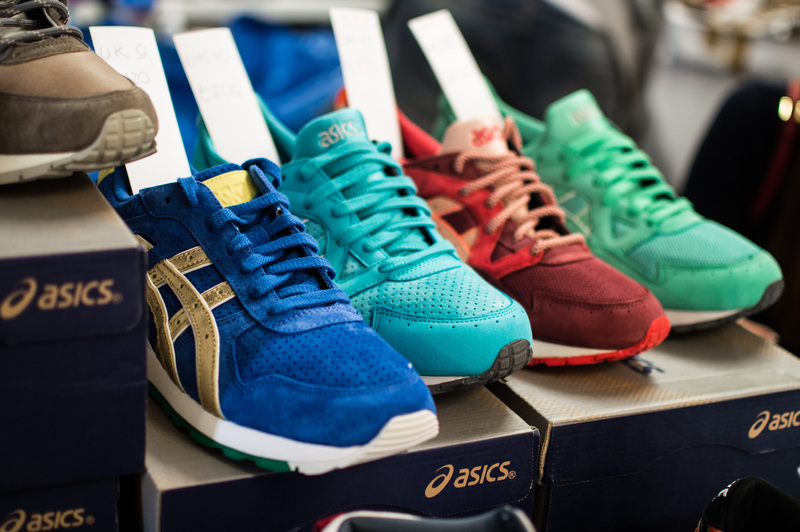 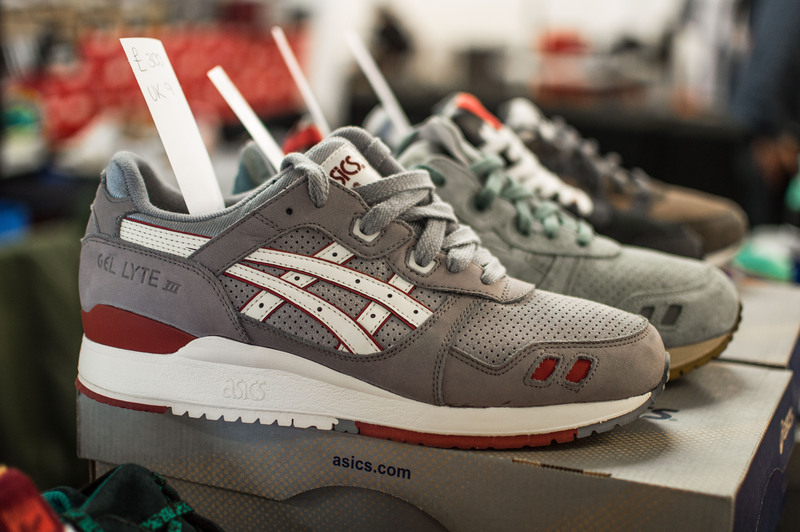 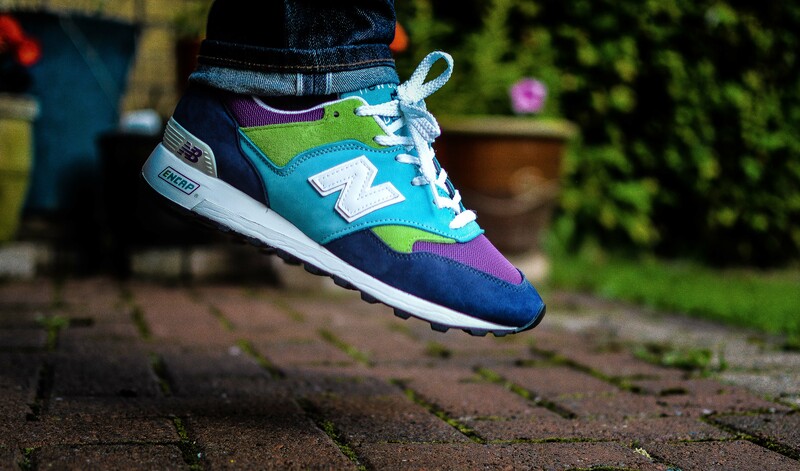 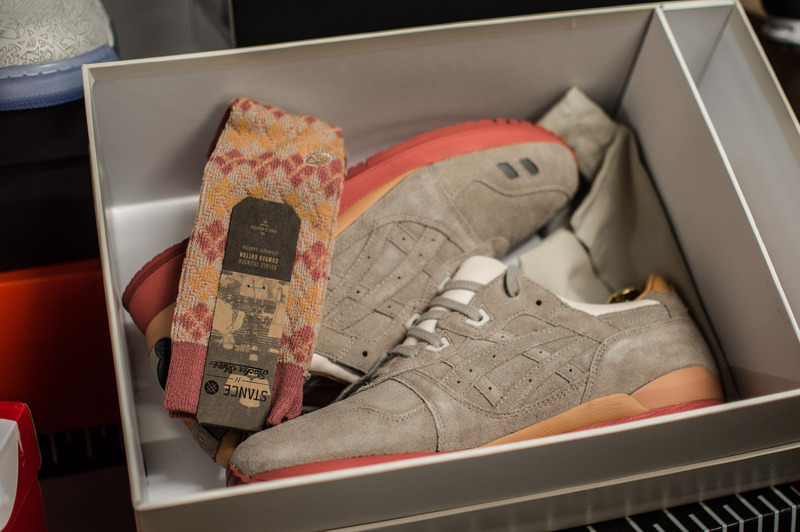 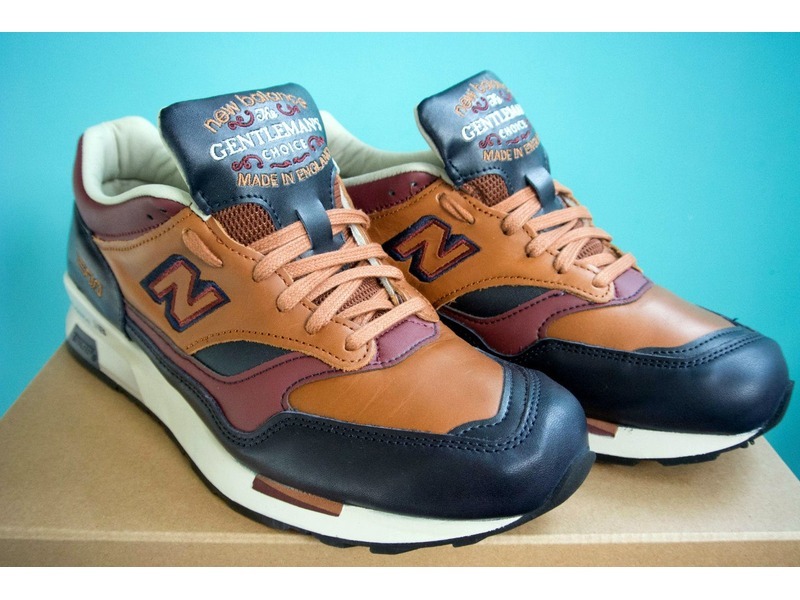 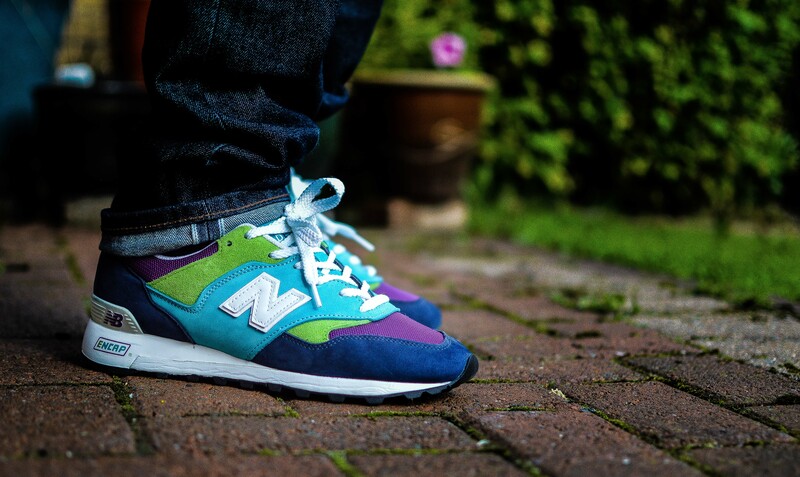 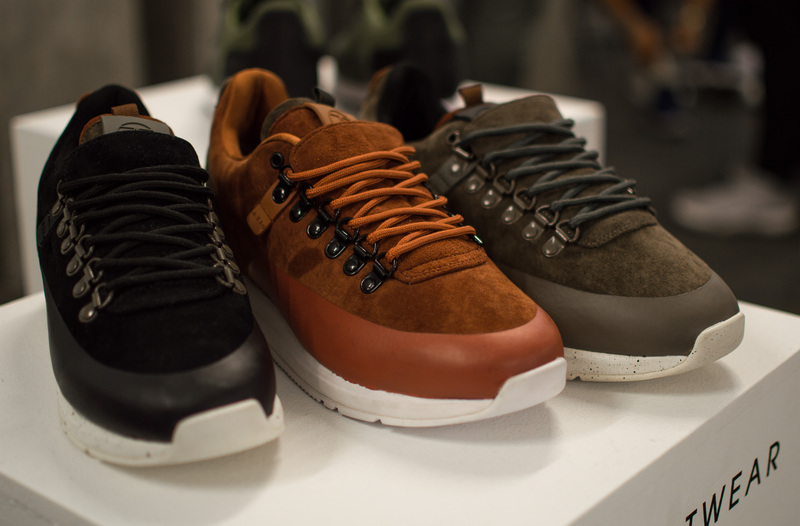 A while back we seen some pics of the ‘Gentleman’s Choice’ Pack and you can see one of the 1500’s in all of their glory below. 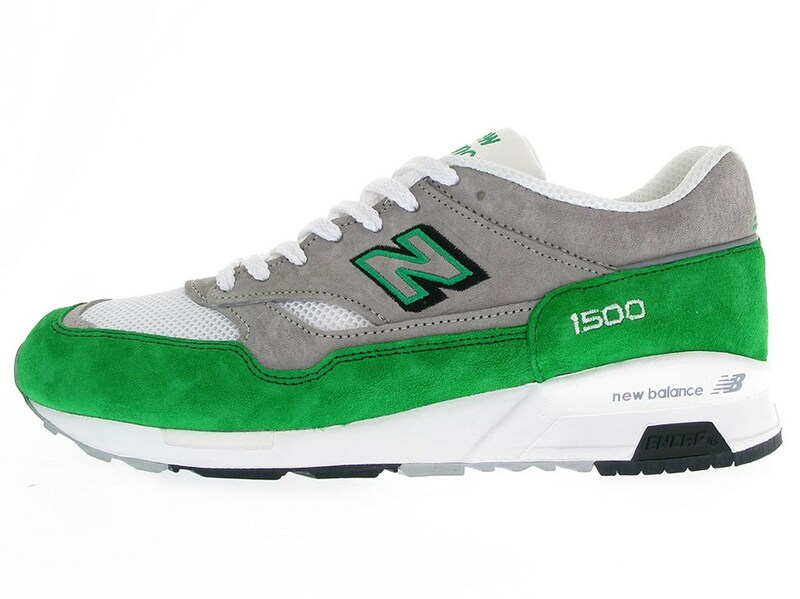 Much like the Made in USA collection, Flimby have also been working on some premium packs, and one of them worth noting, probably only because of the 1500, which is guaranteed to be a winner with everyone. 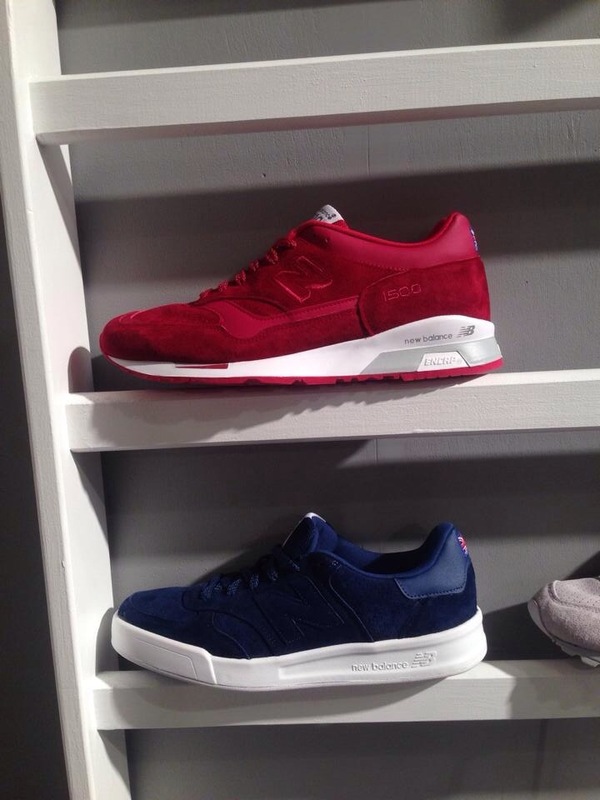 The only picture I can share is of the pack in the colours of the ‘Union Jack’, the red 1500, blue CT300 and the tip of the toebox of the white 577. 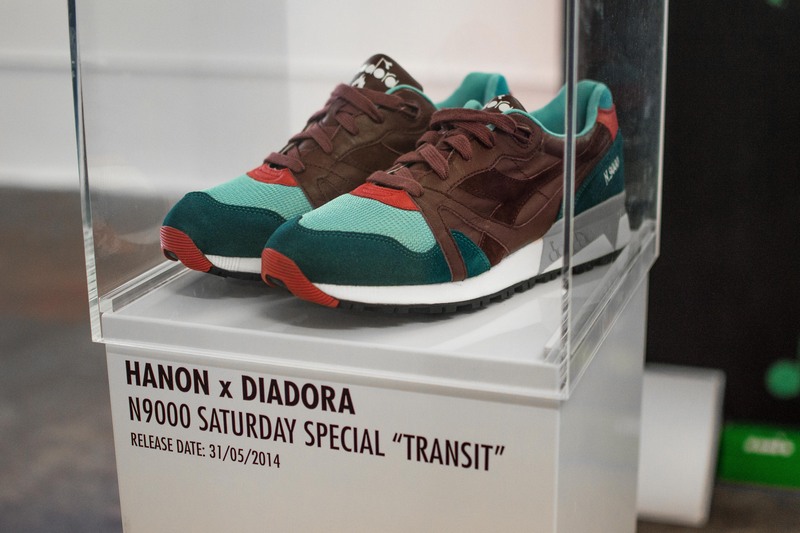 Once the pre-orders are up at all the usual retailers, I will compile another post of both collections. 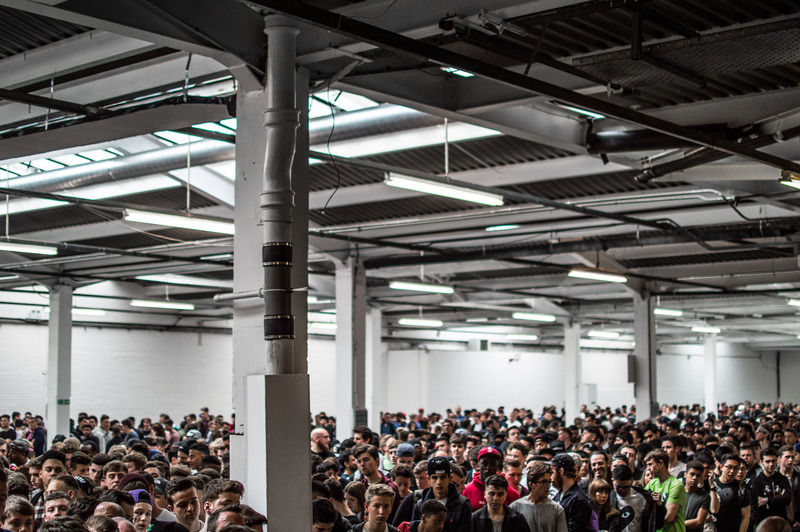 Until then, enjoy speculating, I’m sure more leaks/teasers will appear soon. 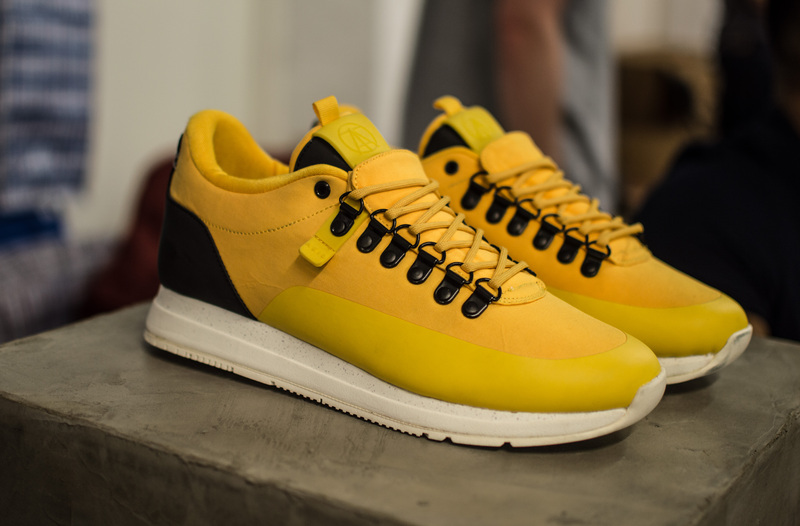 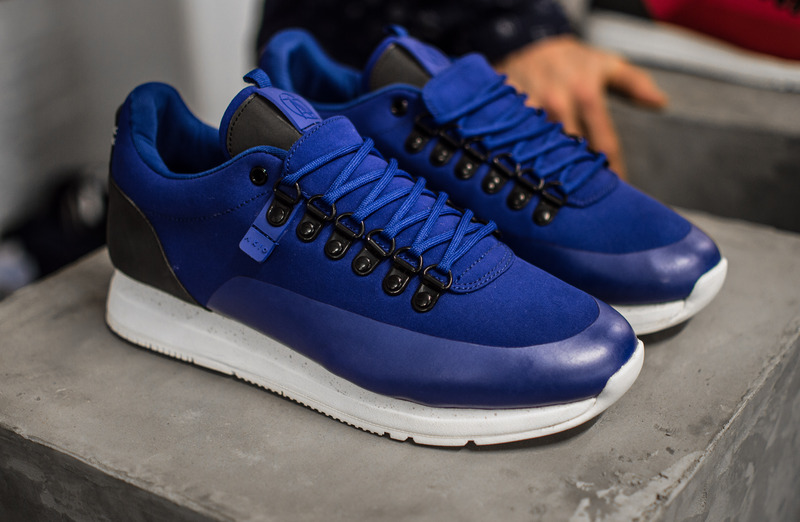 The whole ‘Flux’ technology from Adidas has been the talk of the town for a good while now, and it definitely doesn’t seem like it’s going to die down anytime soon, especially with all the excellent upcoming make ups. 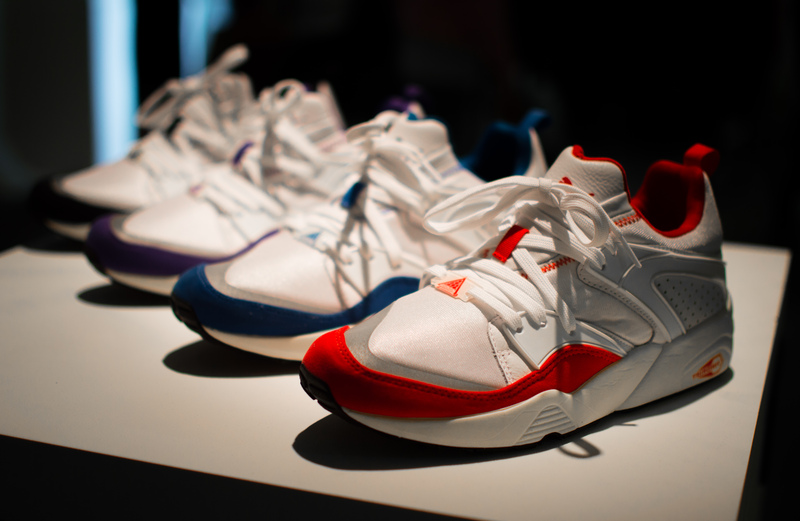 It’s been pretty ground breaking, much like the hyperfuse from Nike, but Adidas seem to be going that one step further, and it’s paying off big time. 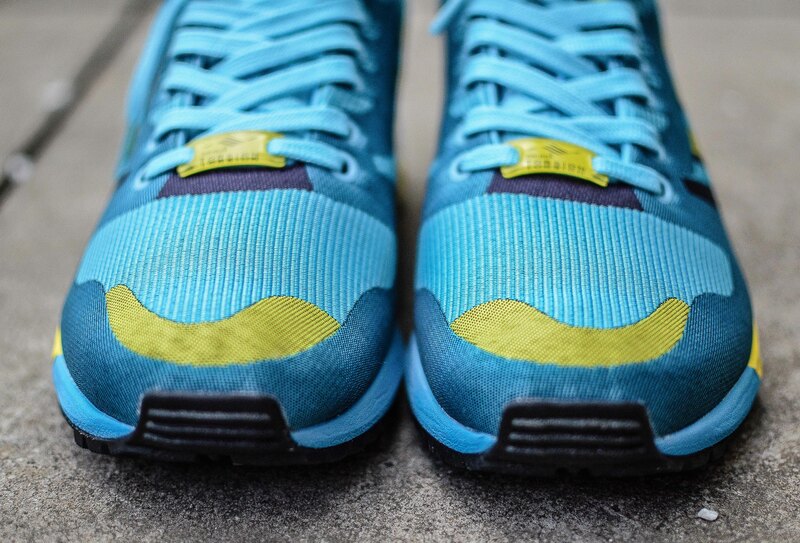 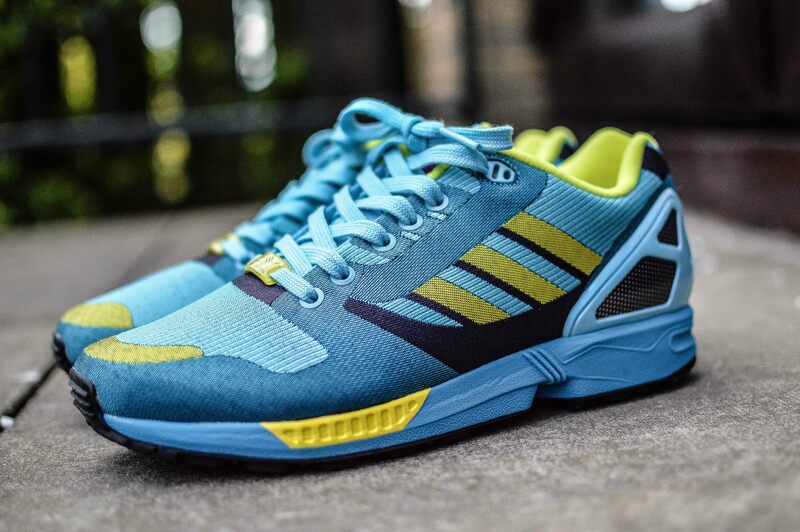 Now don’t get me wrong, the ZX 8000 itself is one of the best Adidas models out there, but for me, it had almost felt a little bulky on-foot, but now that it has been given the flux treatment, I can’t use that as an excuse. 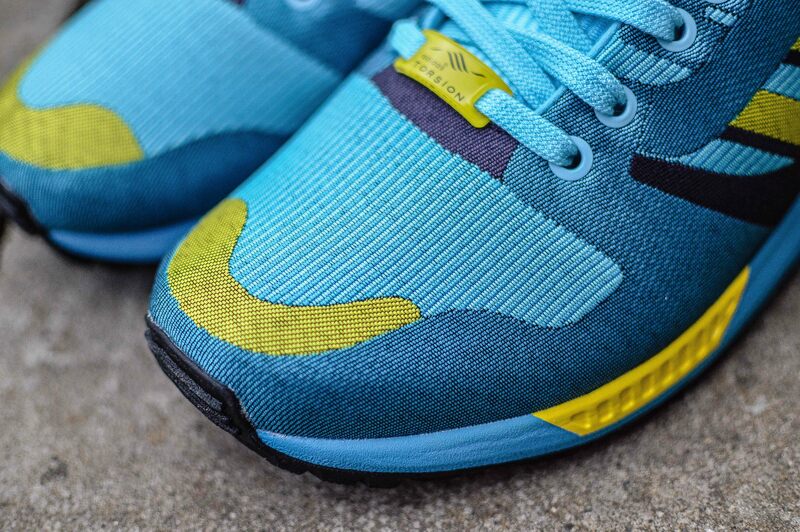 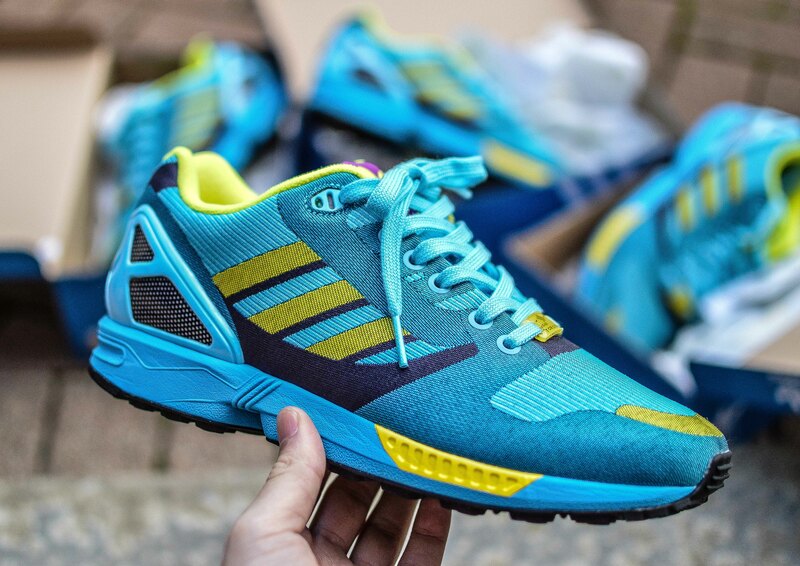 The ZX Flux 8000 Weave is an identical representation of the original much loved ZX 8000 model that launched back in ’89. 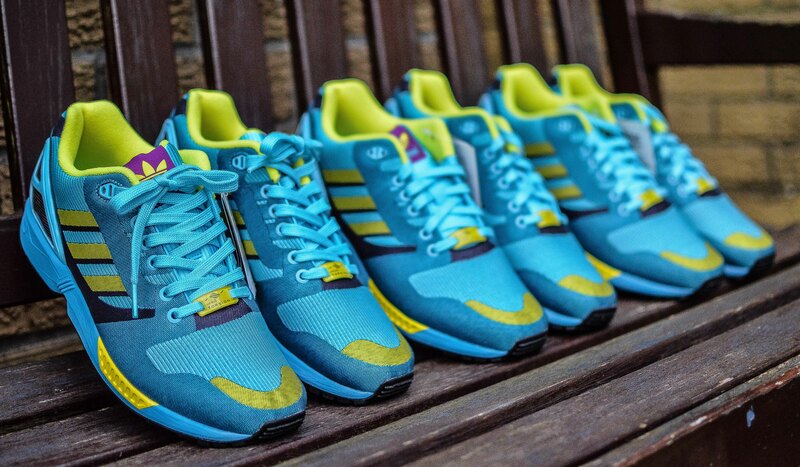 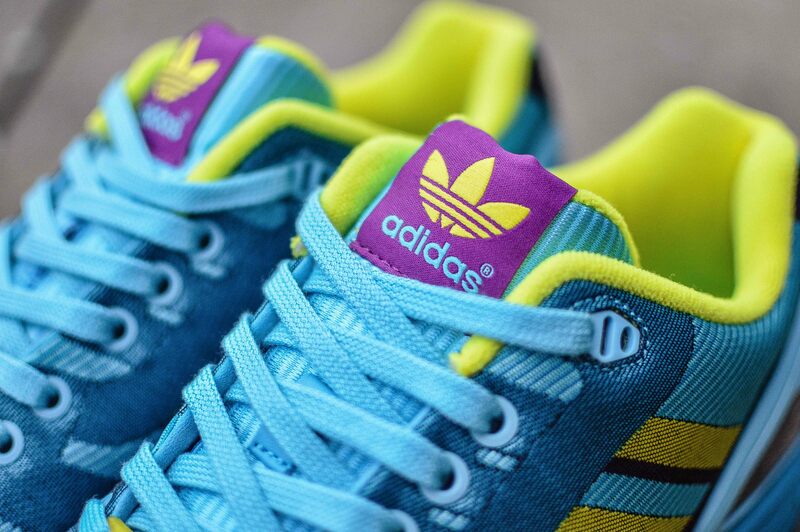 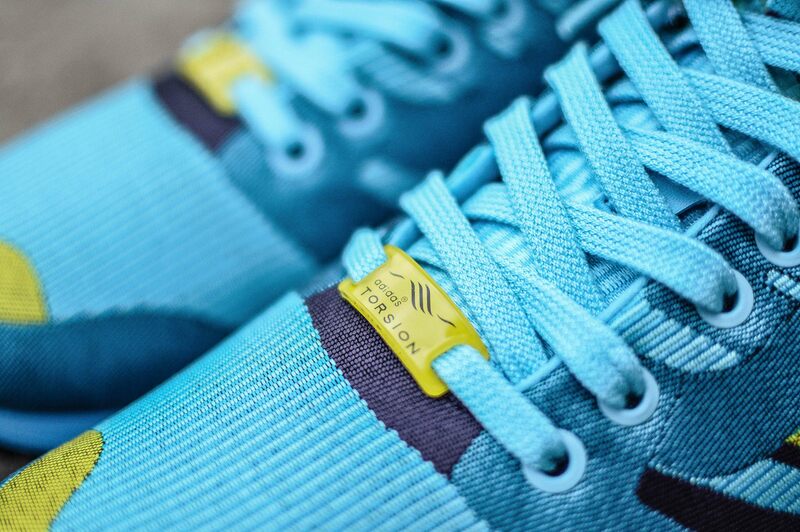 That distinctive turquoise blue upper with yellow accents, duped the ‘Aqua’, is a favourite colourway for many Adidas collectors, and trainer aficionados alike. 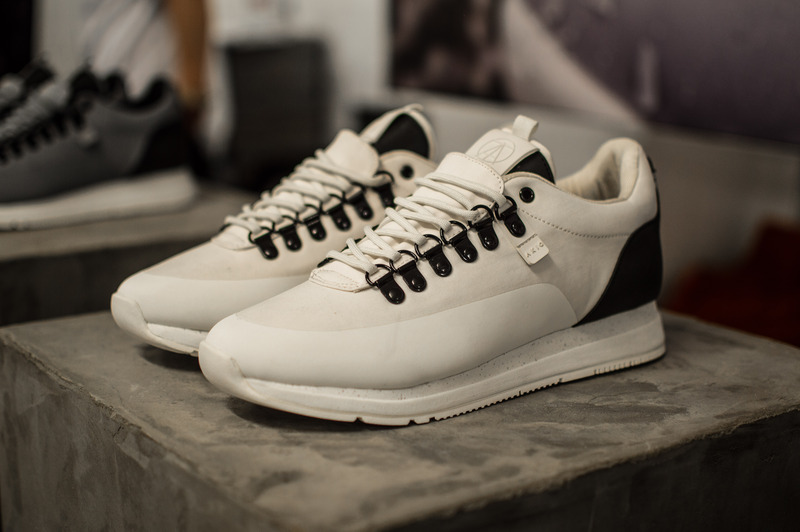 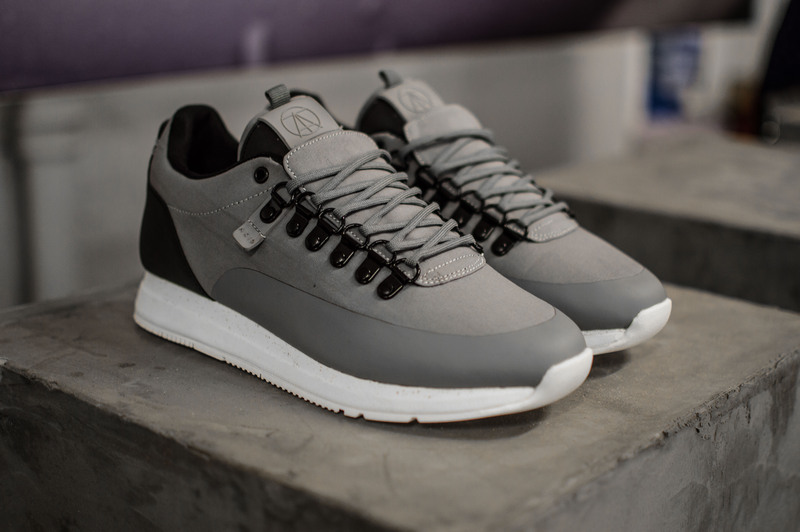 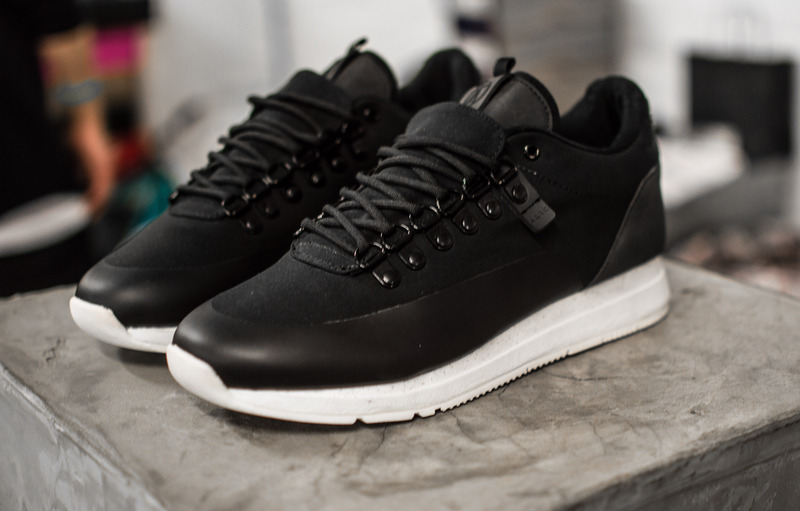 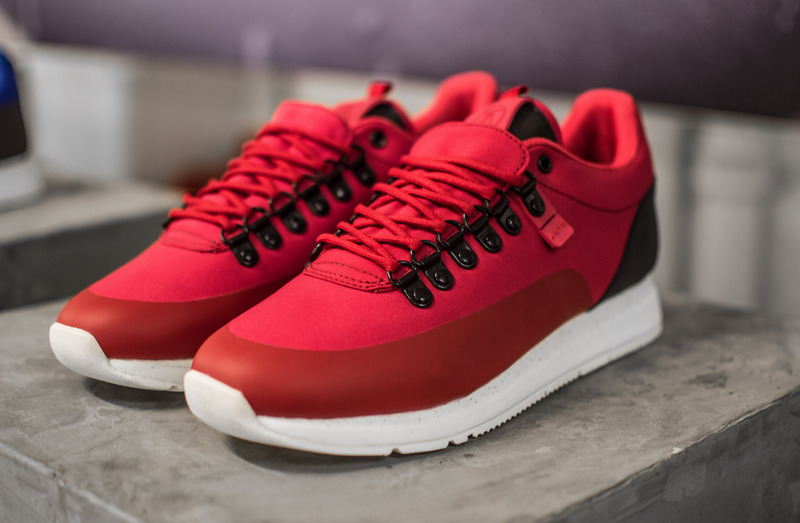 We see this shoe get the Flux treatment, and all the panelling is now woven in using a jacquard technique, which creates a stunning minimalist silhouette, one that we really cannot fault! 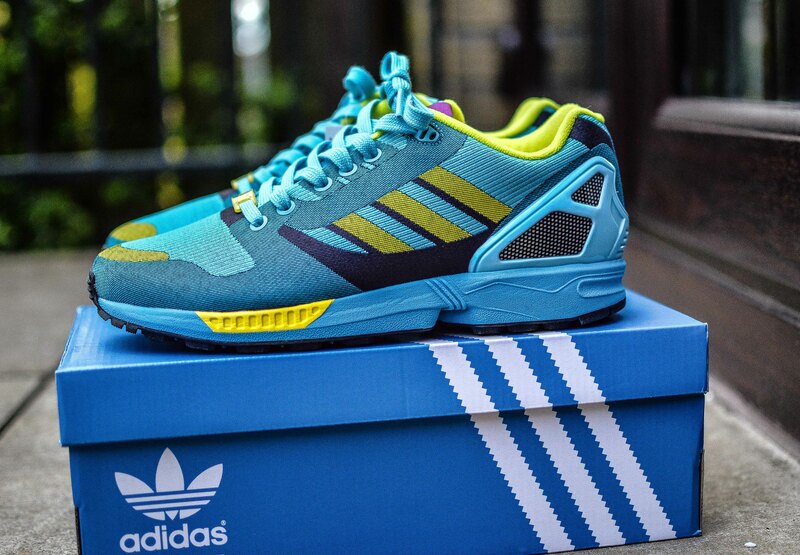 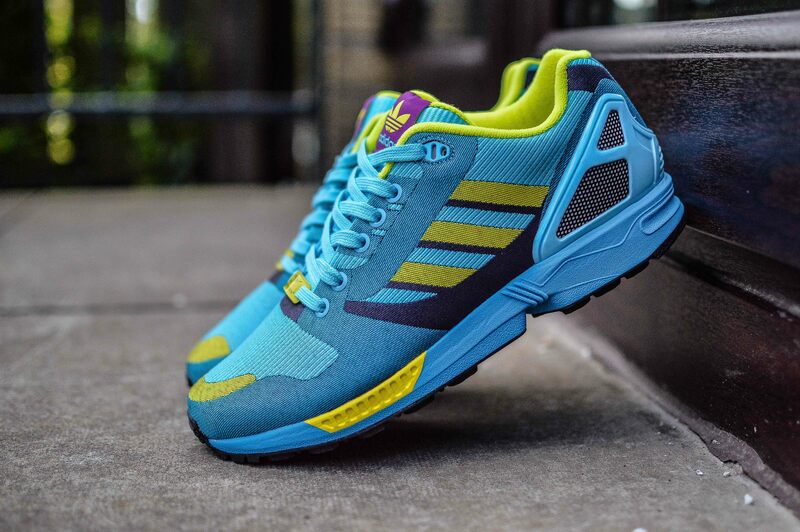 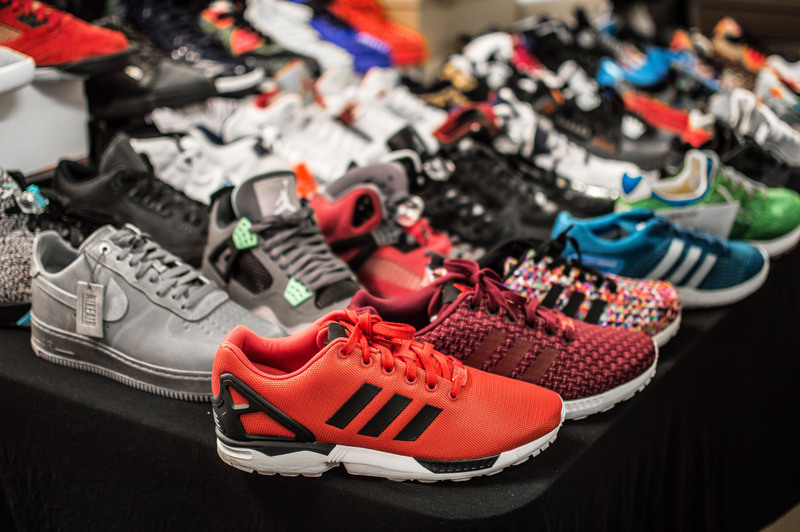 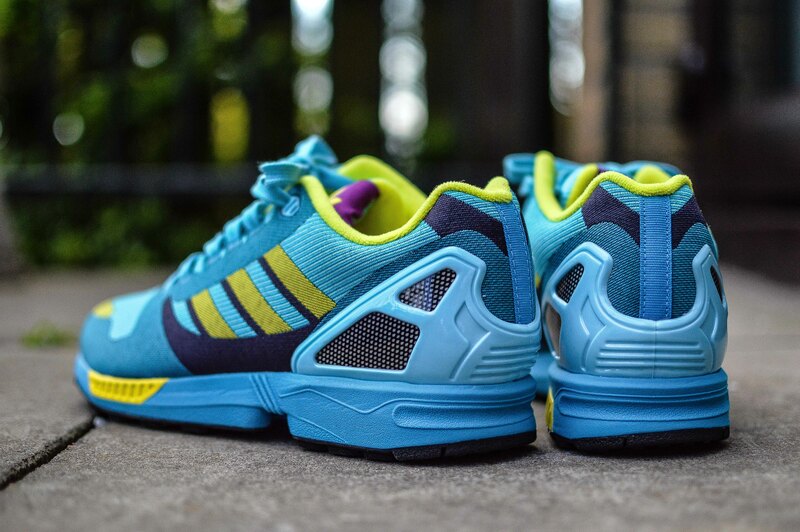 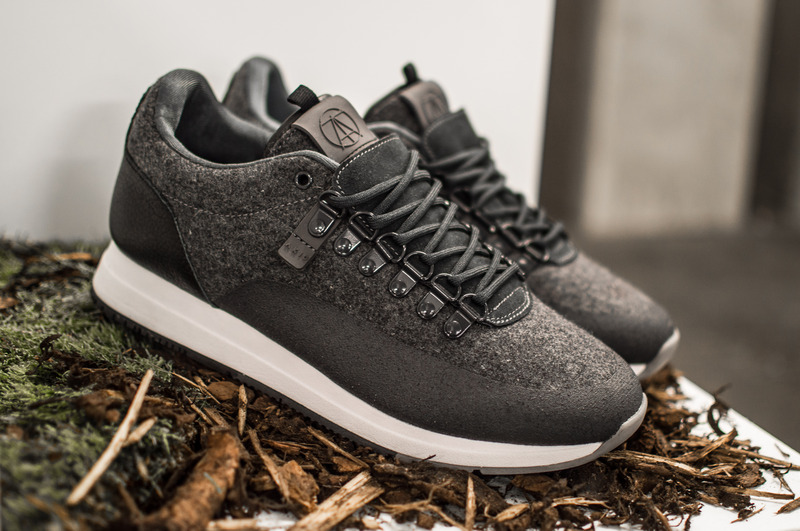 If you’re yet to pick up a pair of the ZX Flux Weave, then you really are missing out. 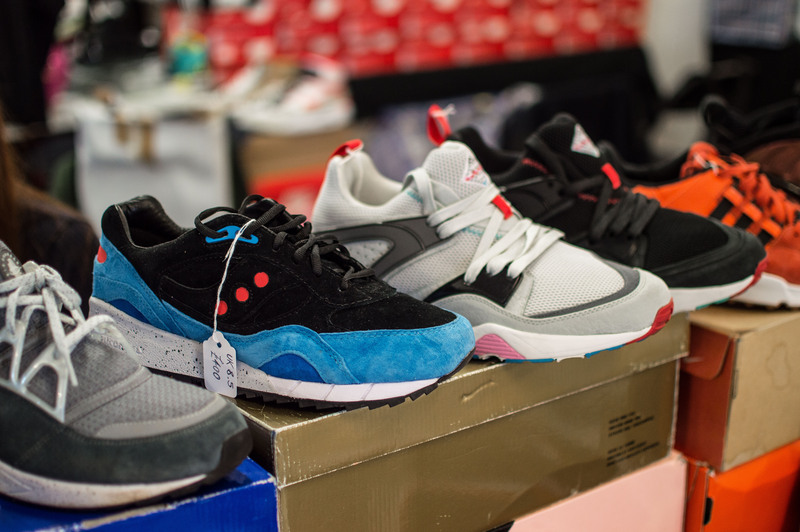 There’s plenty of great colourways out currently, and even more on the horizon, and all for a fair price in comparison to other shoes out there, so don’t miss out.